Photos from 2/26/15 -"Under Construction"
Photos from 11/20/14 - "Miles Of Smiles"
Photos from 10/23/14 - "Let The Good Times Roll"
Photos from 4/24/14 "Cabin Fever" with guest speaker, Laurie Acker. 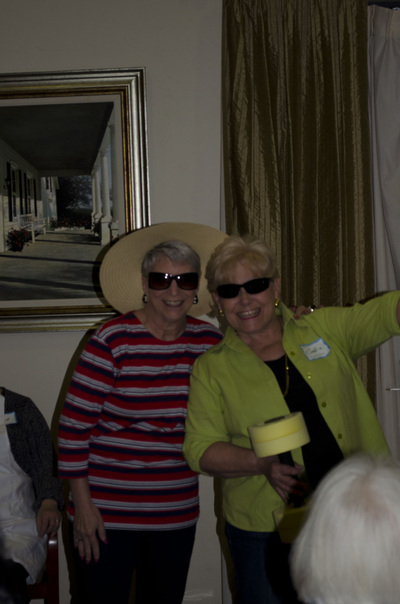 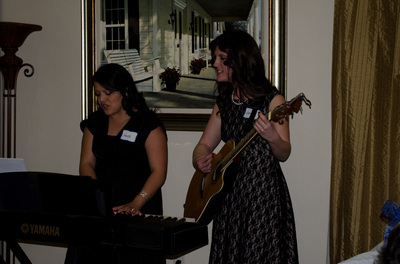 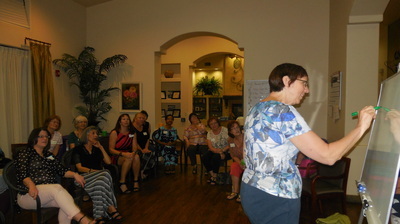 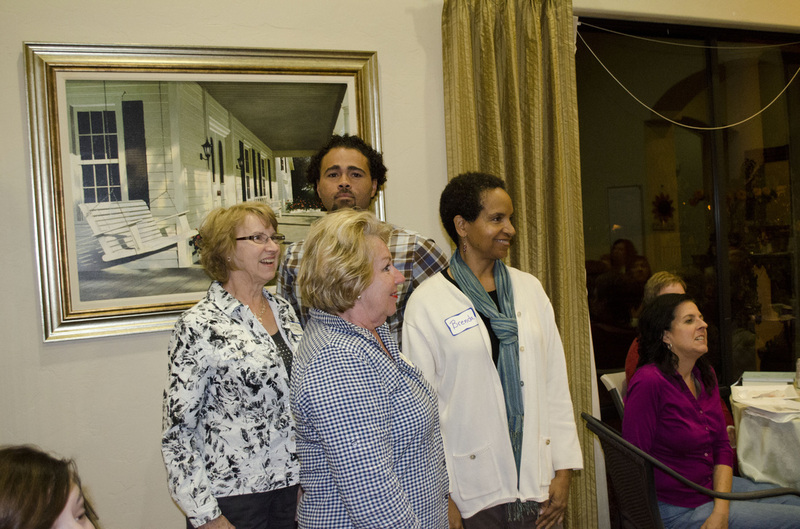 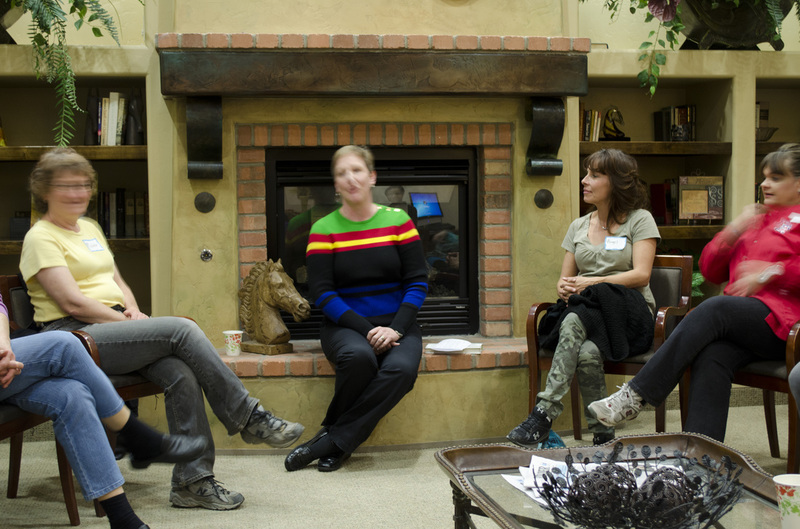 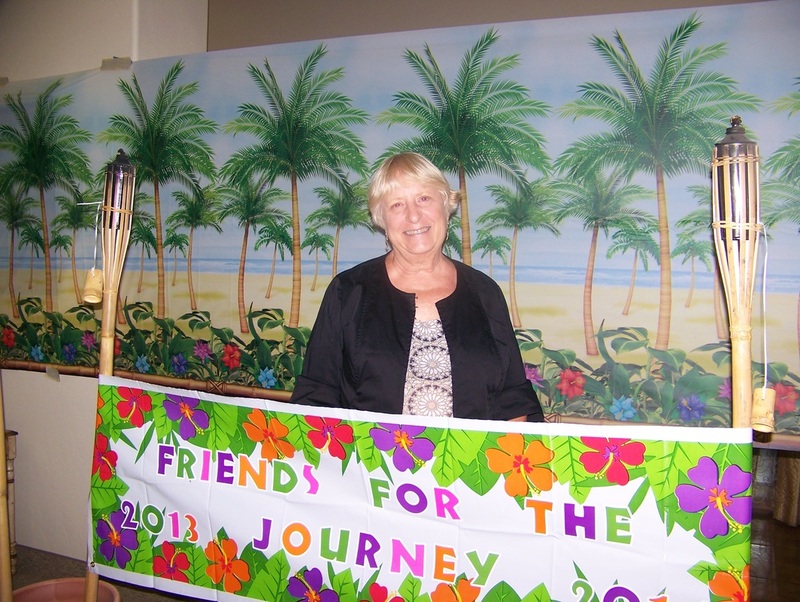 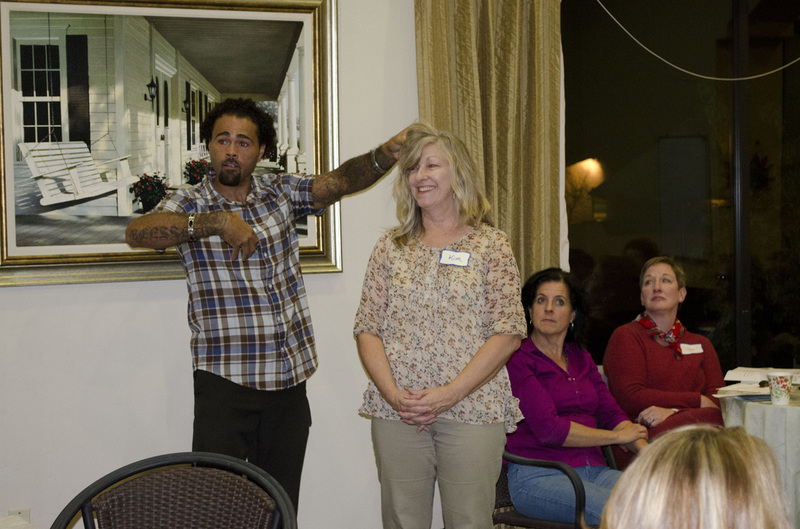 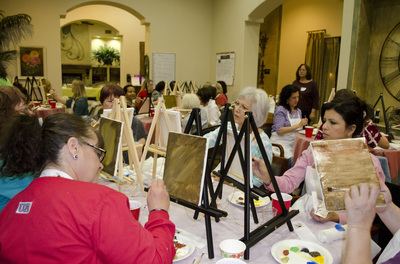 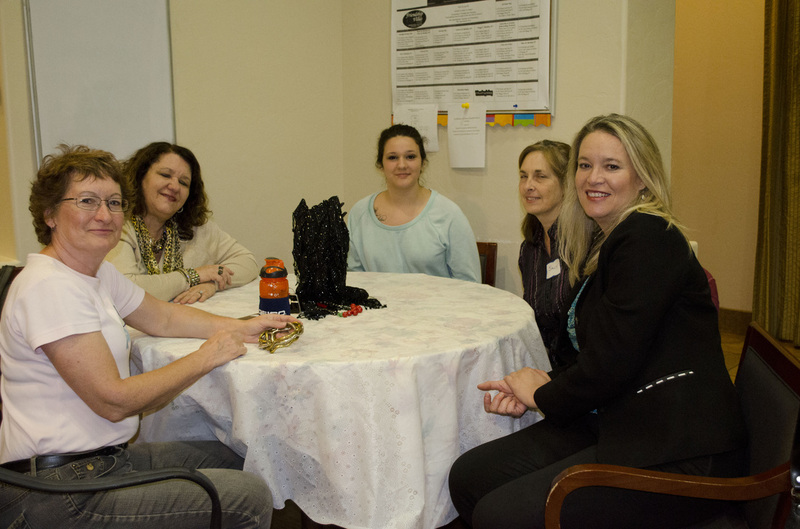 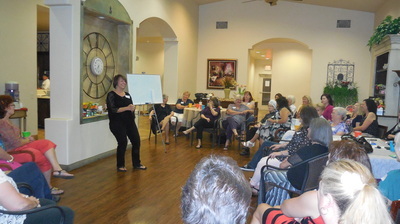 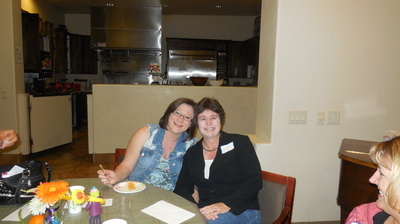 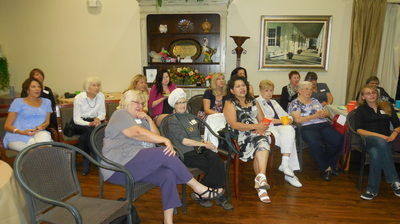 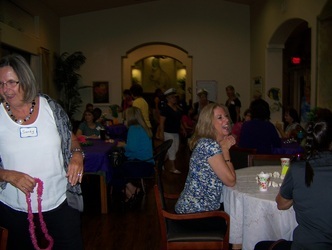 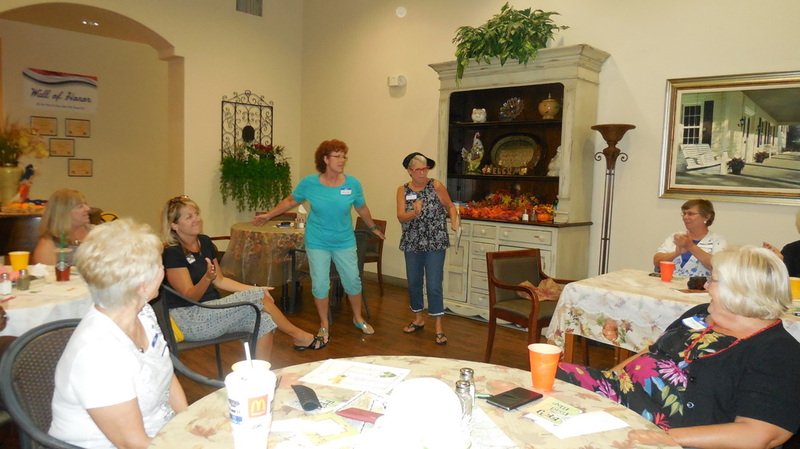 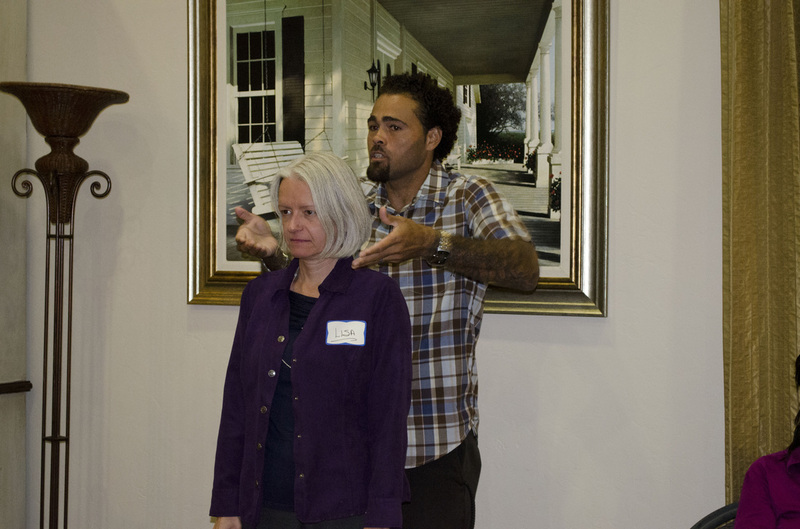 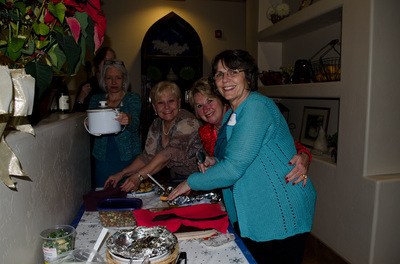 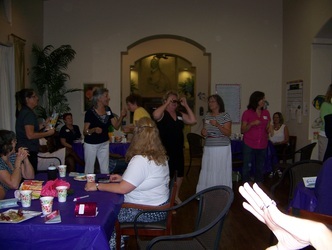 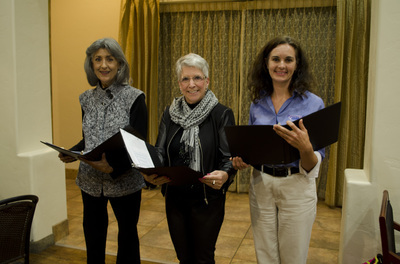 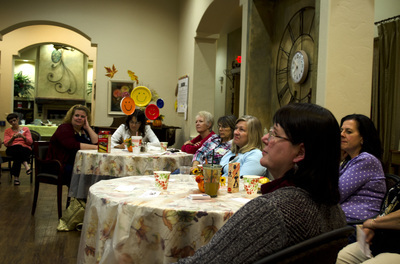 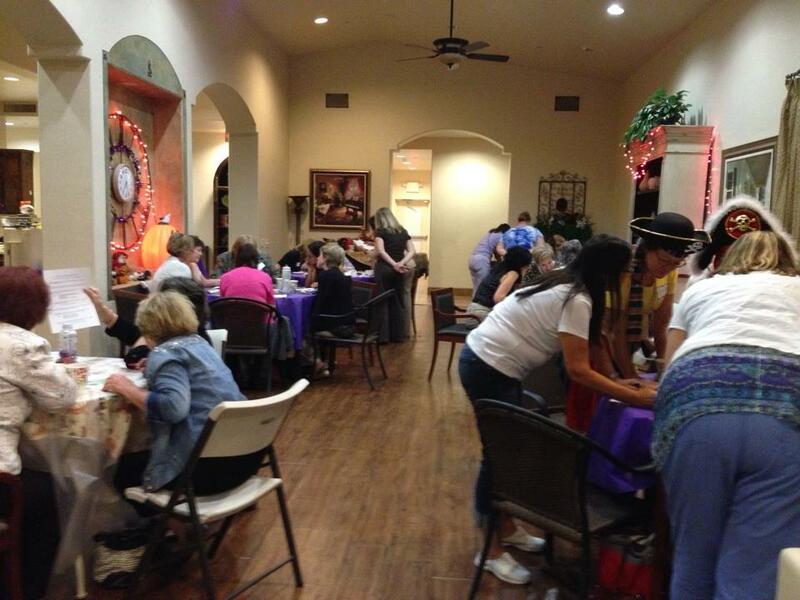 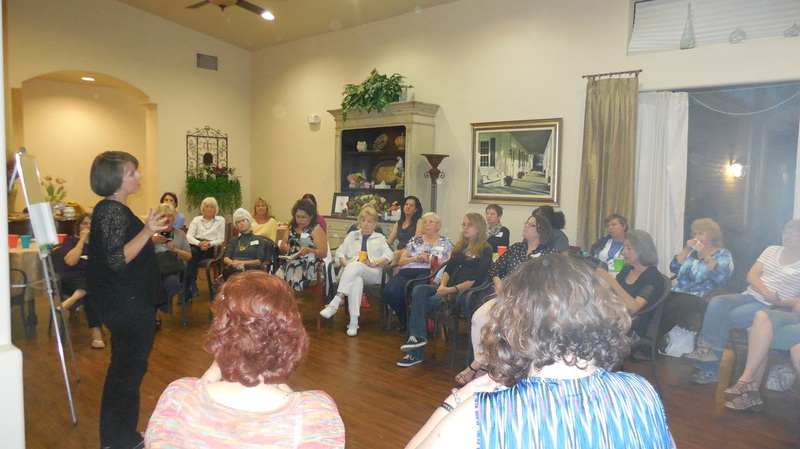 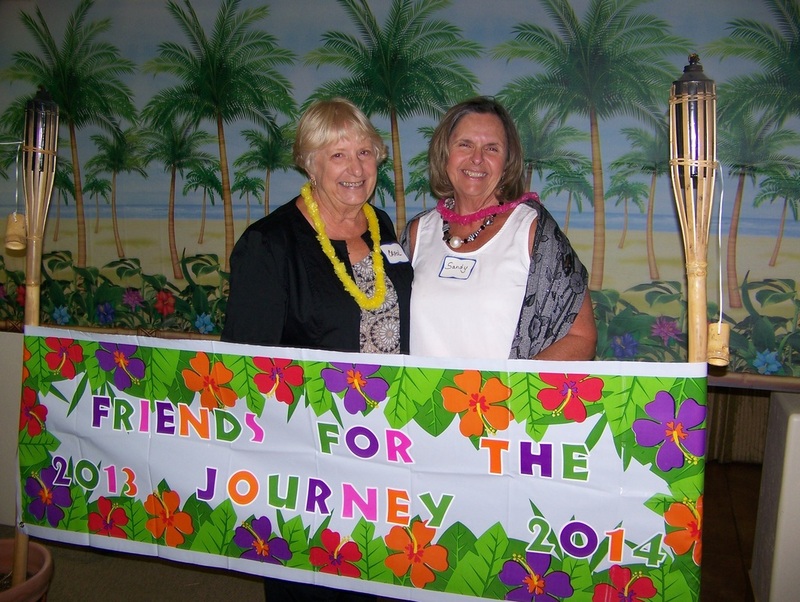 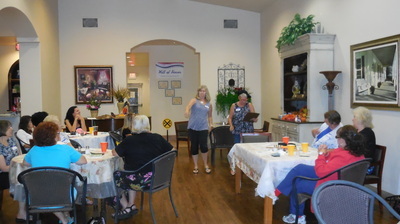 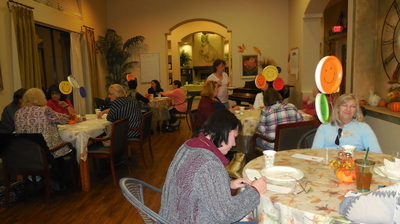 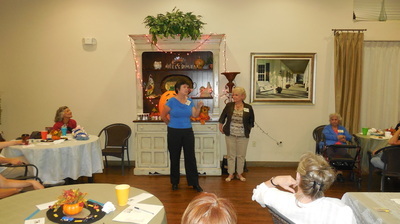 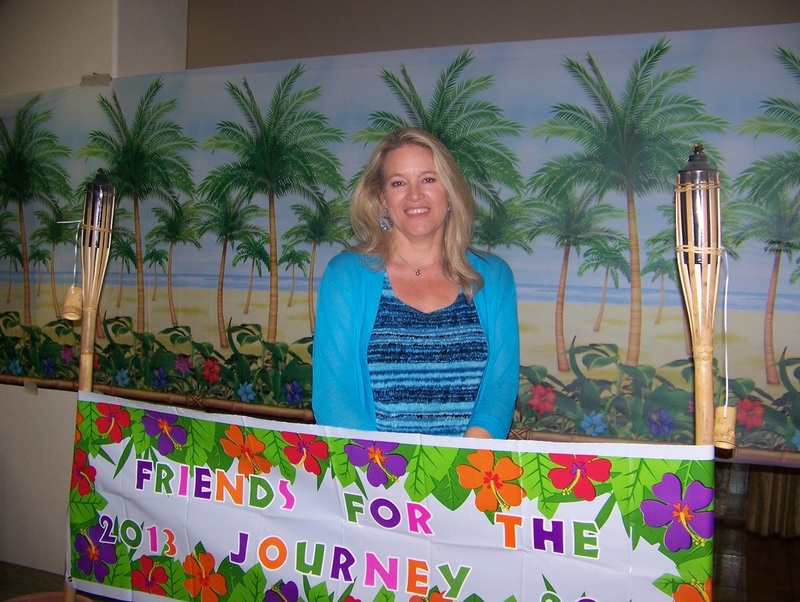 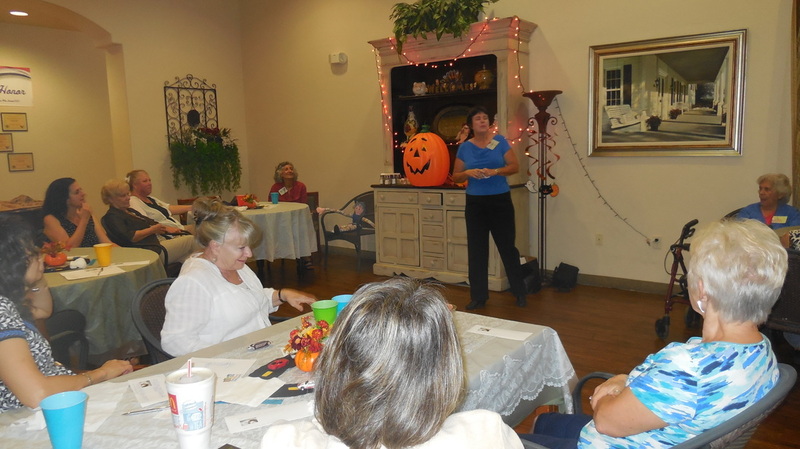 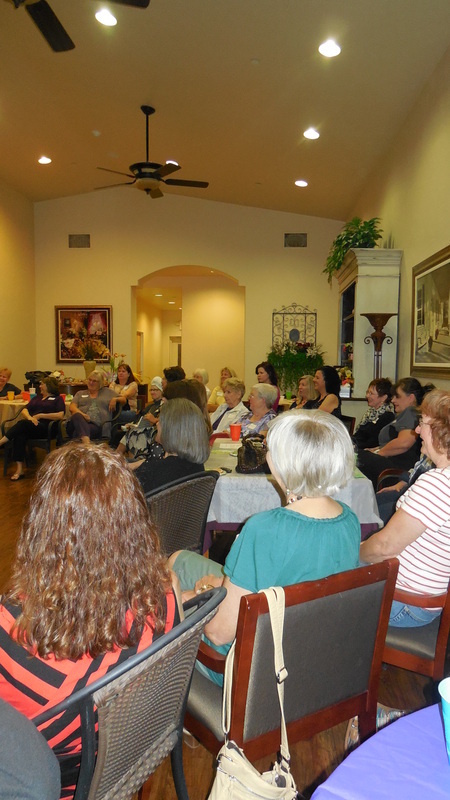 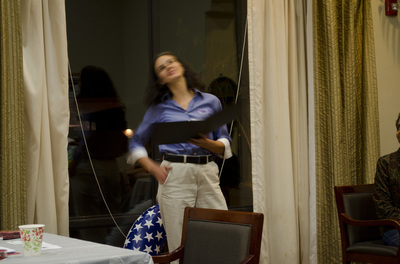 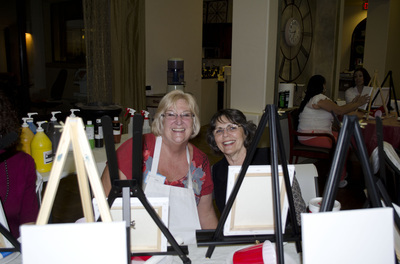 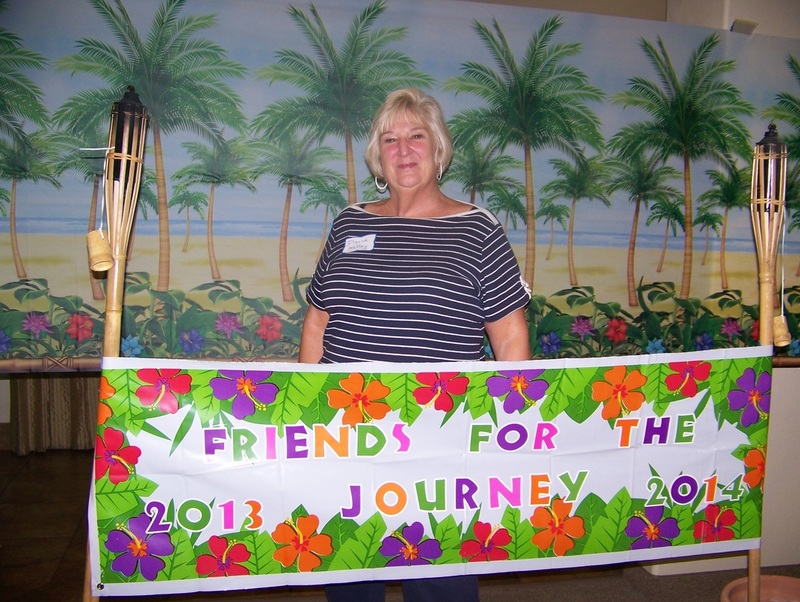 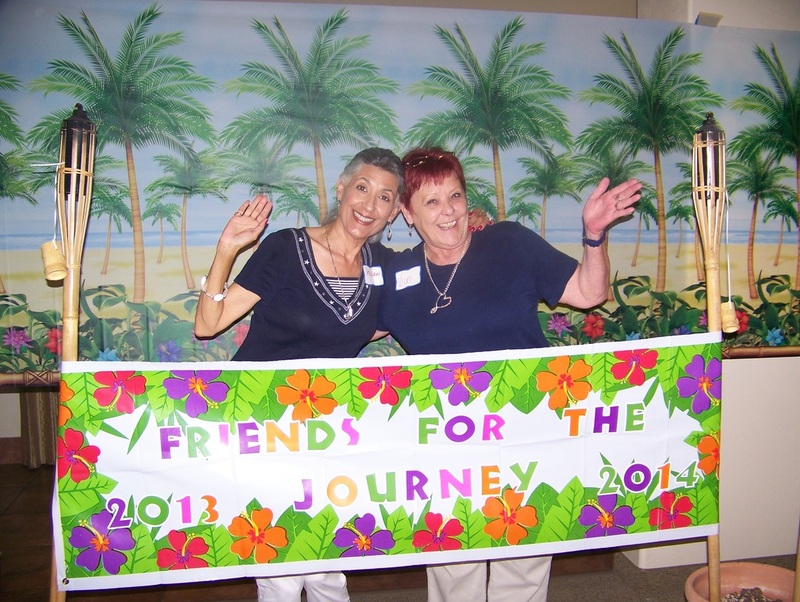 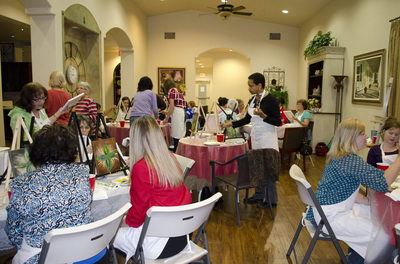 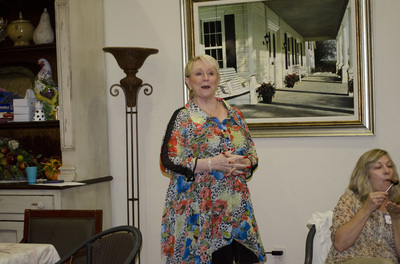 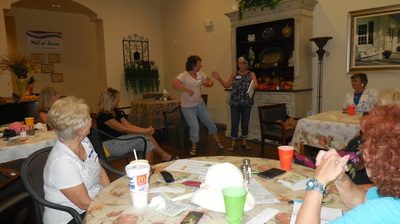 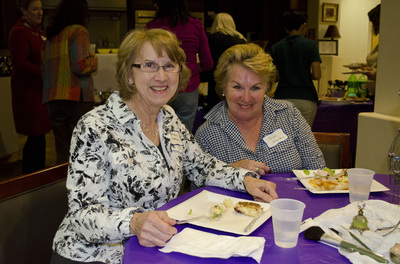 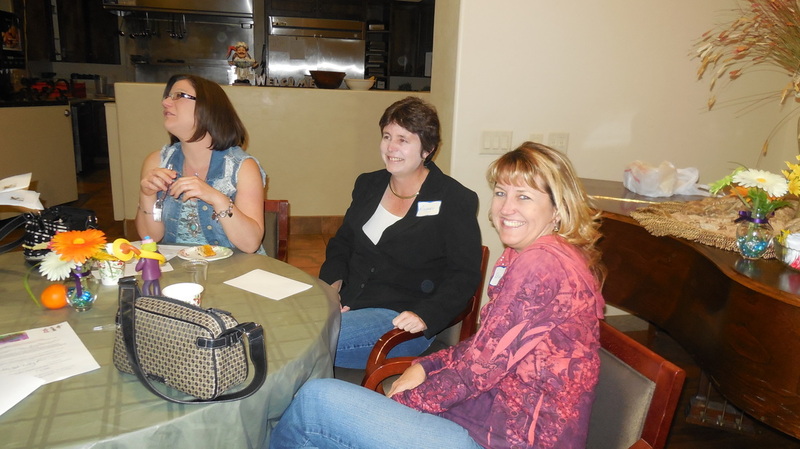 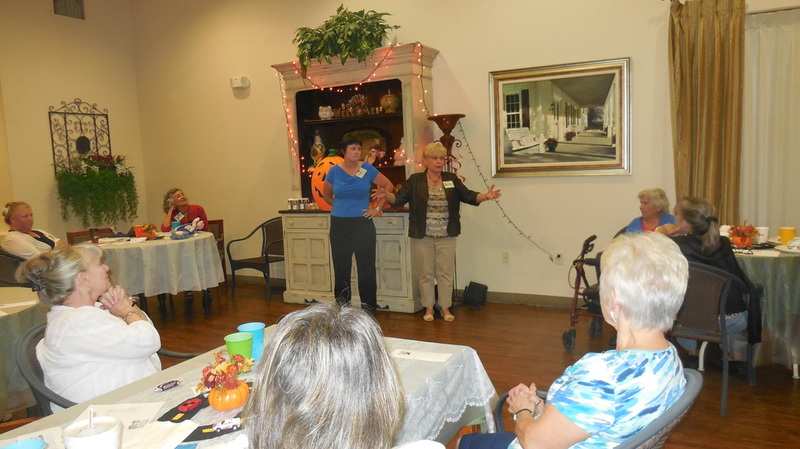 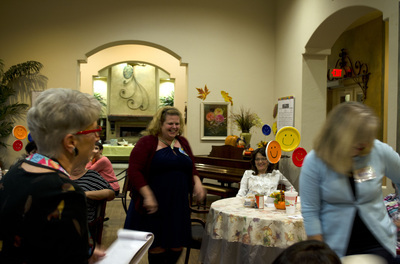 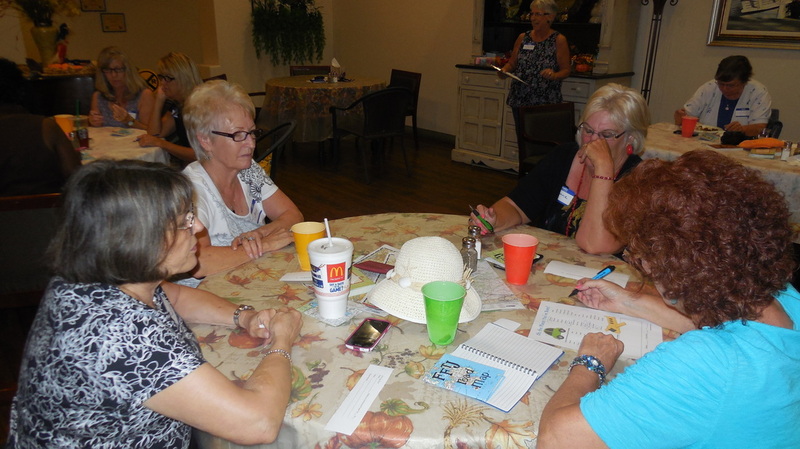 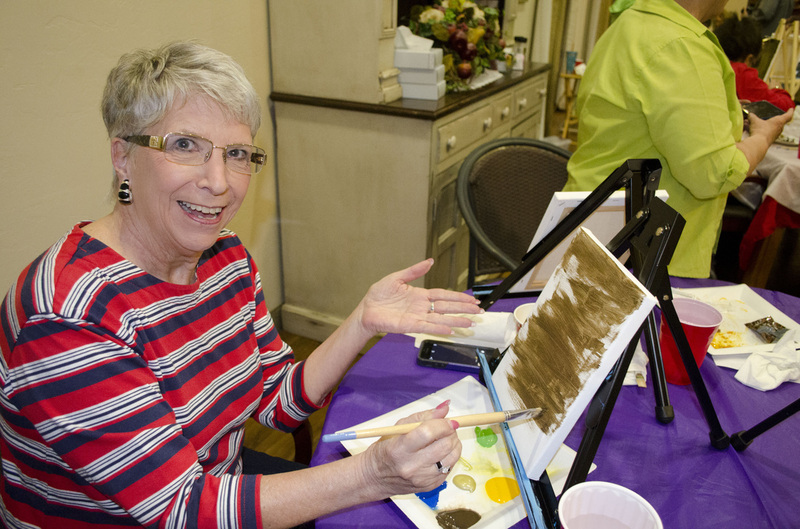 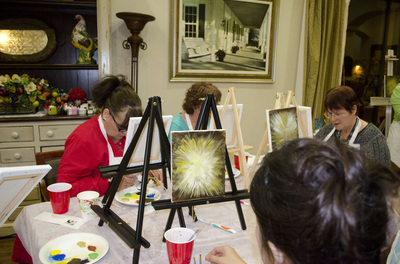 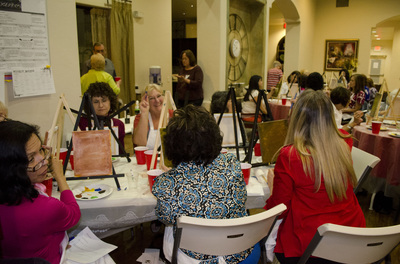 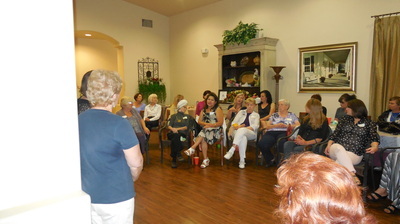 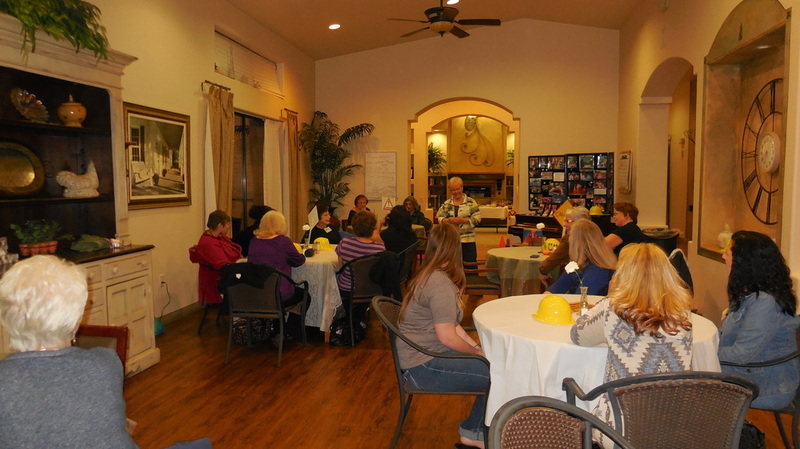 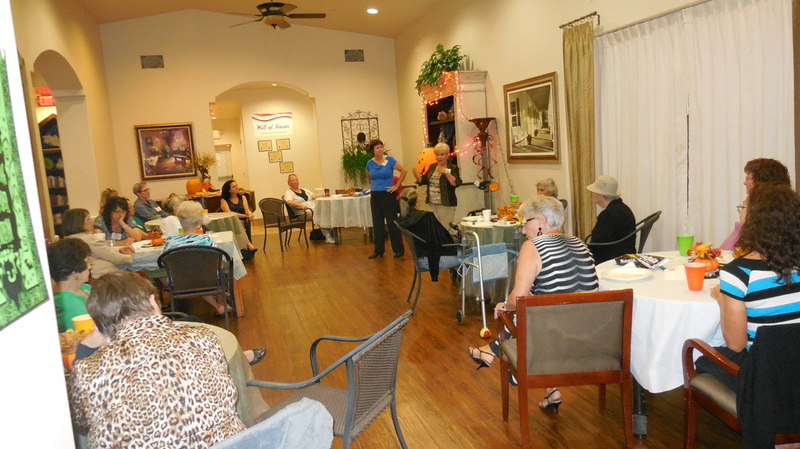 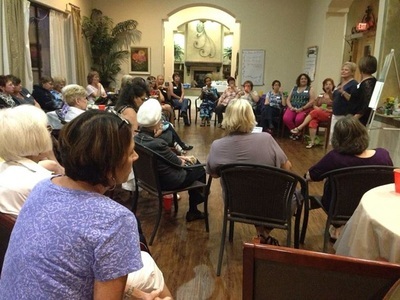 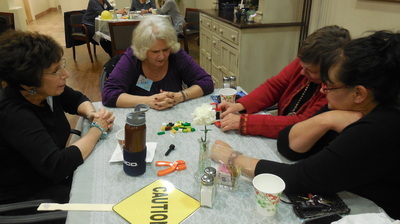 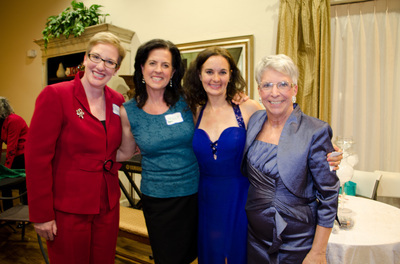 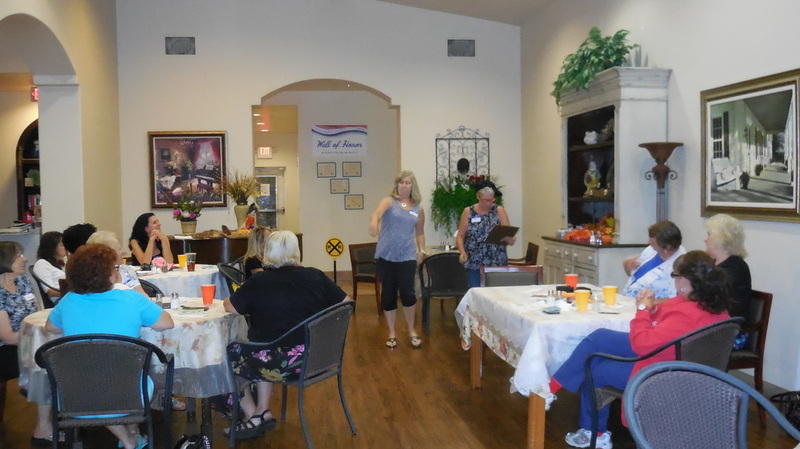 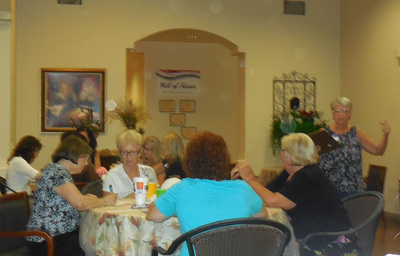 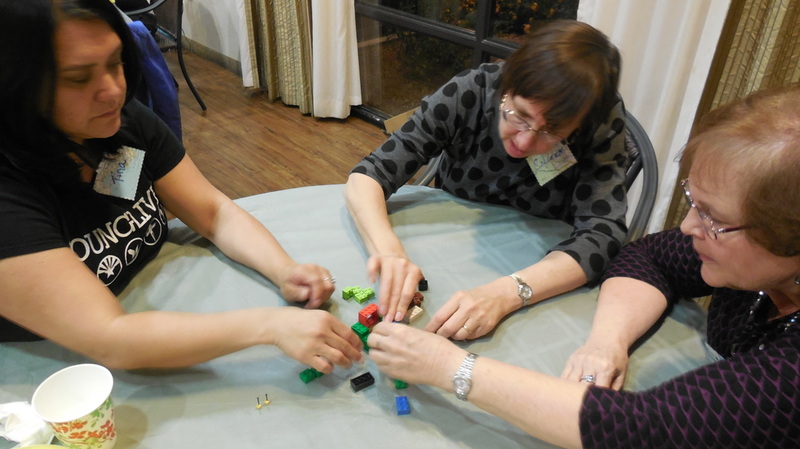 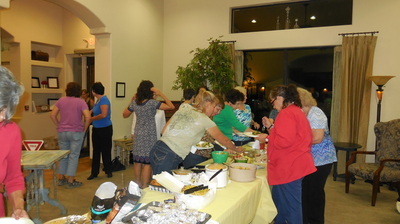 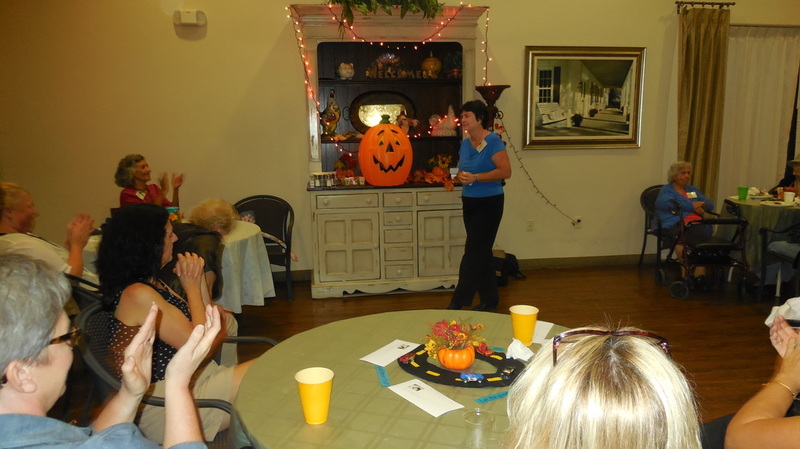 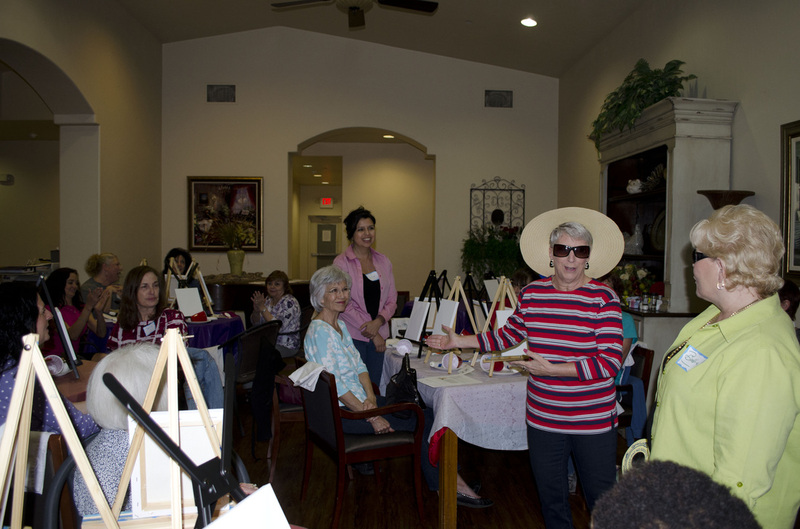 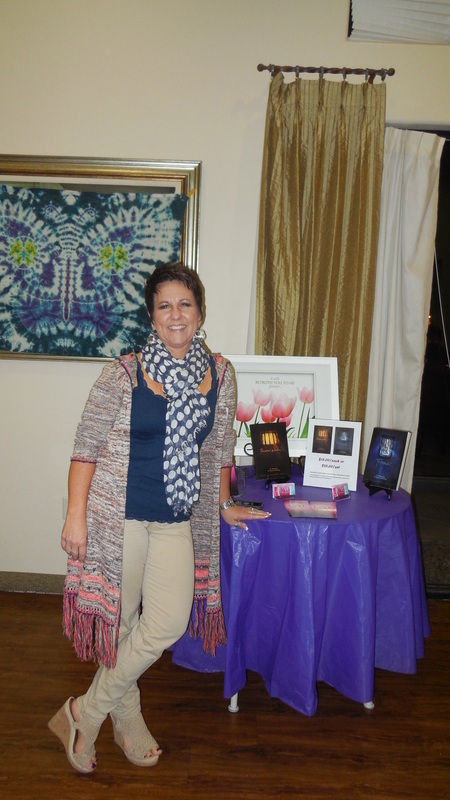 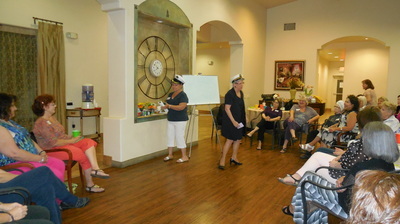 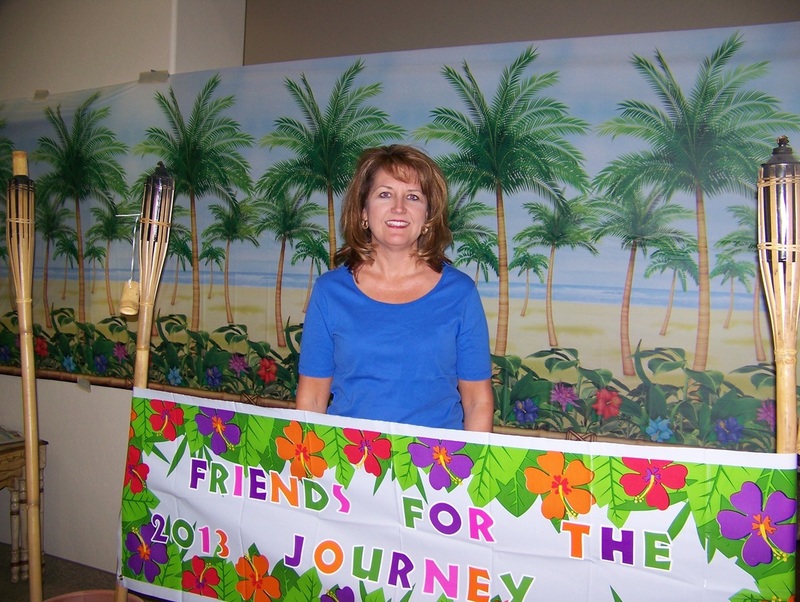 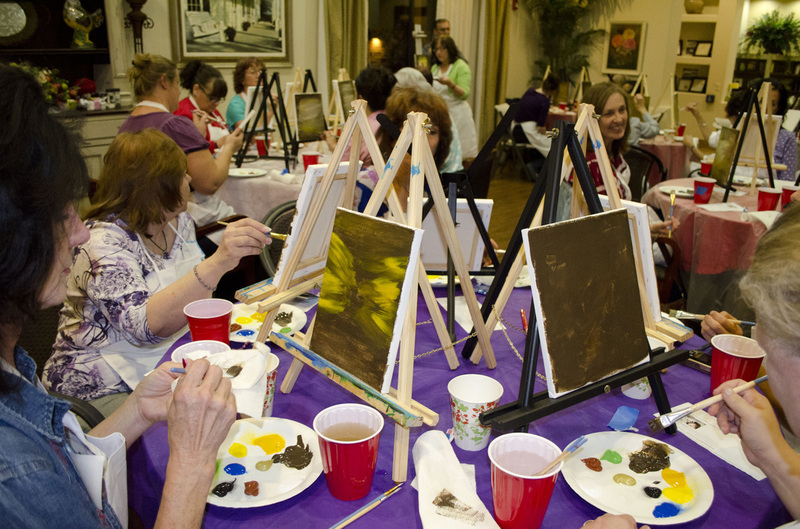 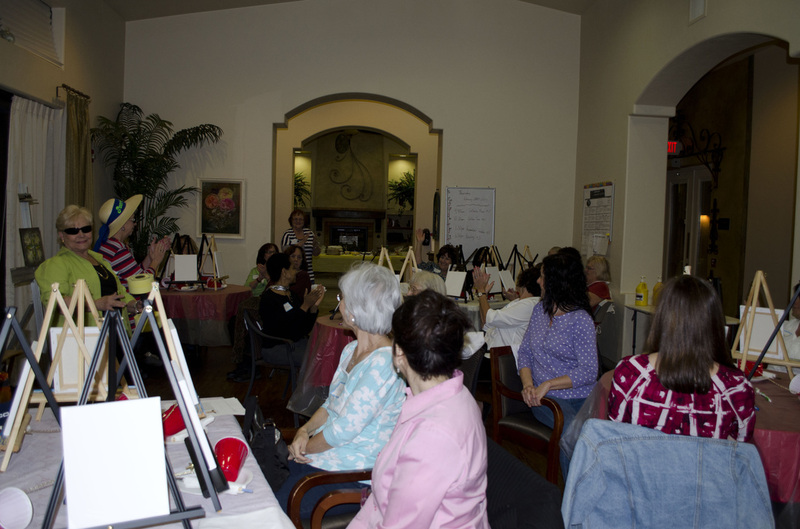 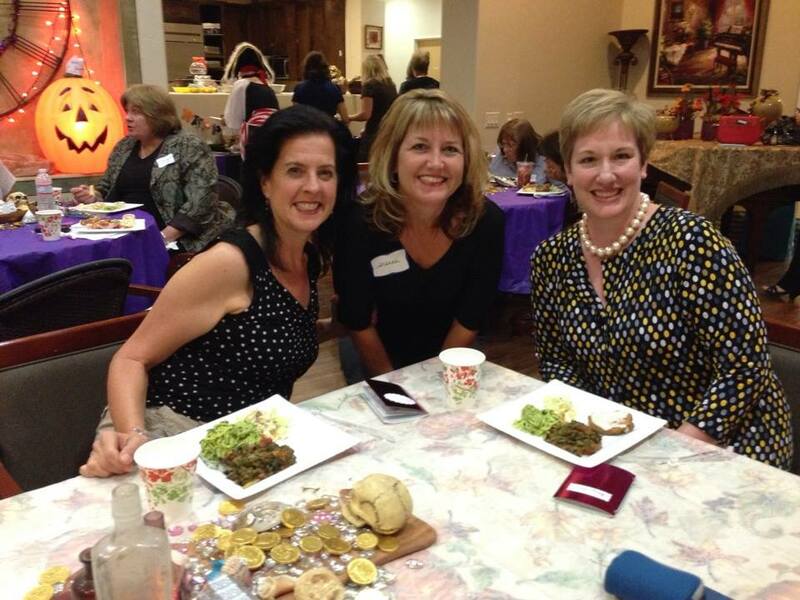 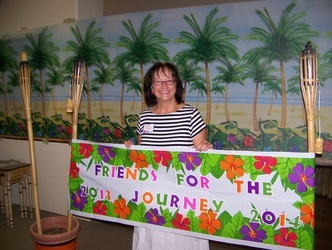 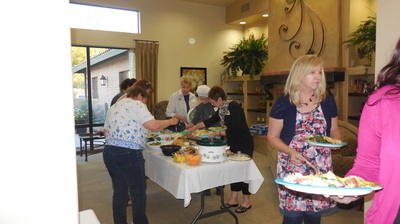 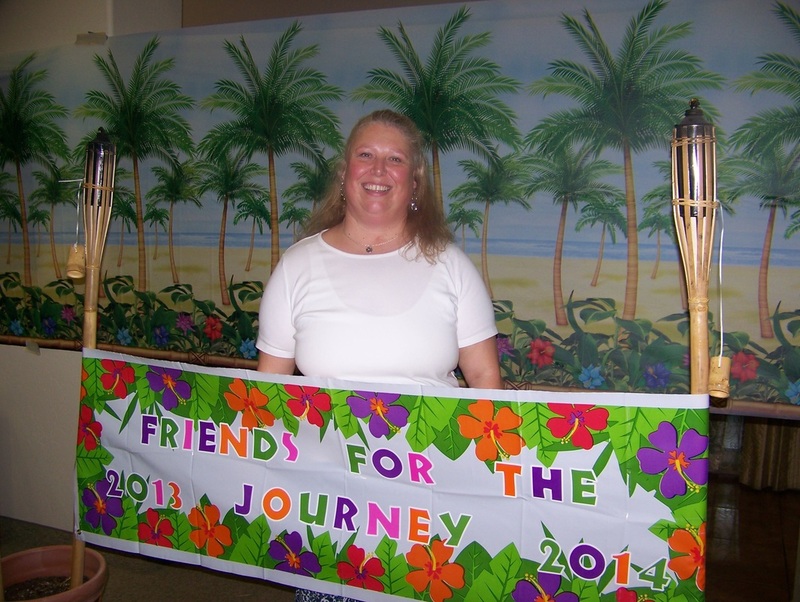 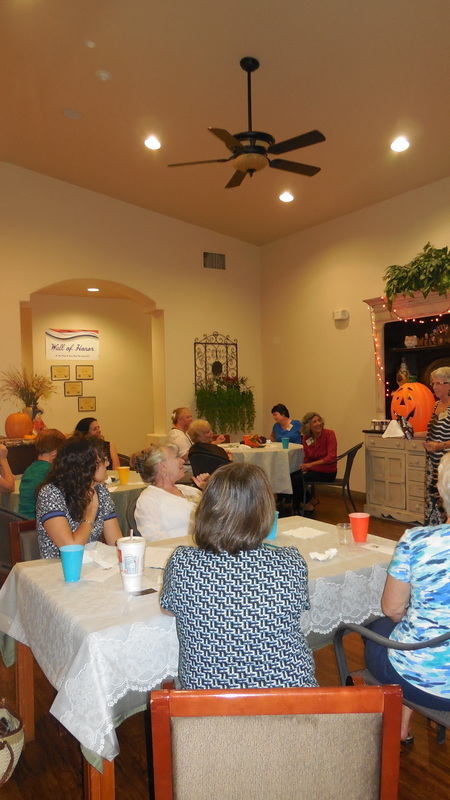 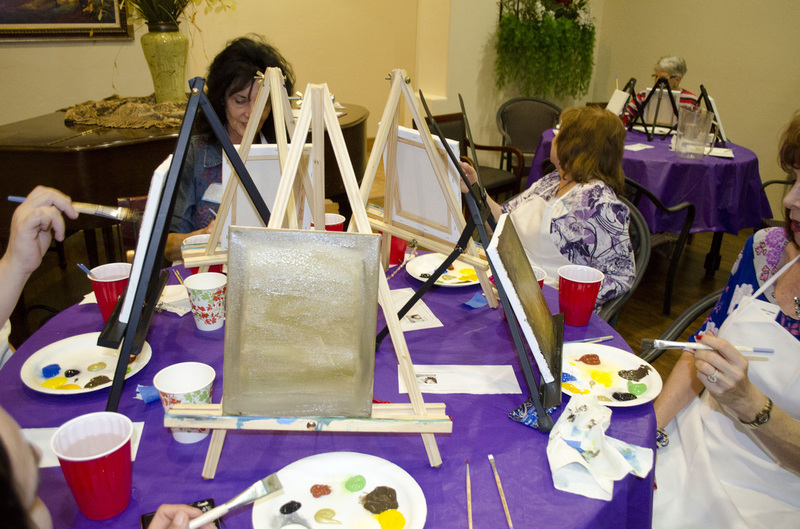 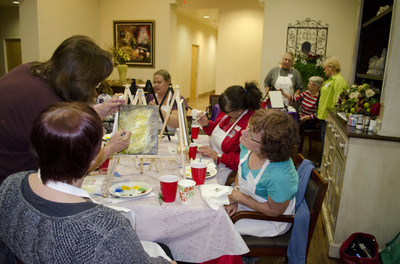 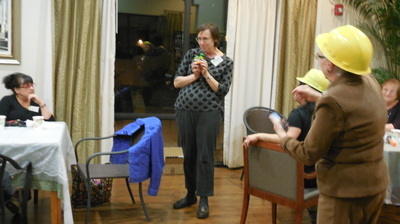 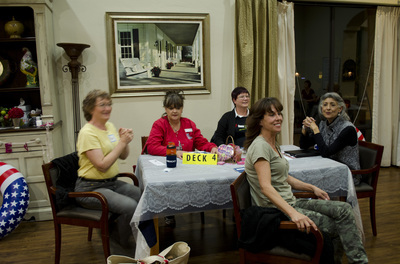 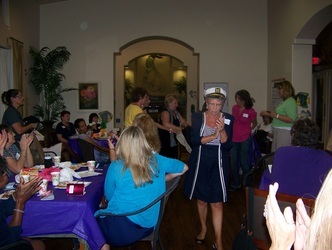 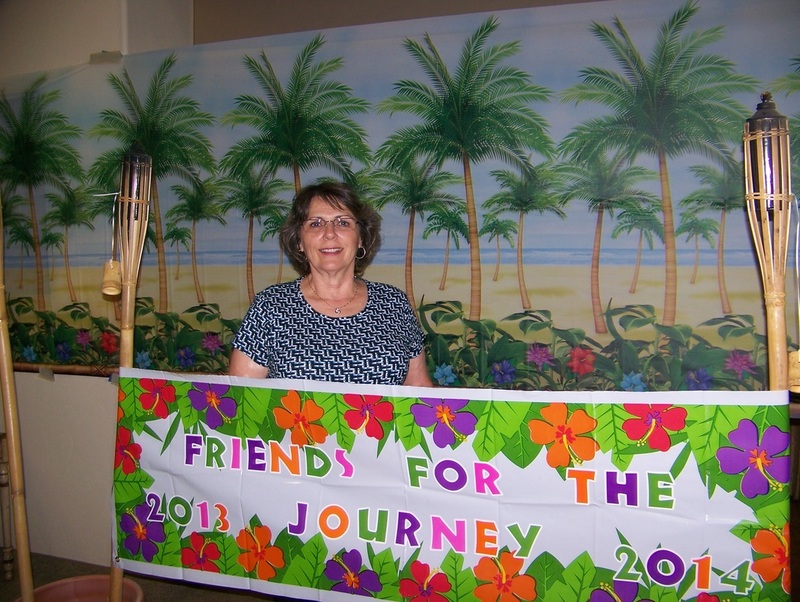 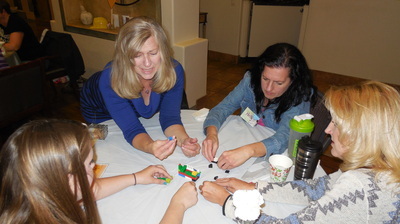 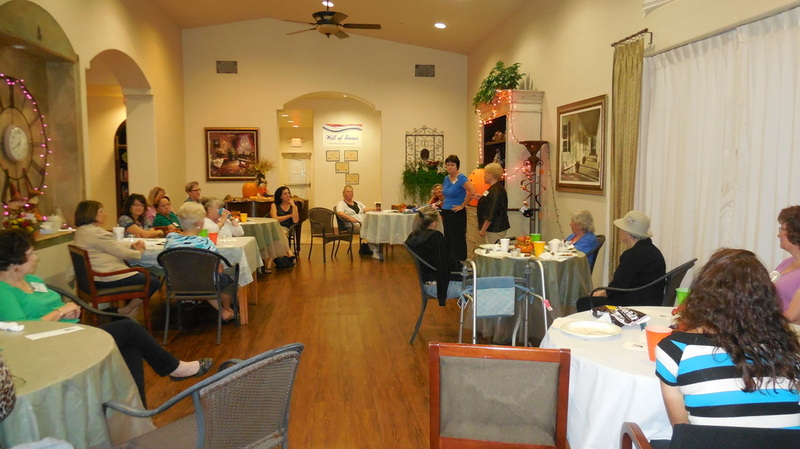 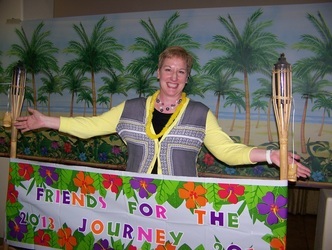 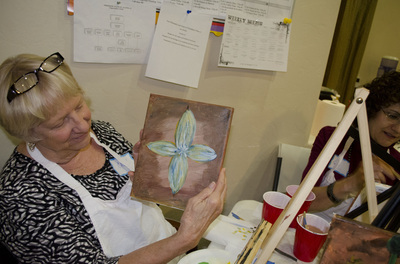 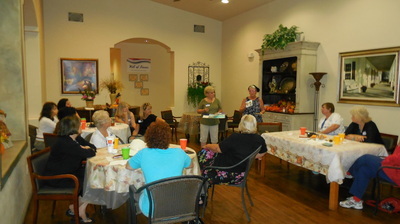 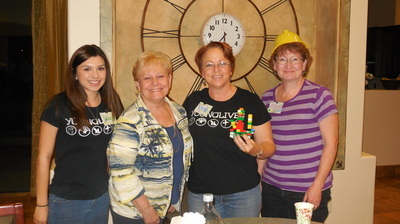 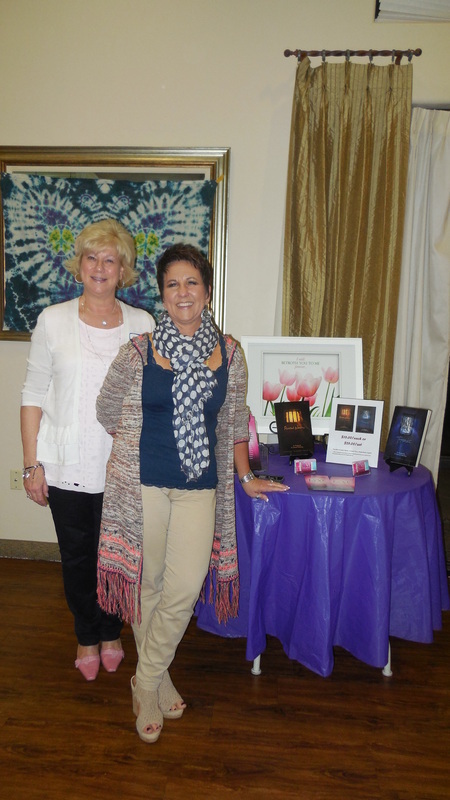 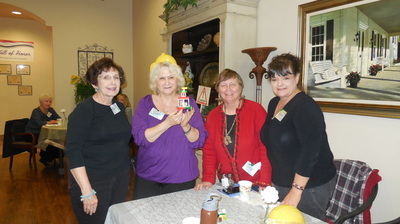 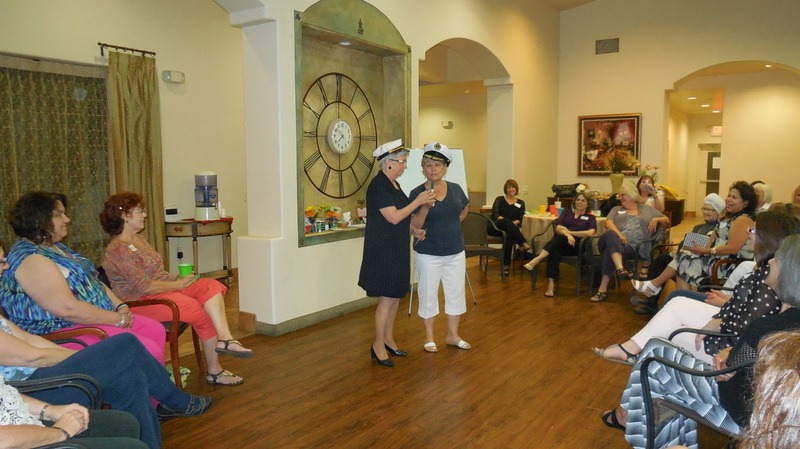 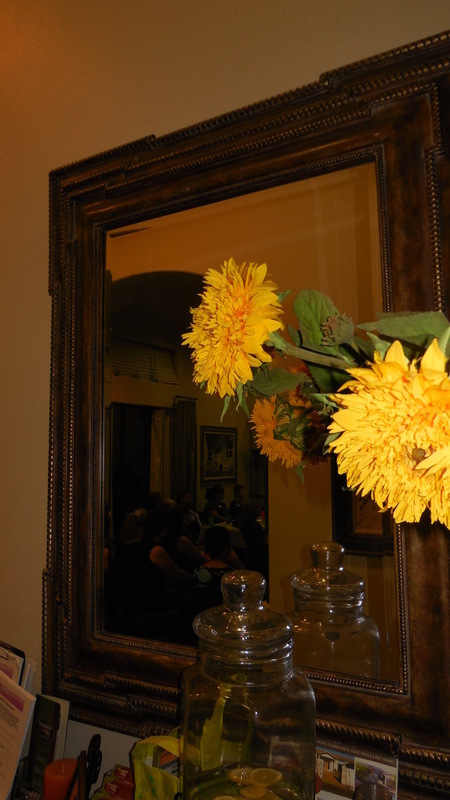 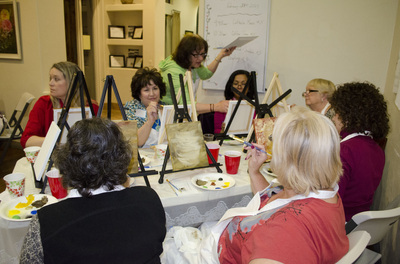 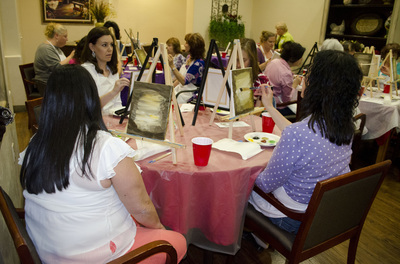 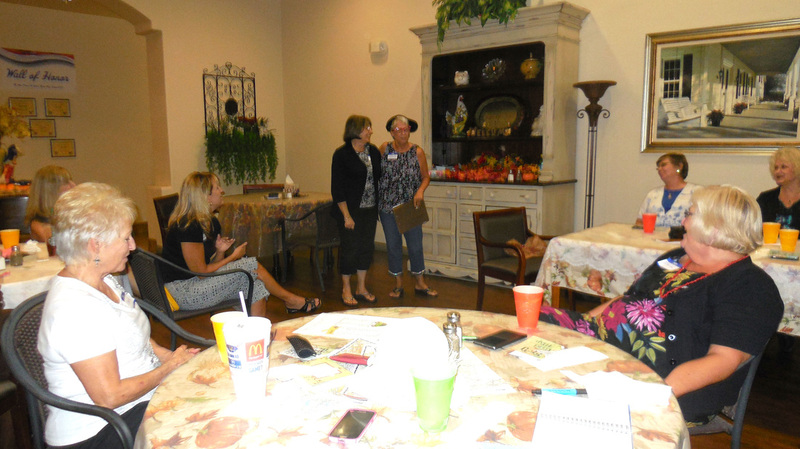 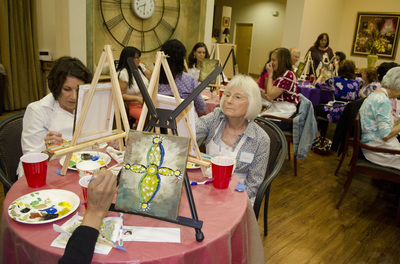 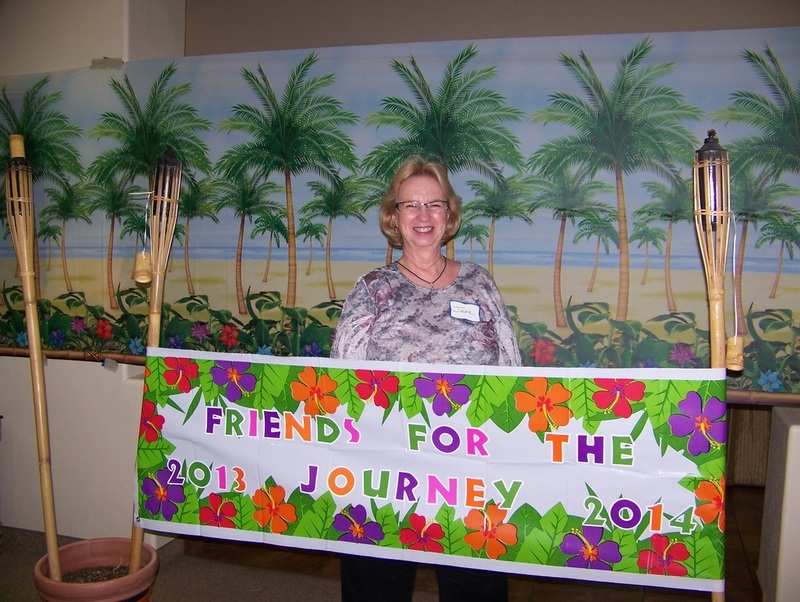 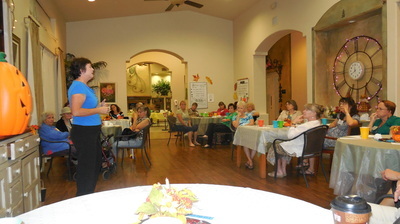 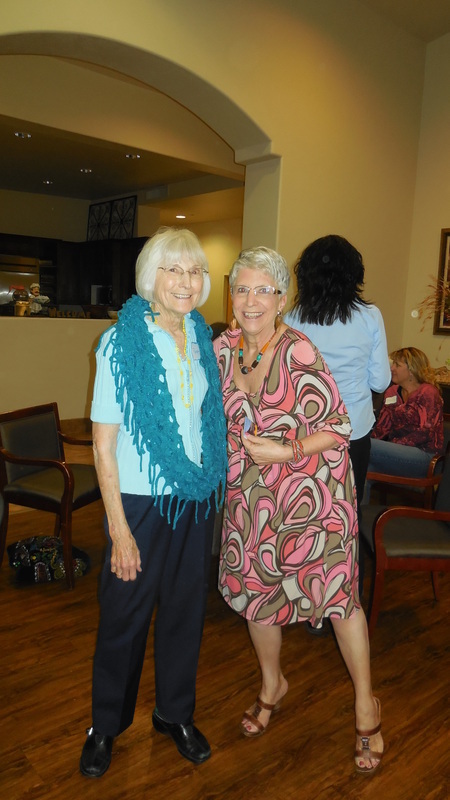 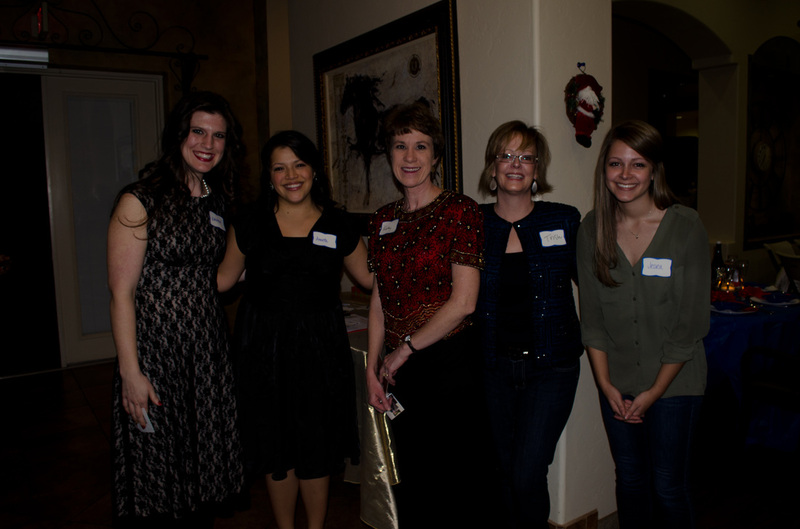 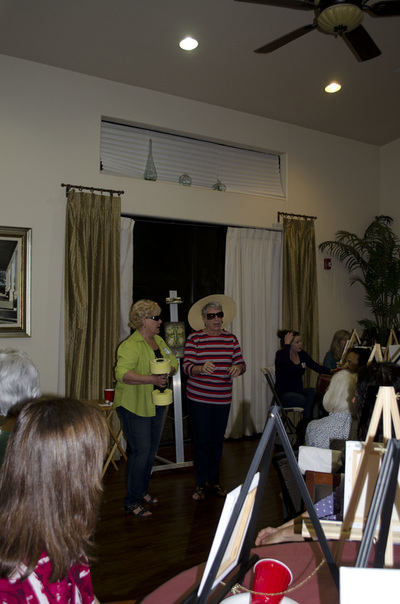 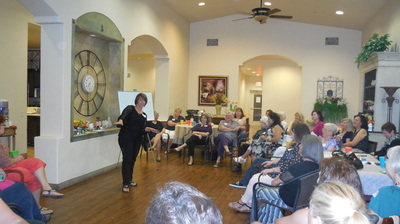 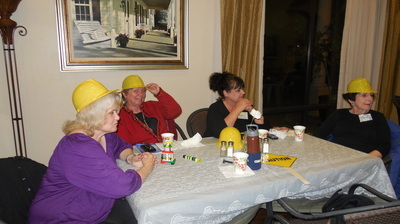 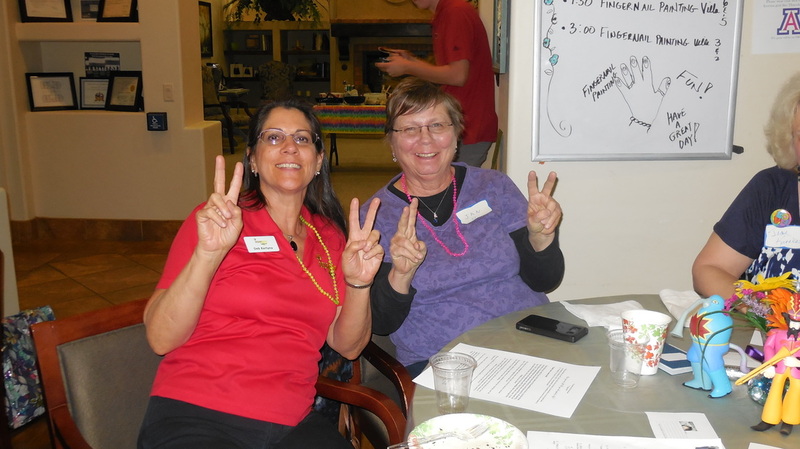 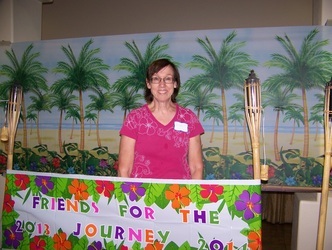 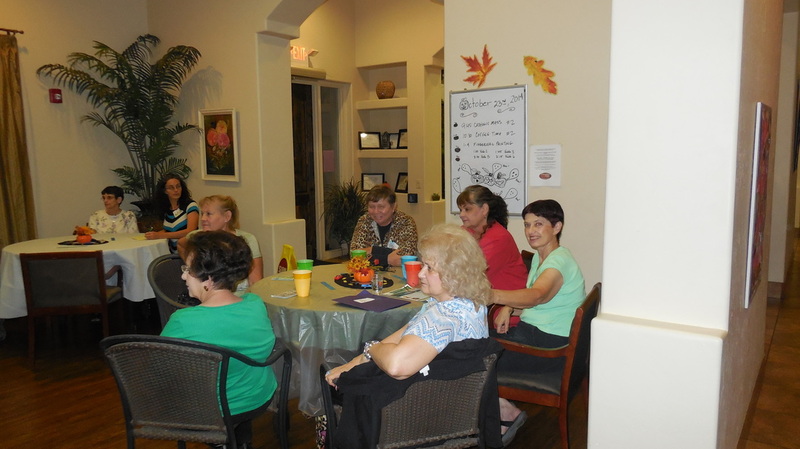 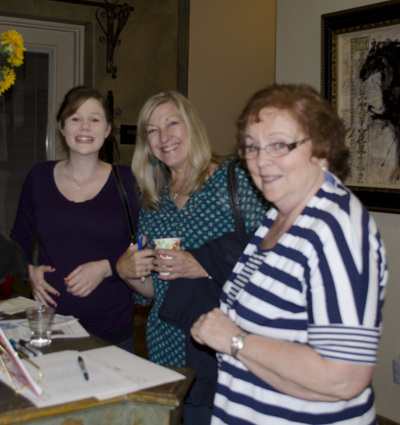 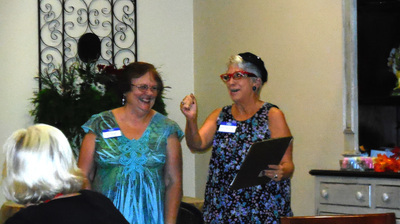 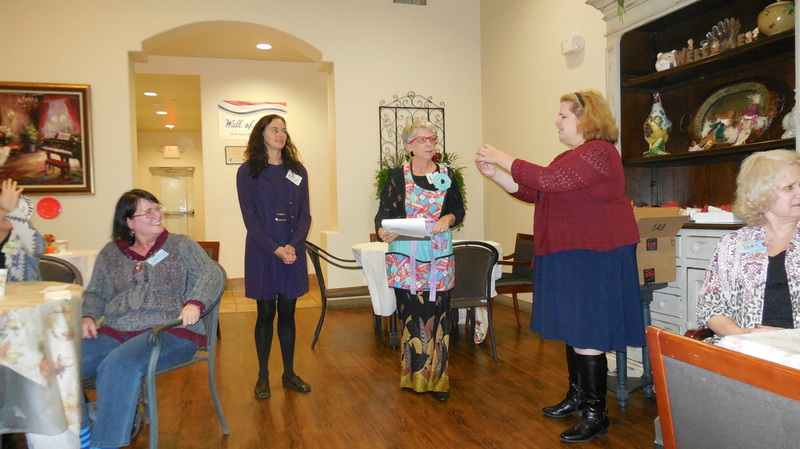 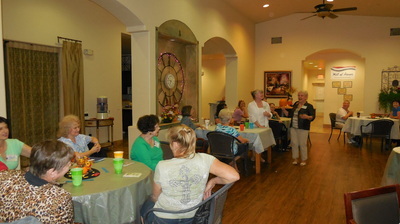 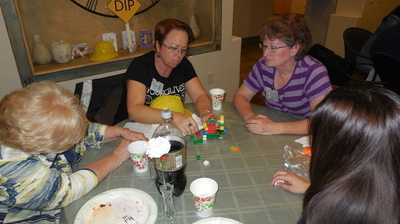 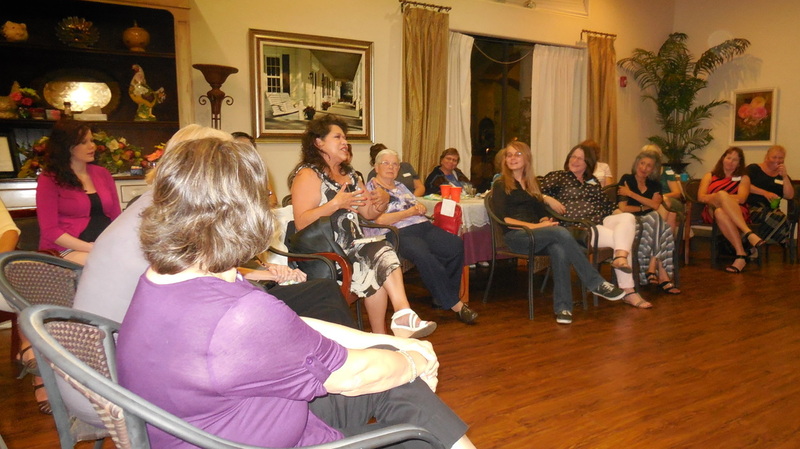 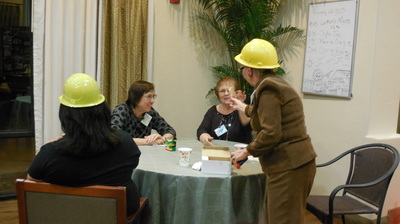 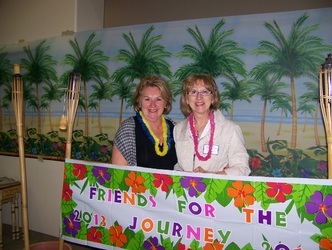 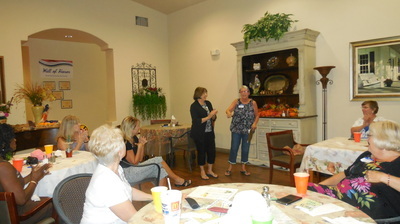 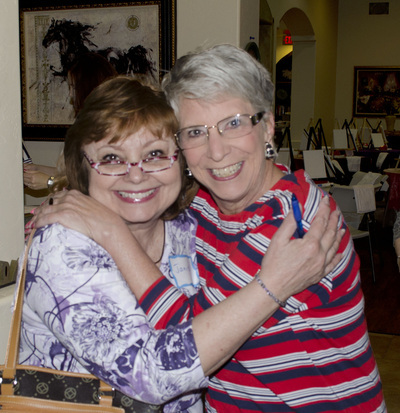 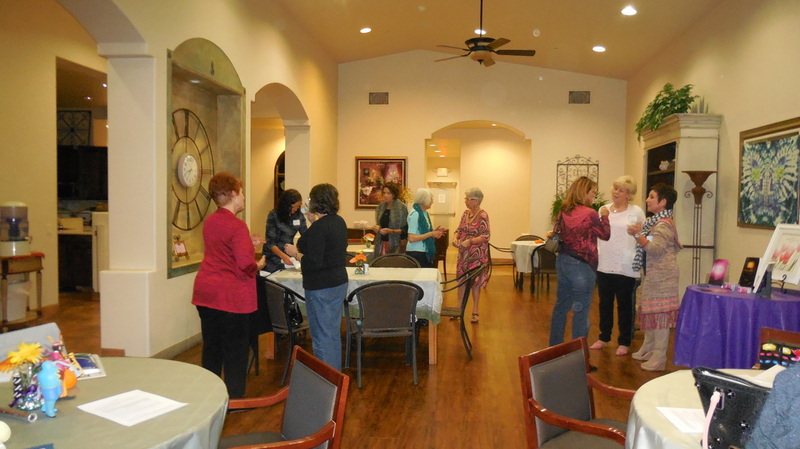 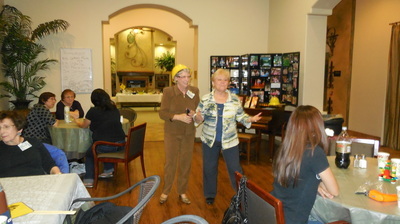 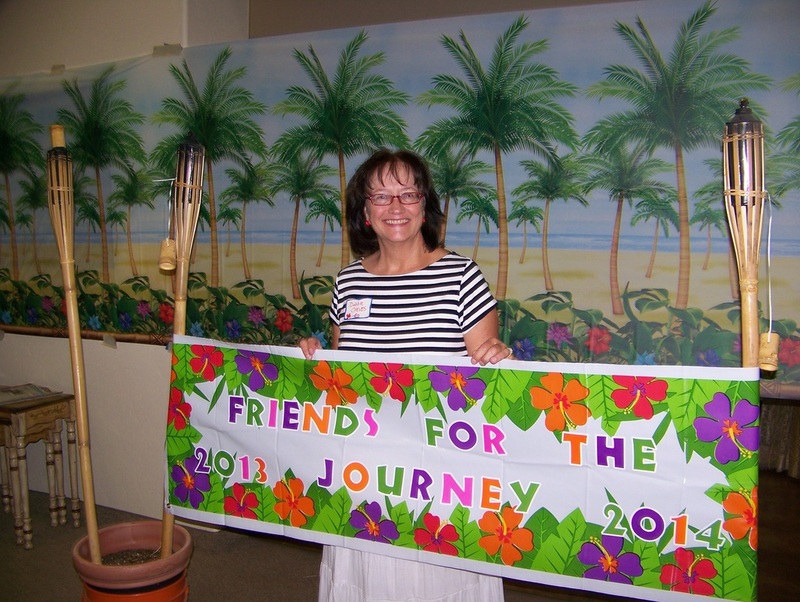 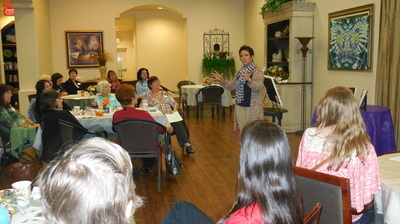 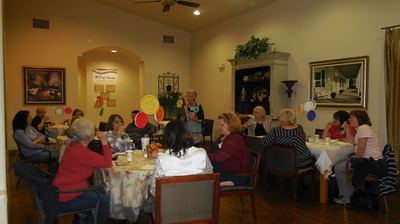 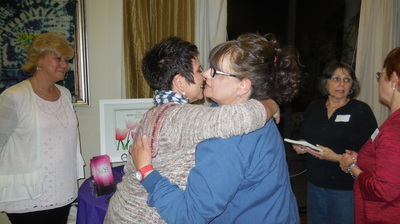 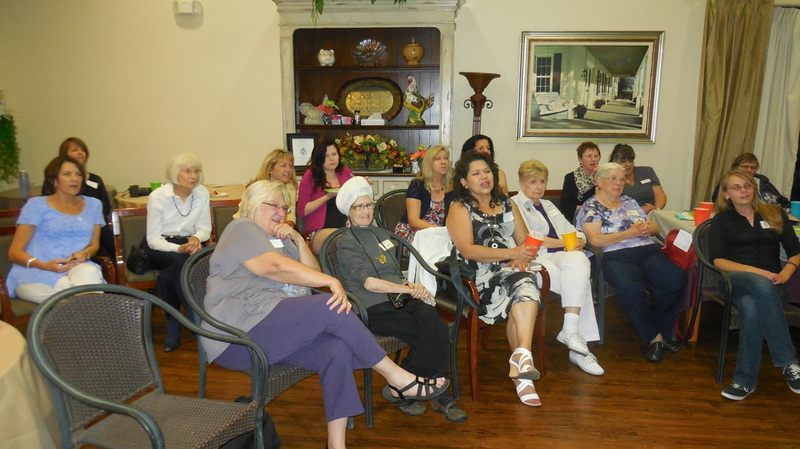 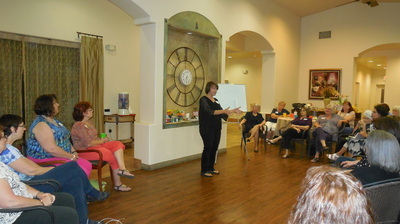 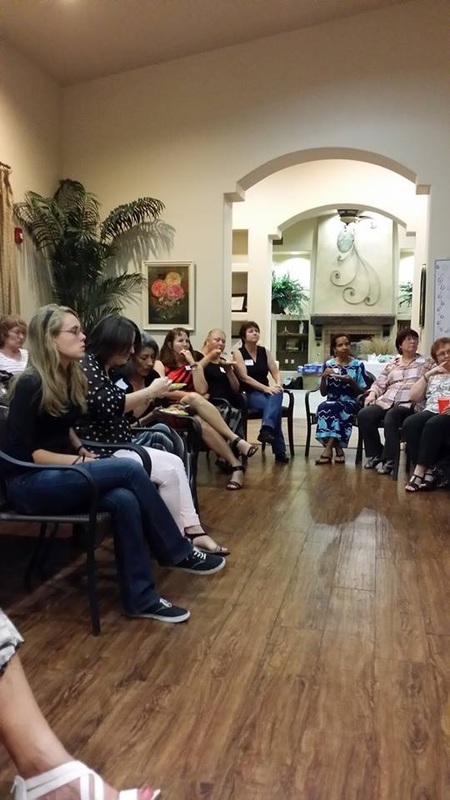 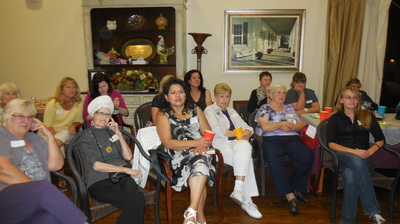 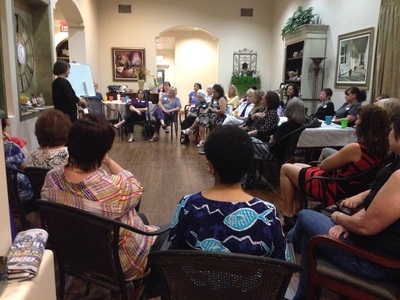 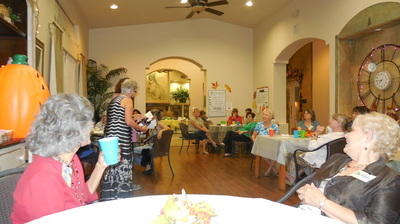 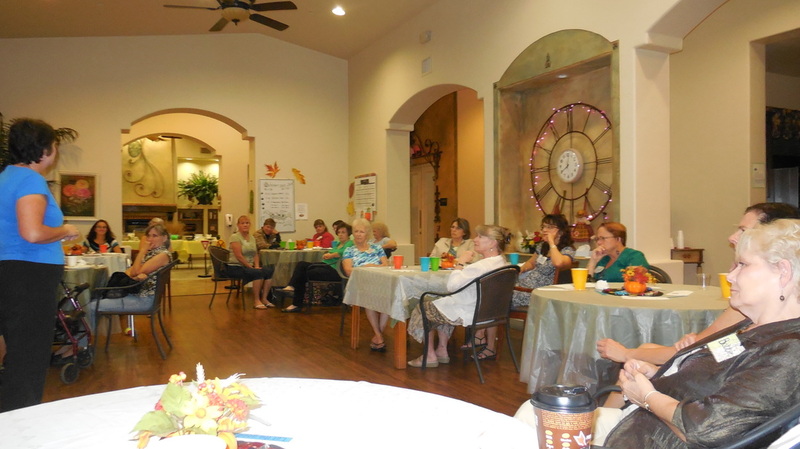 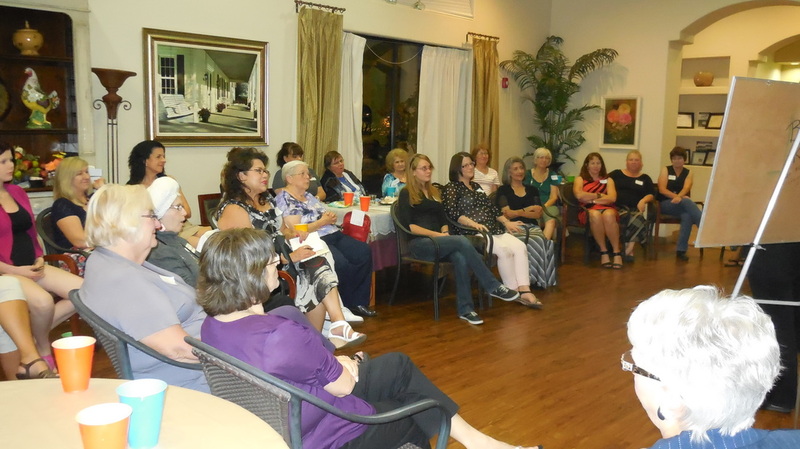 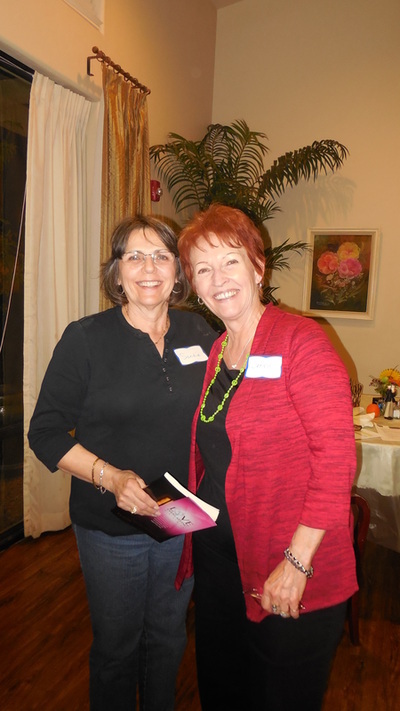 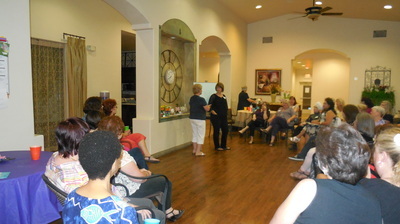 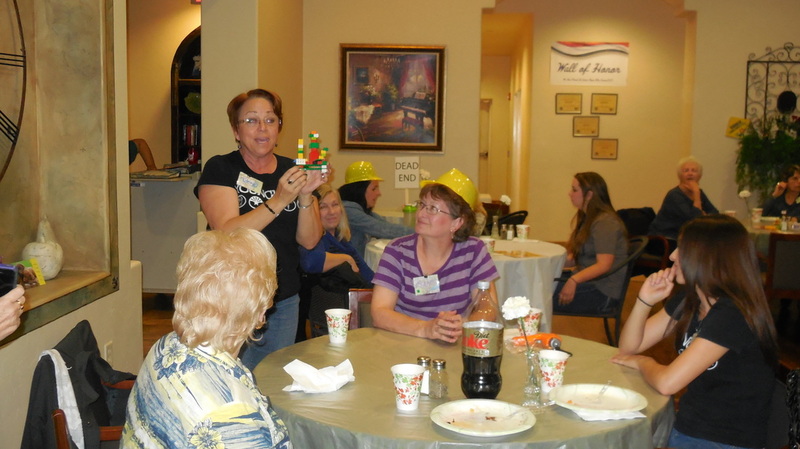 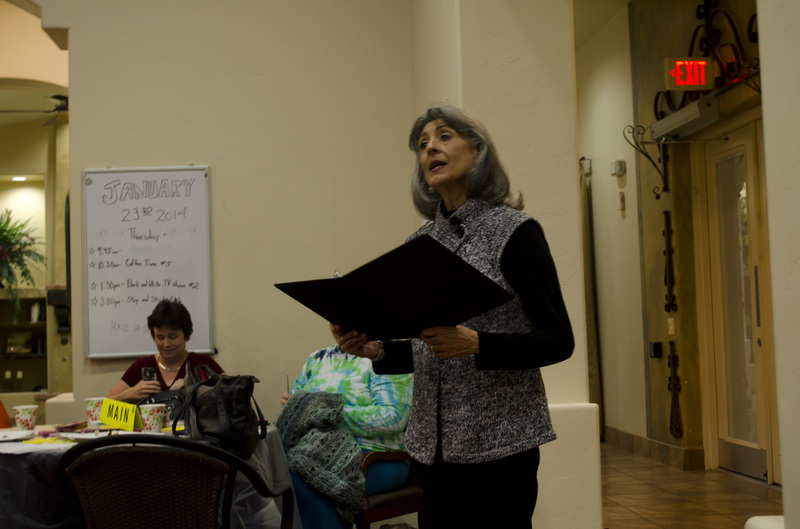 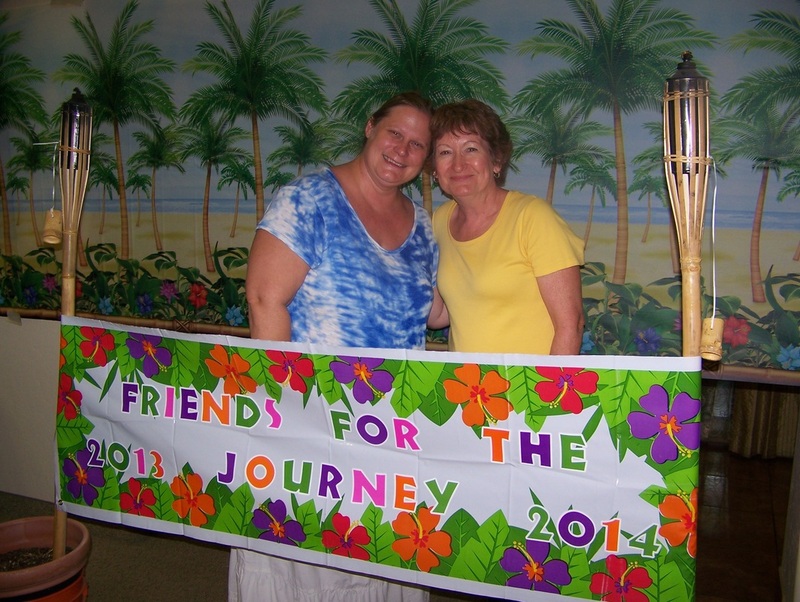 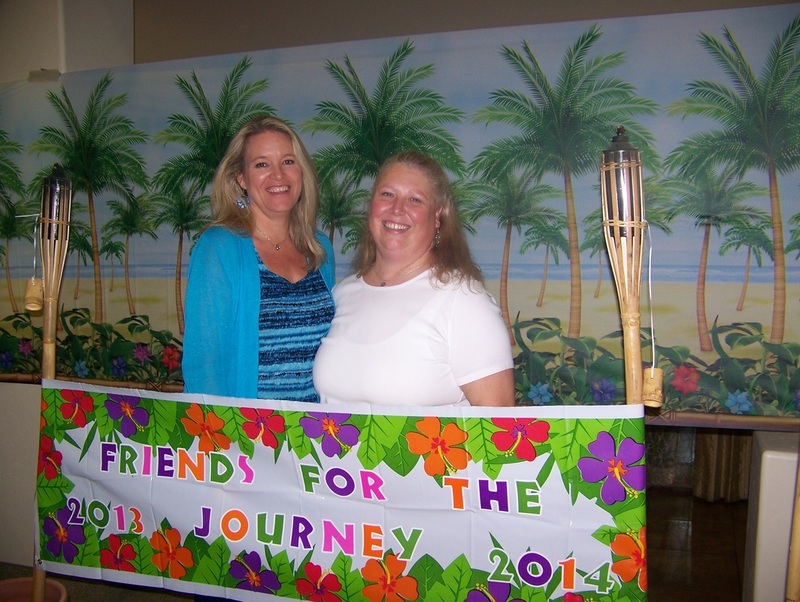 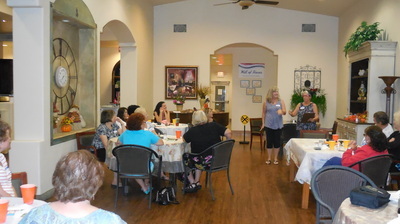 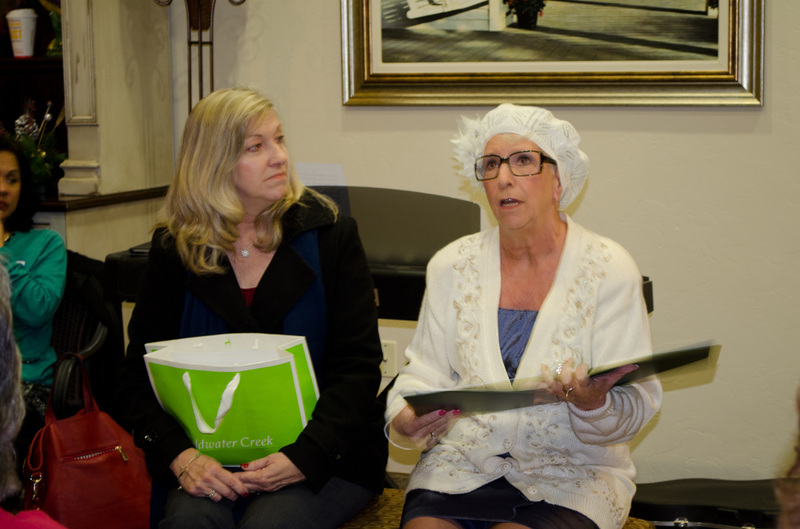 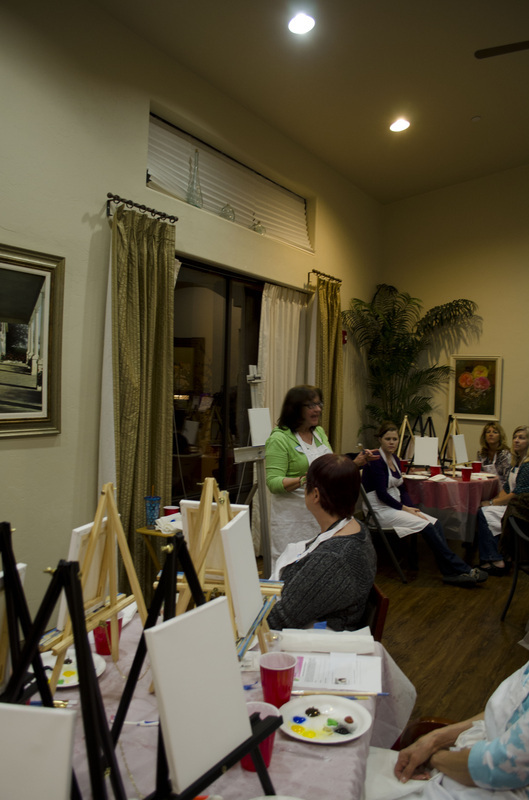 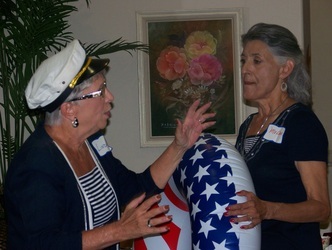 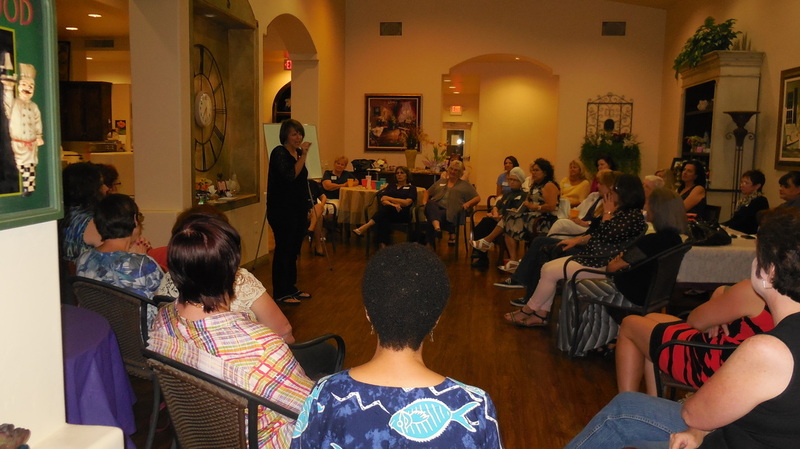 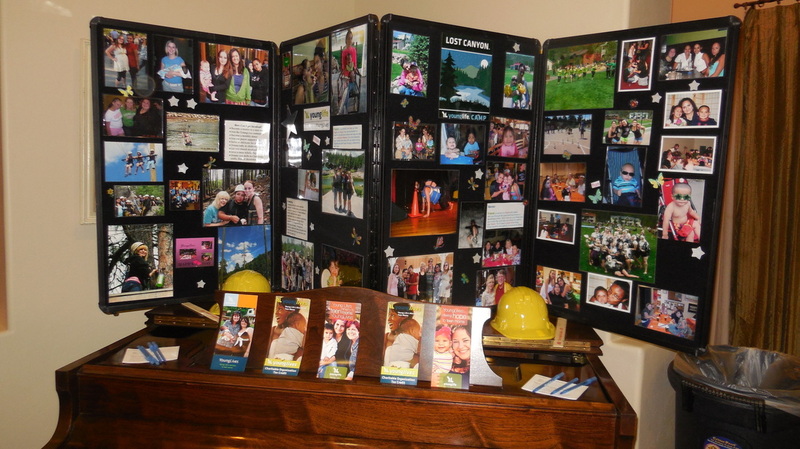 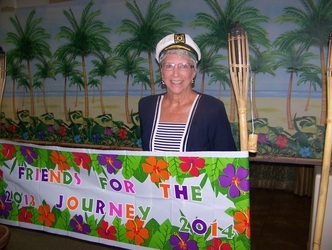 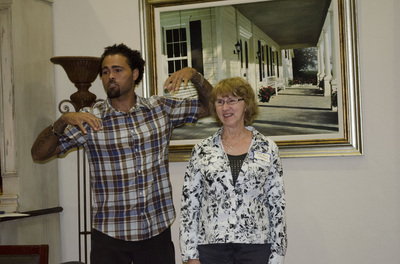 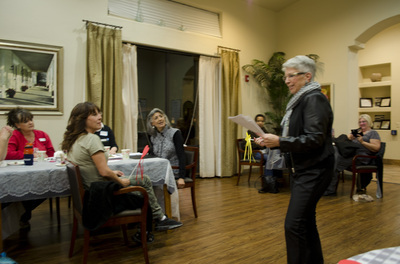 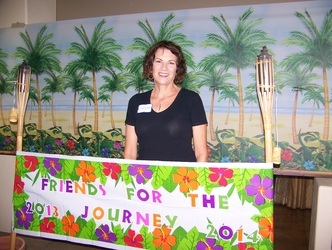 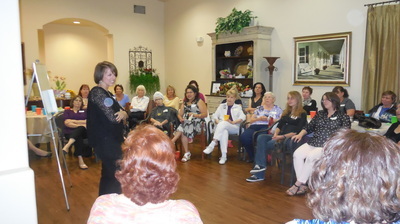 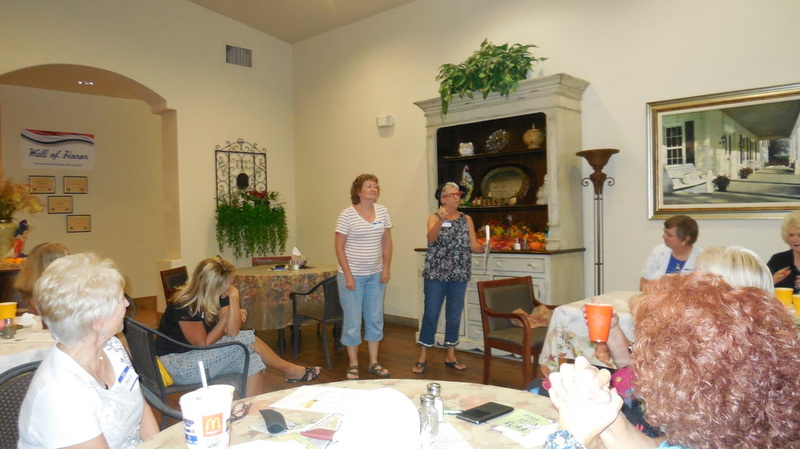 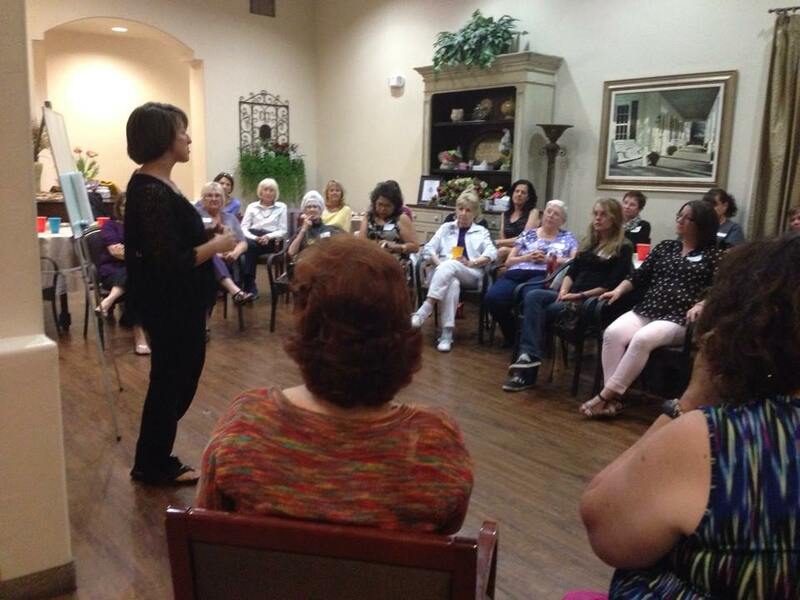 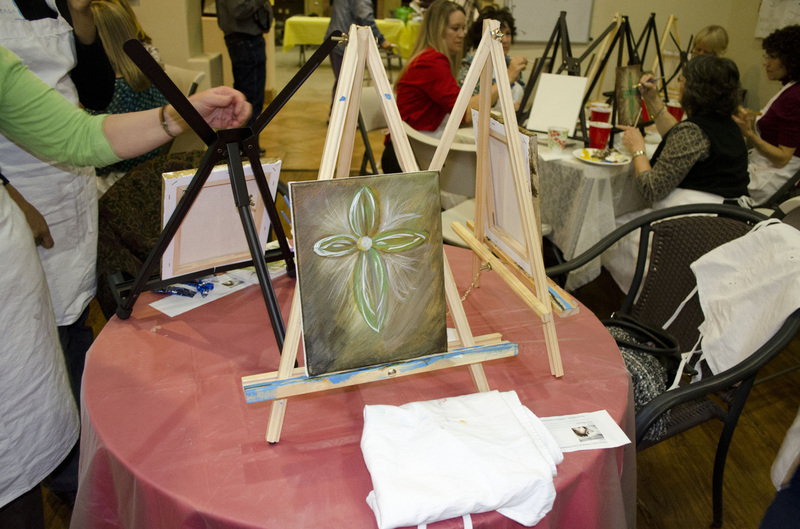 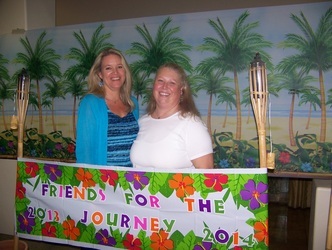 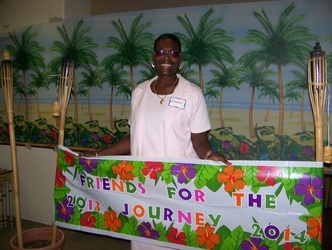 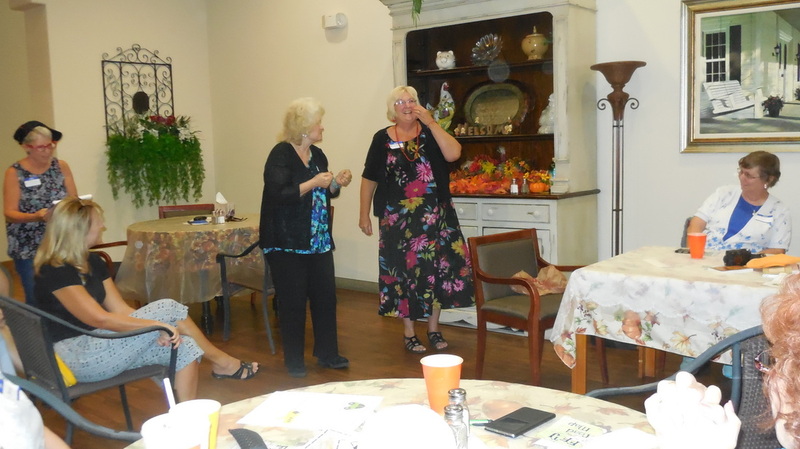 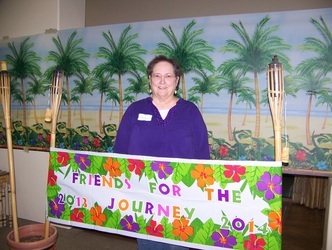 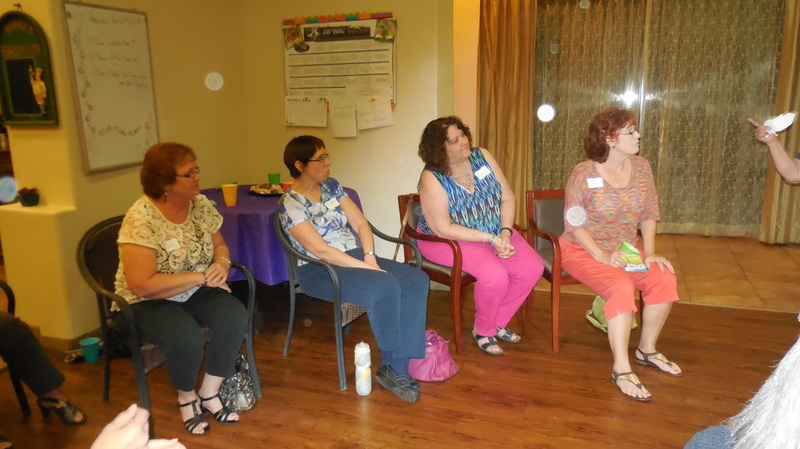 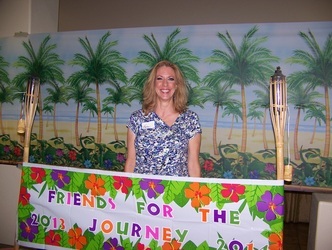 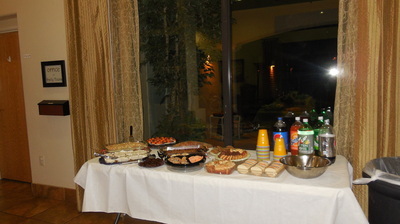 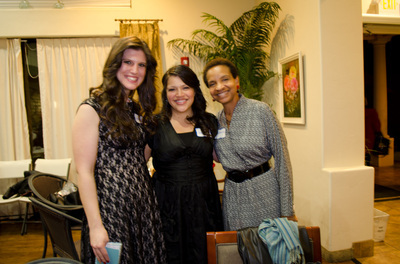 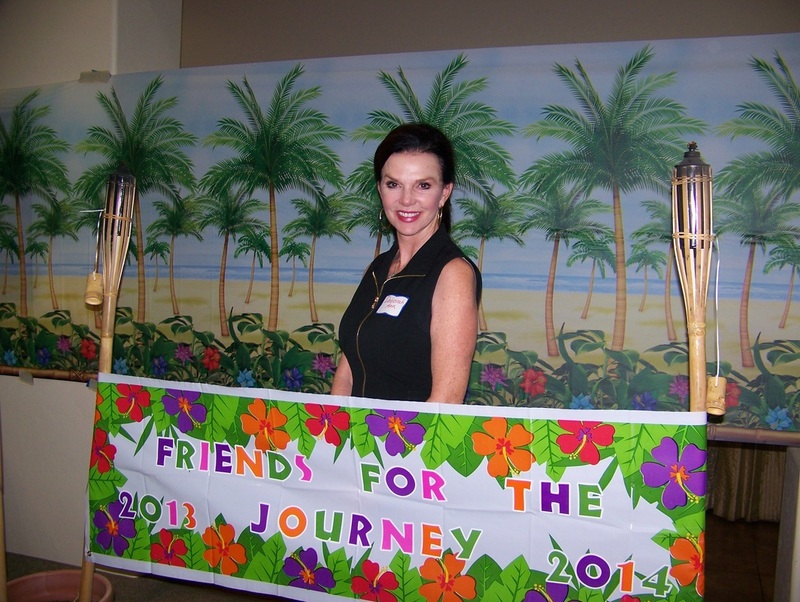 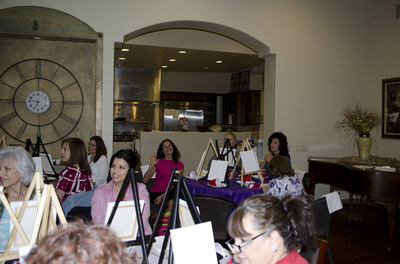 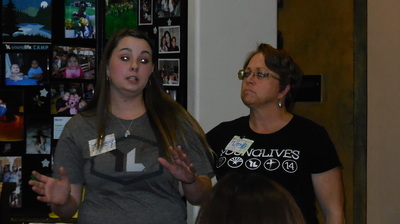 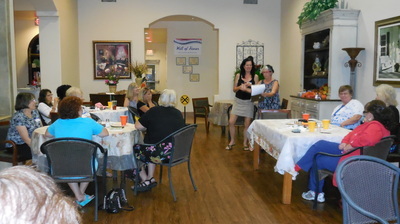 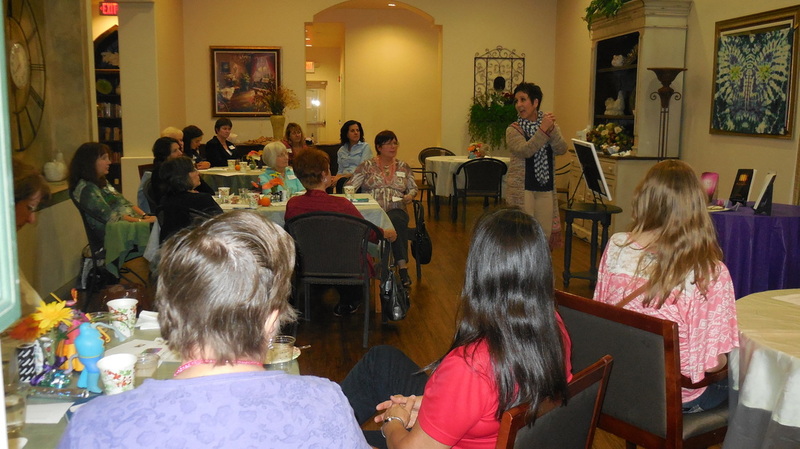 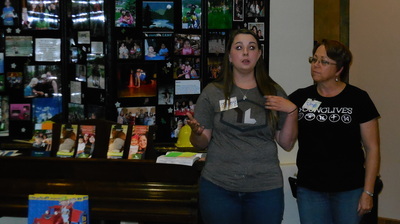 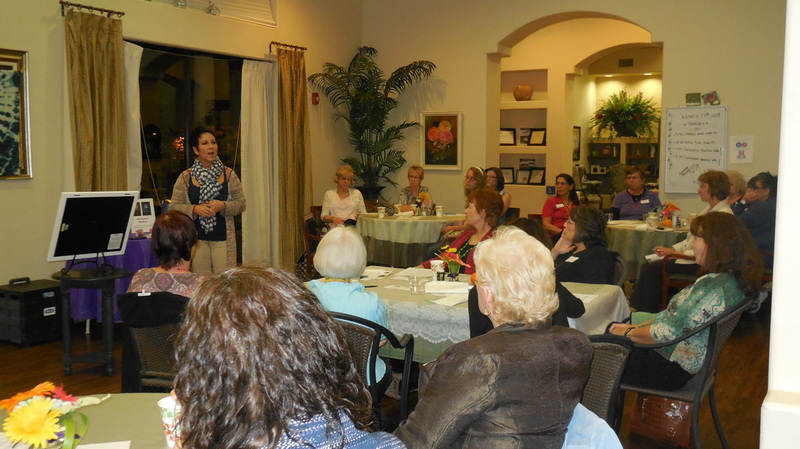 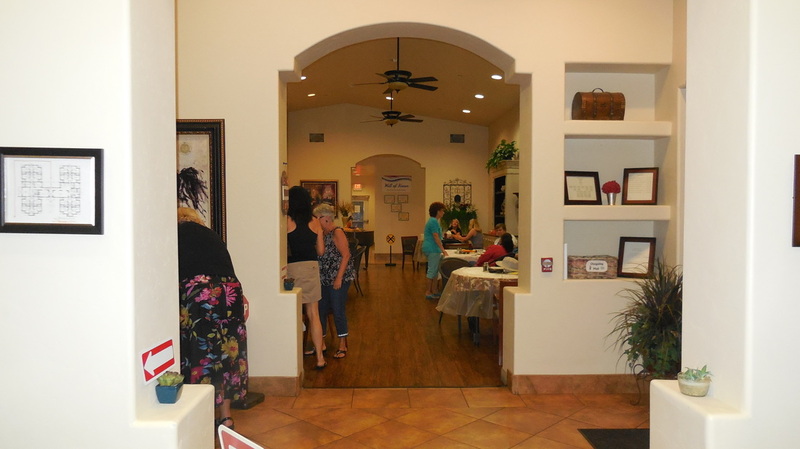 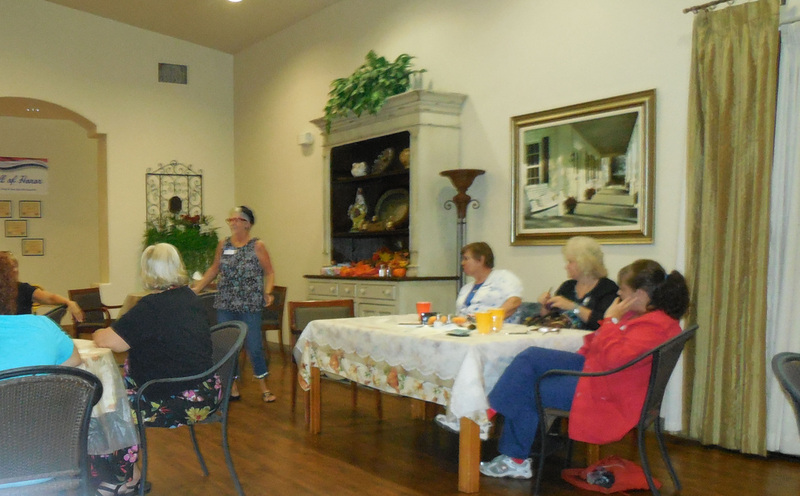 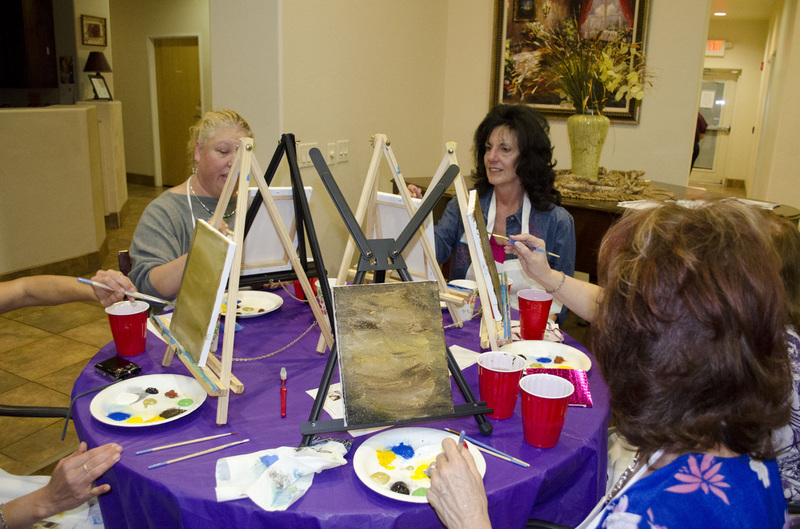 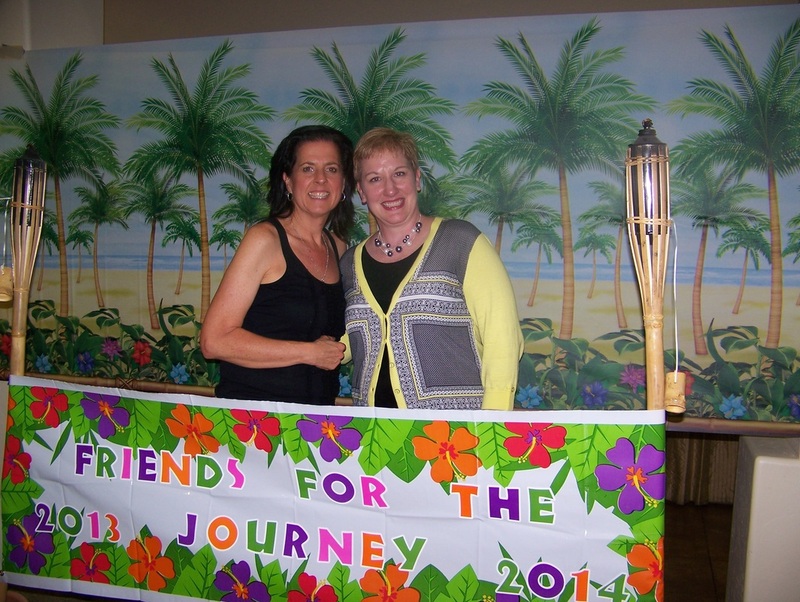 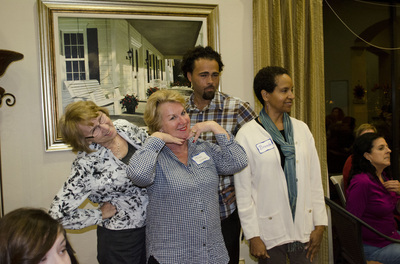 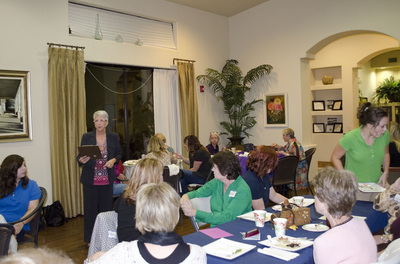 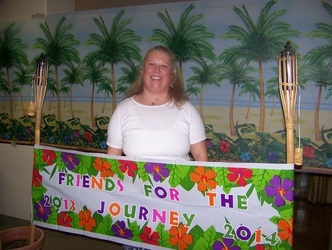 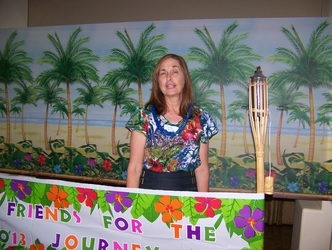 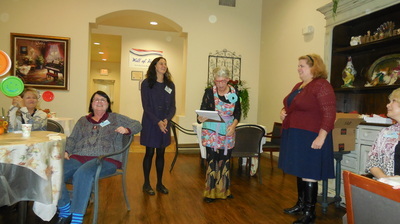 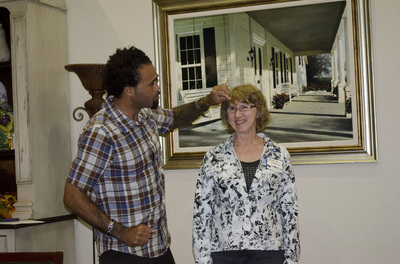 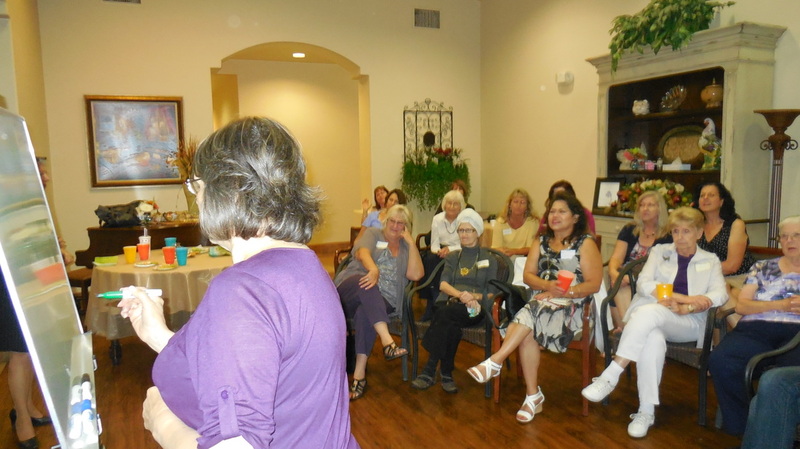 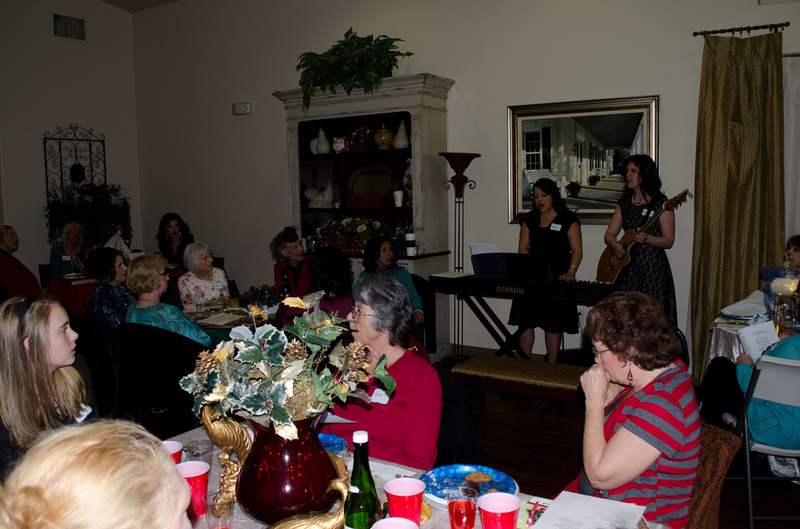 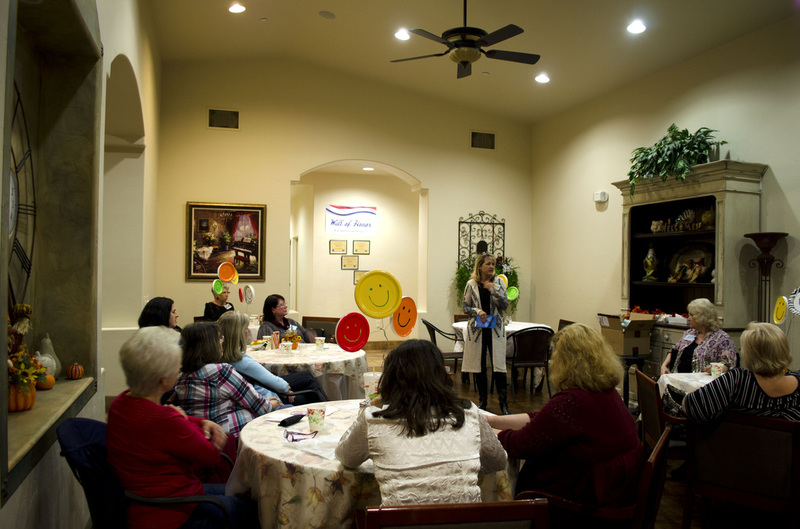 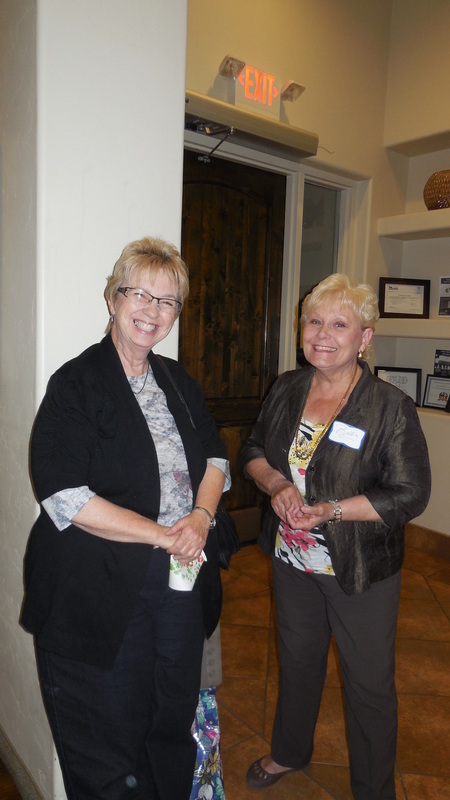 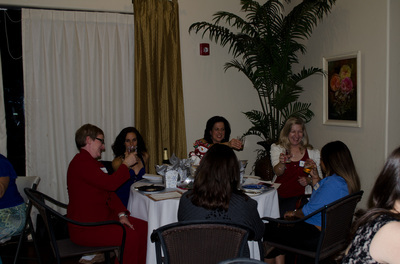 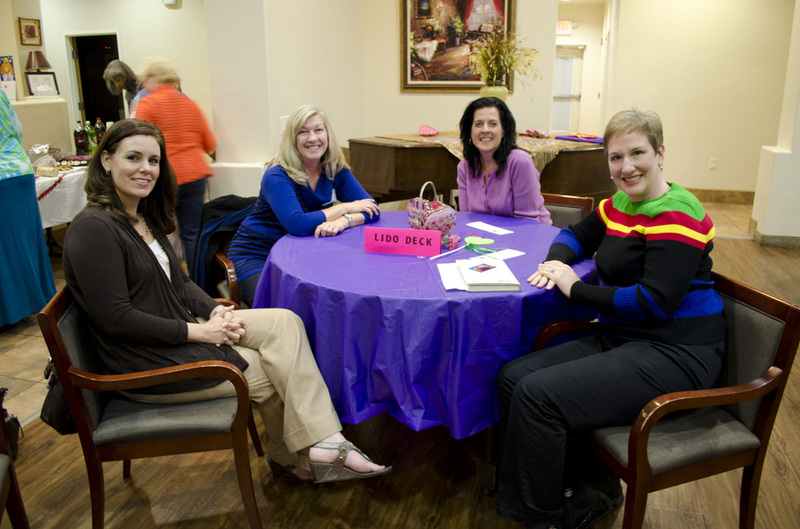 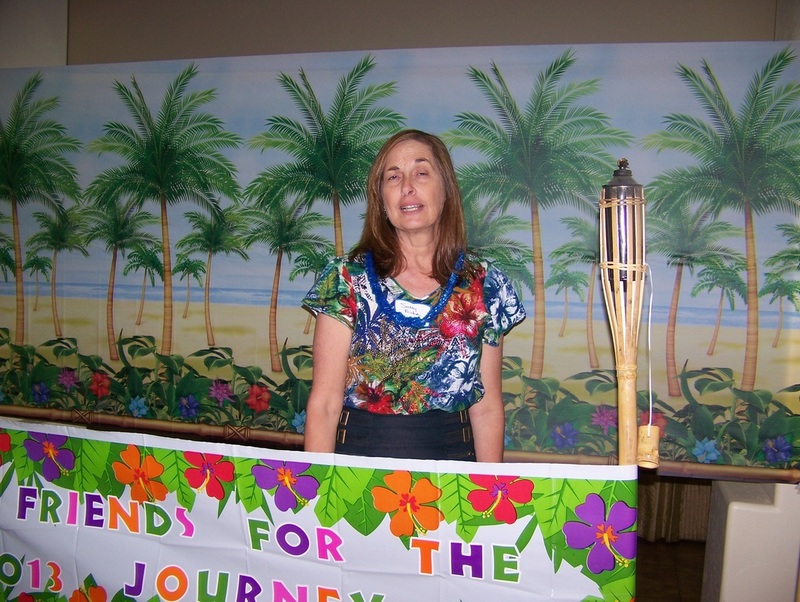 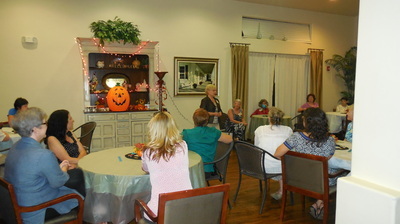 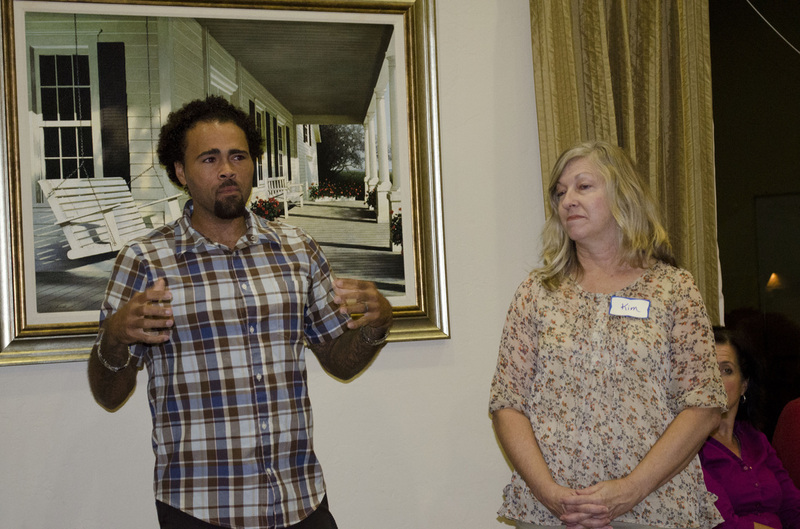 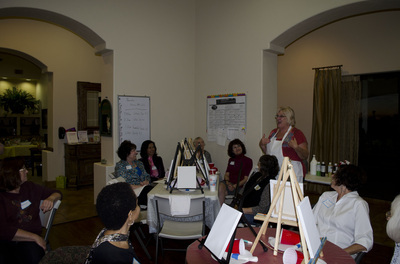 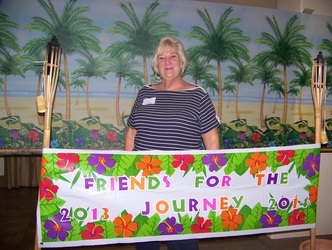 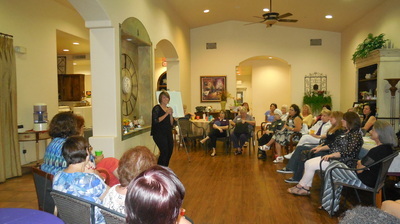 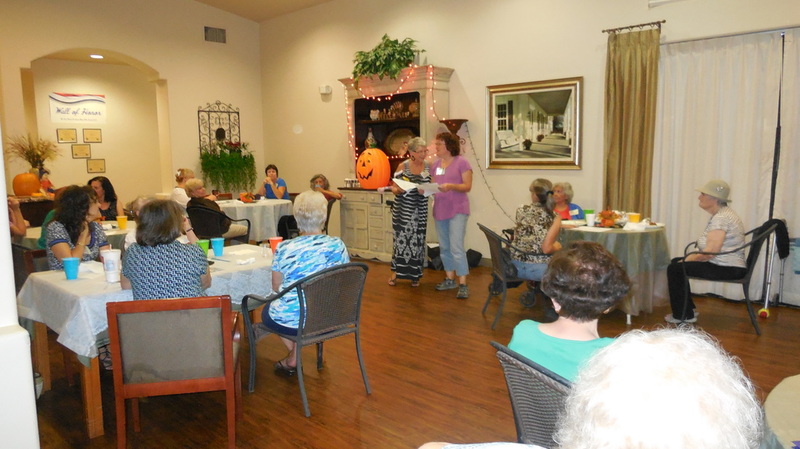 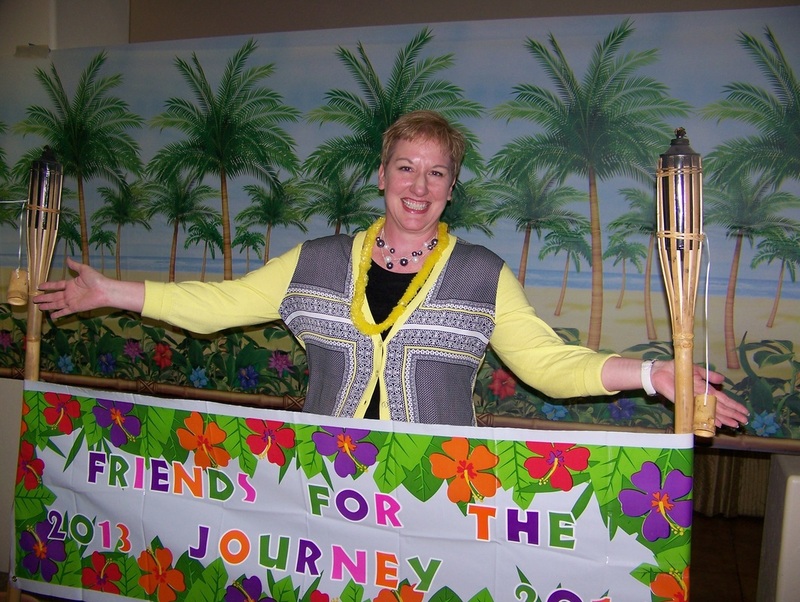 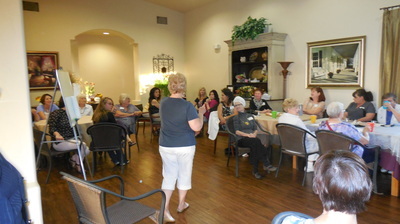 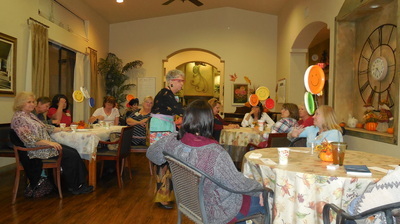 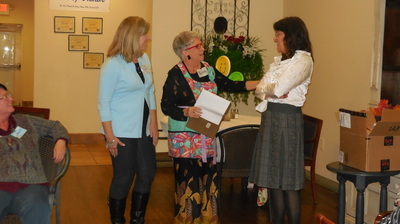 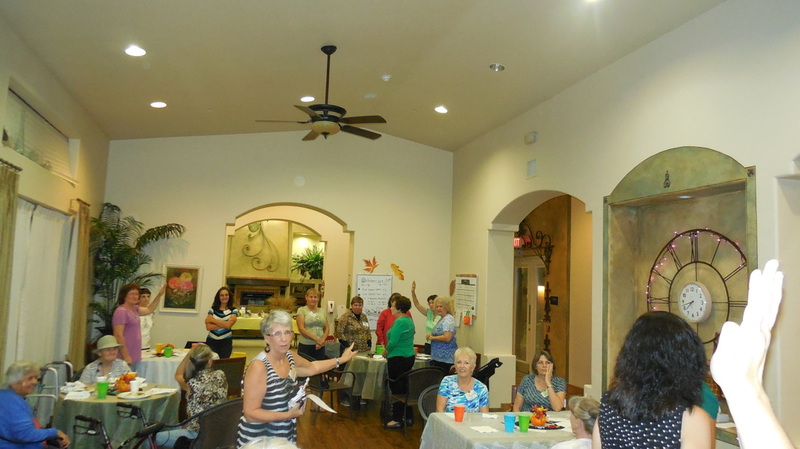 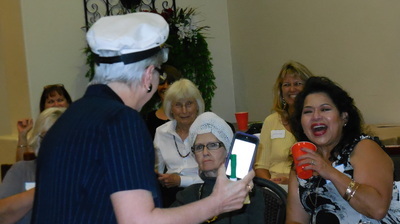 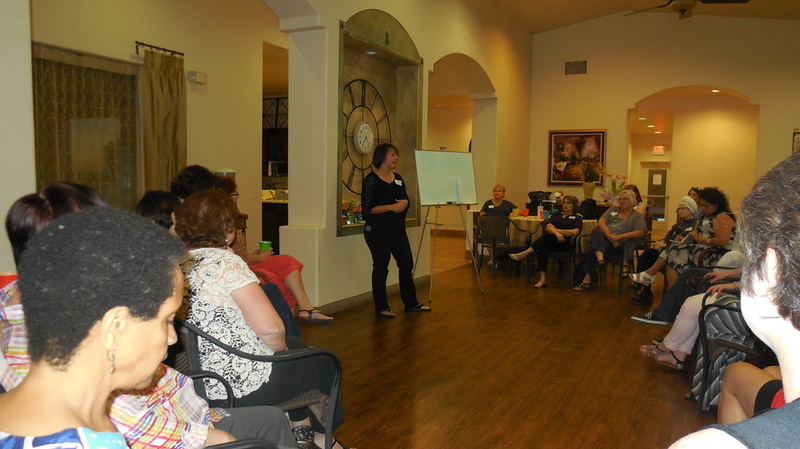 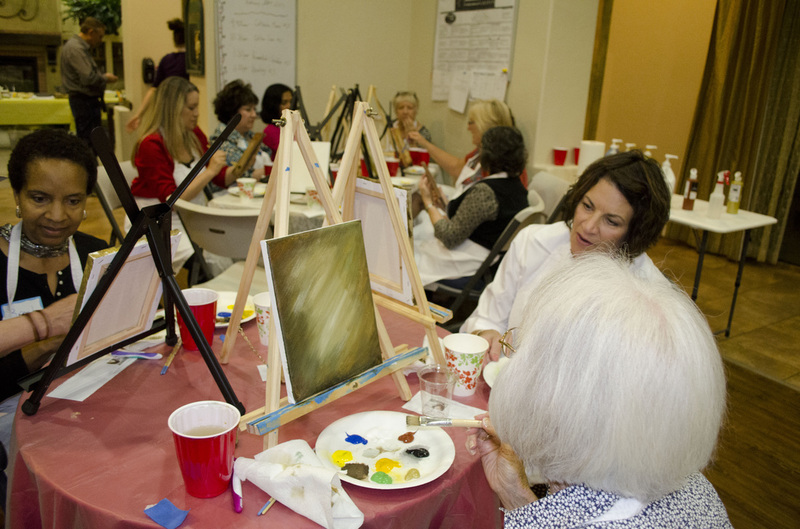 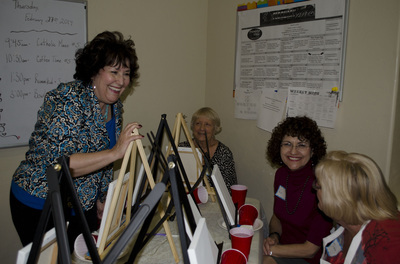 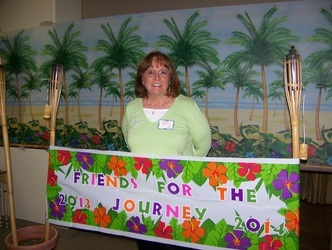 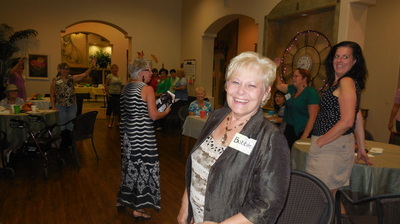 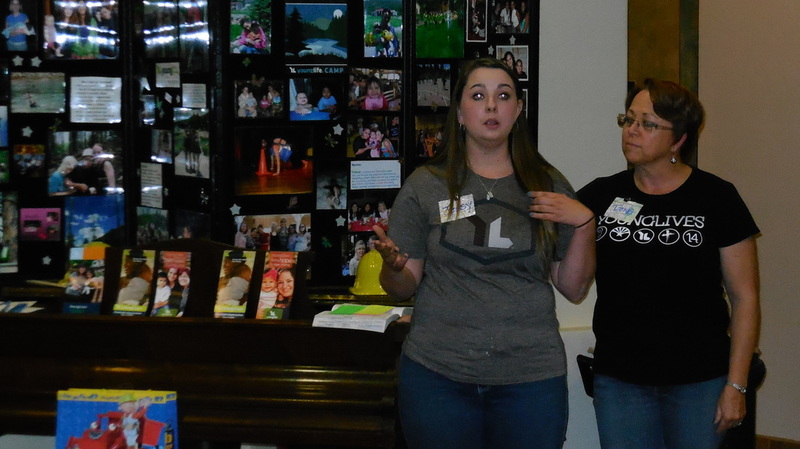 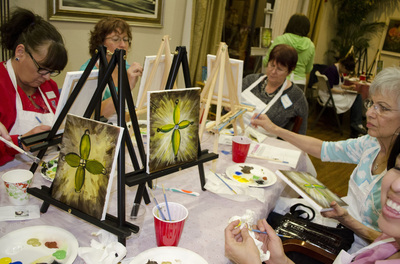 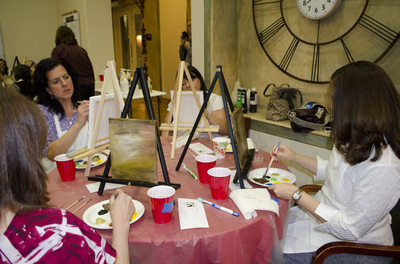 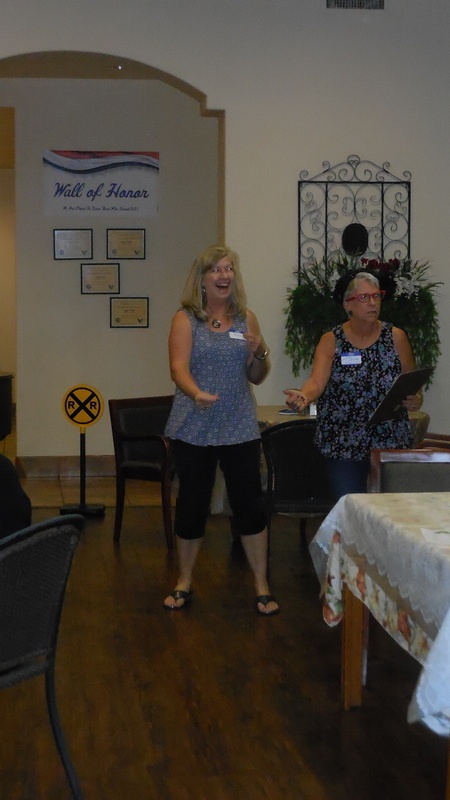 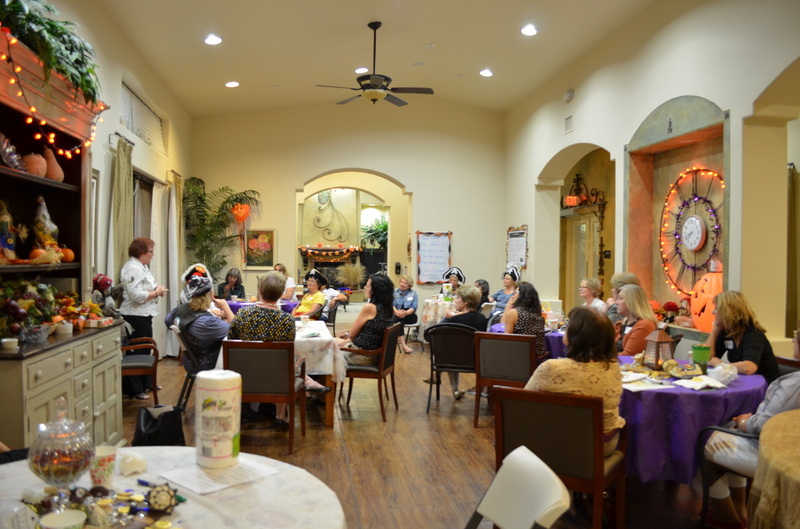 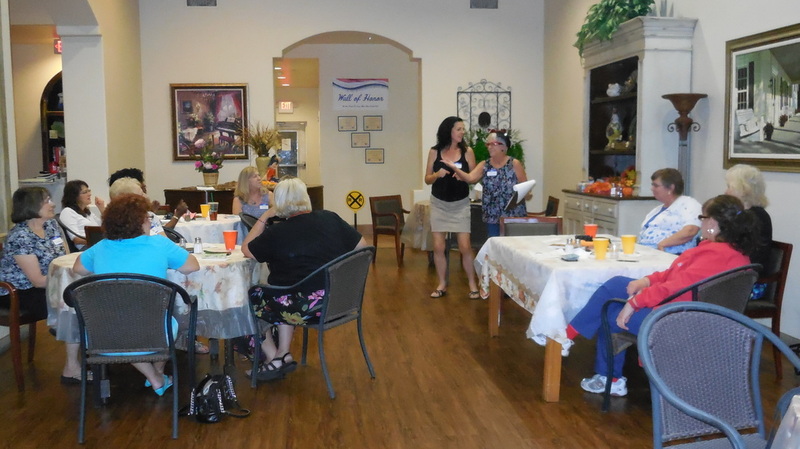 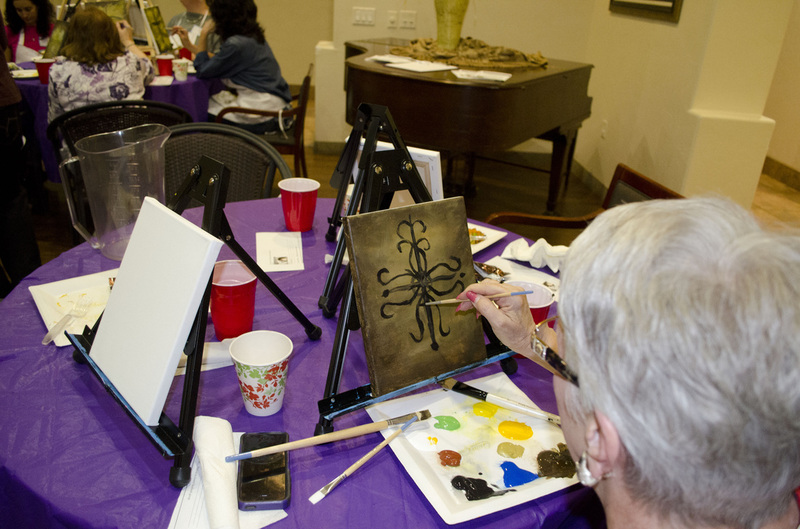 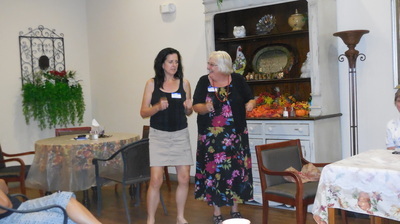 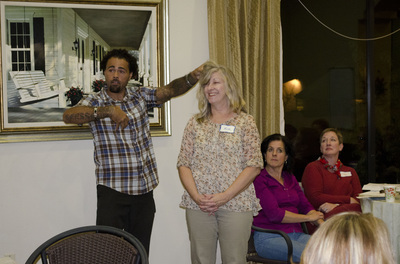 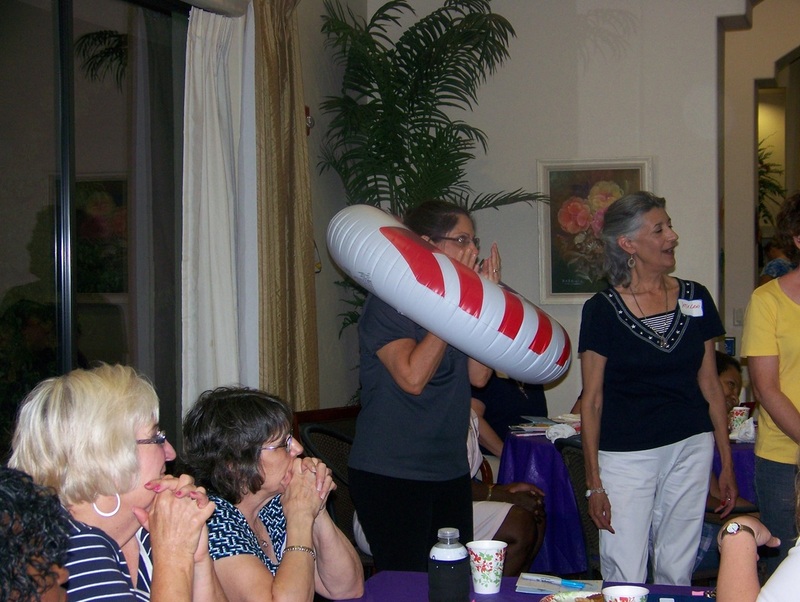 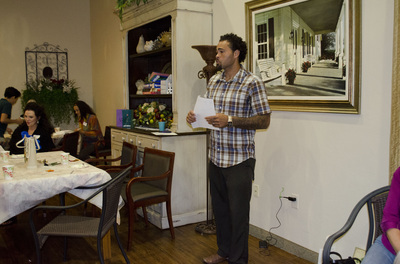 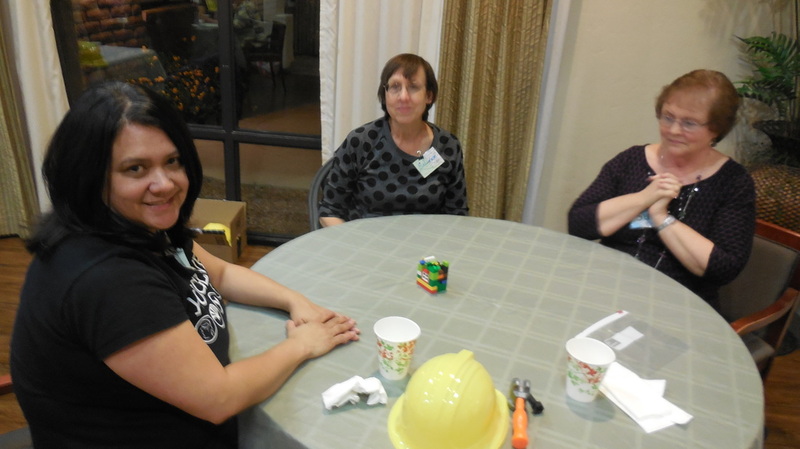 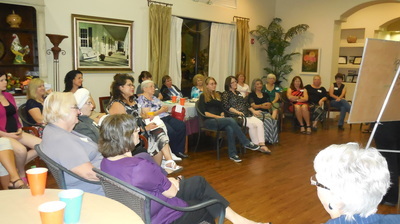 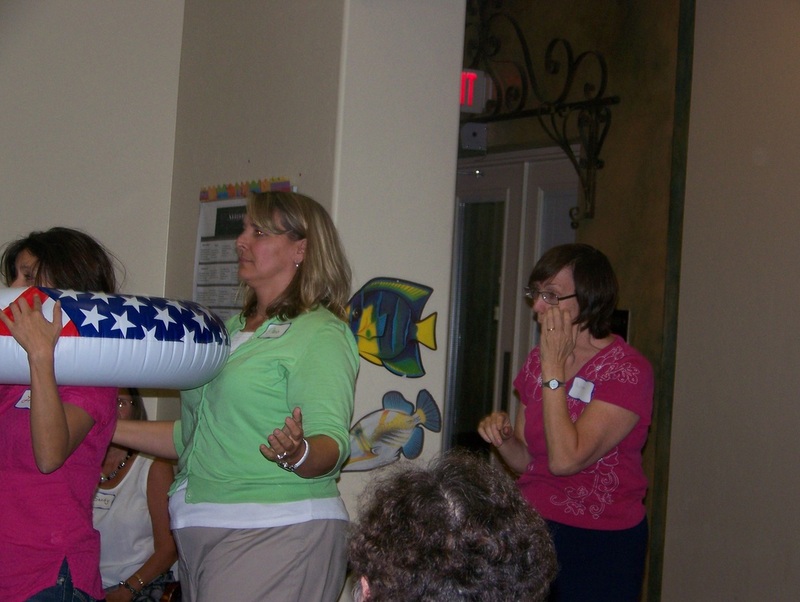 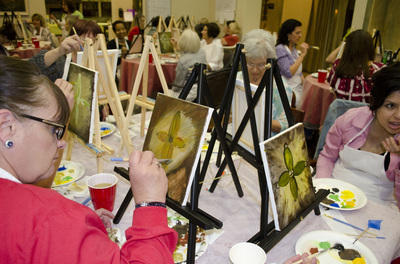 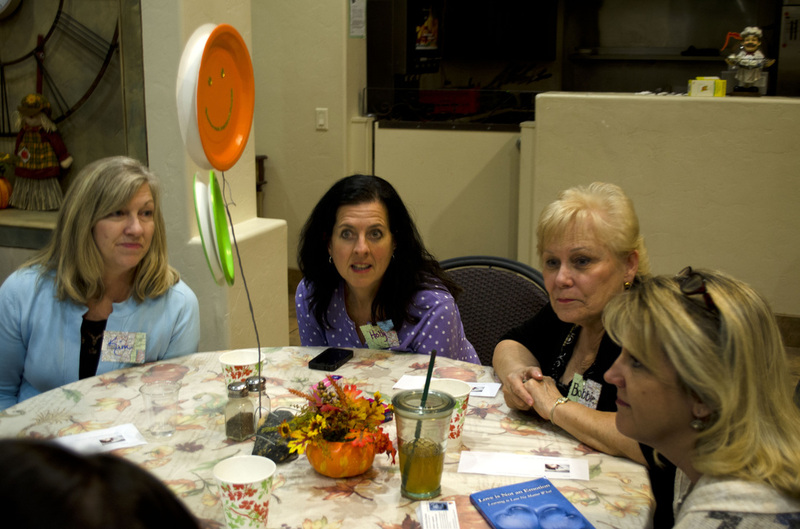 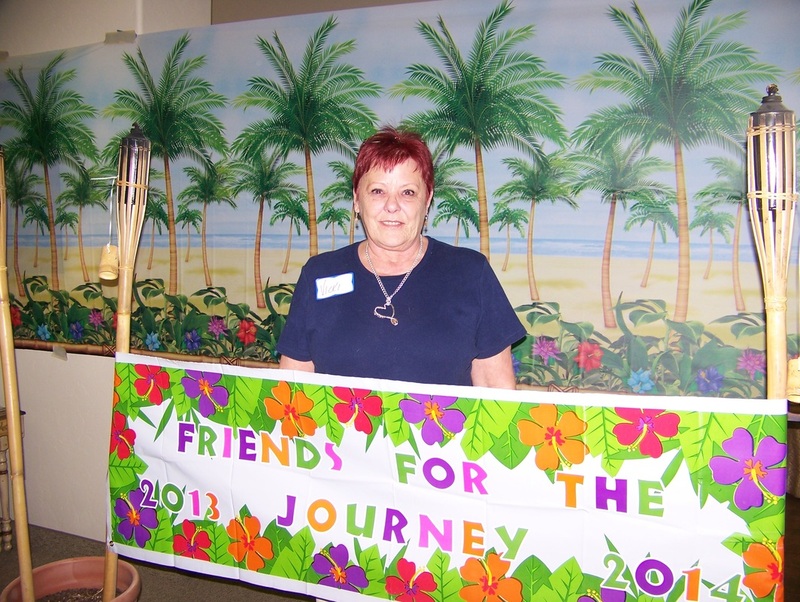 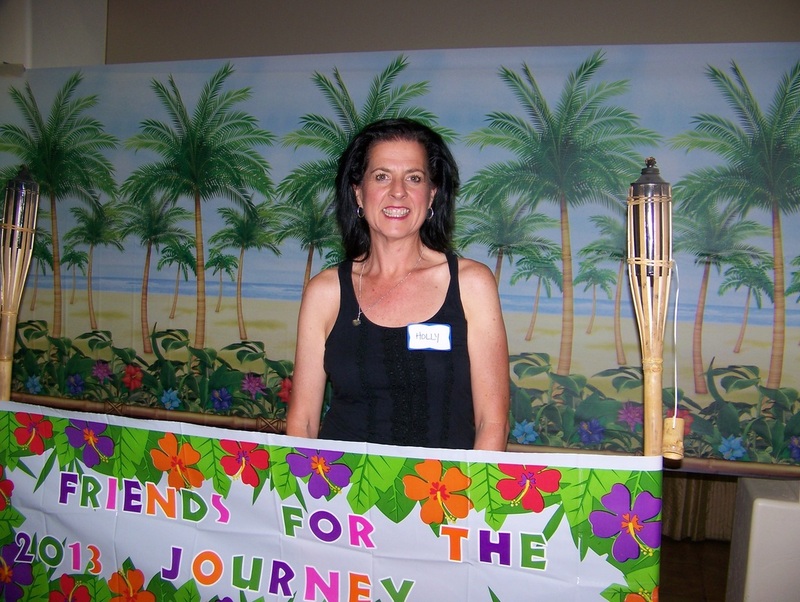 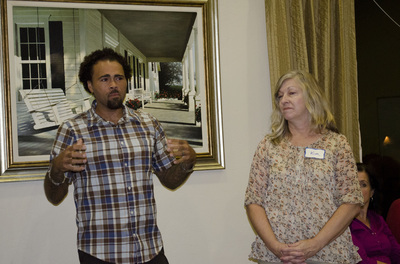 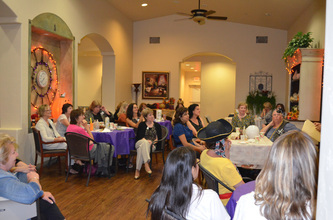 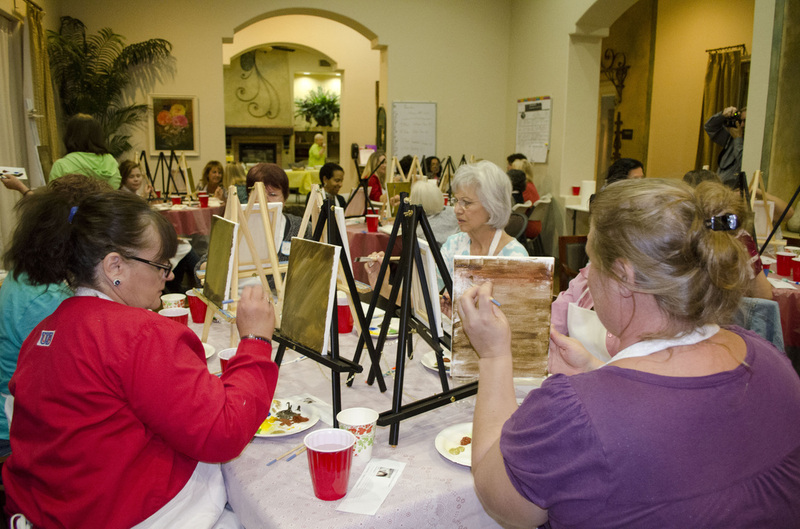 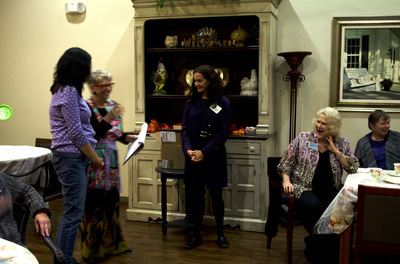 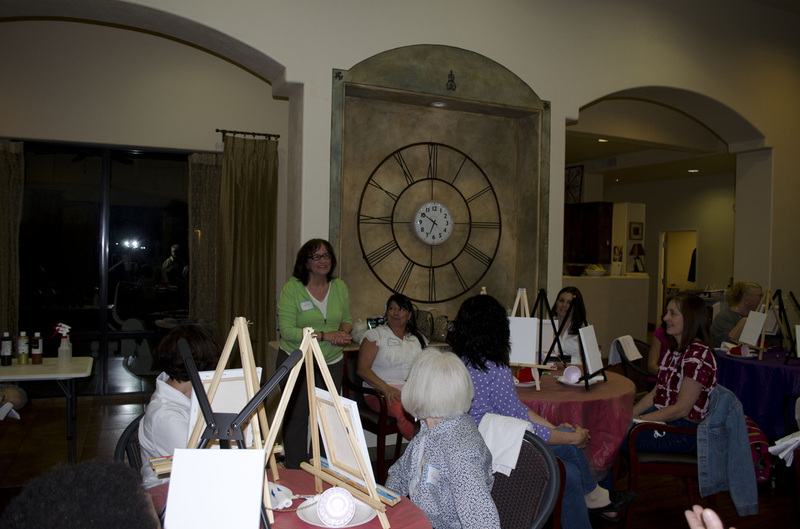 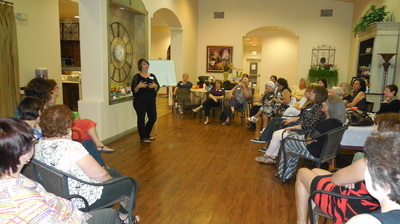 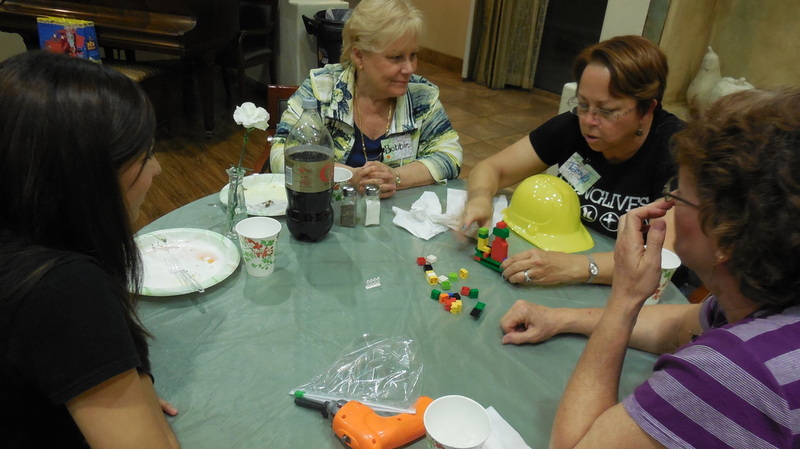 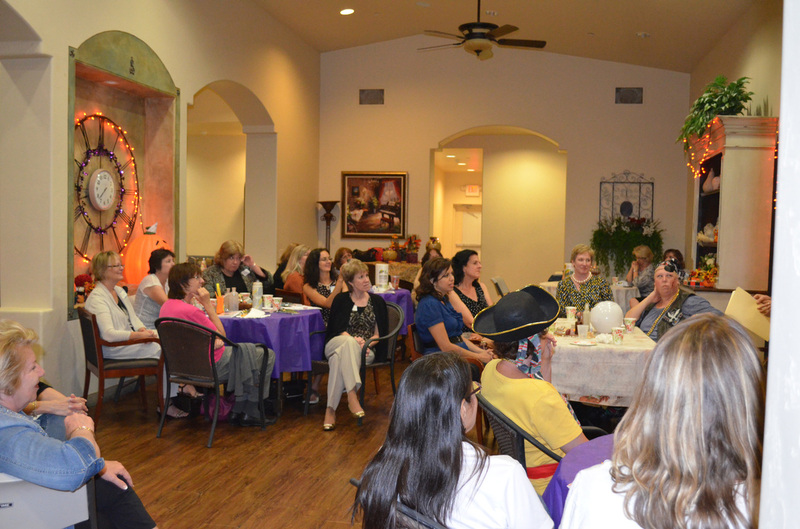 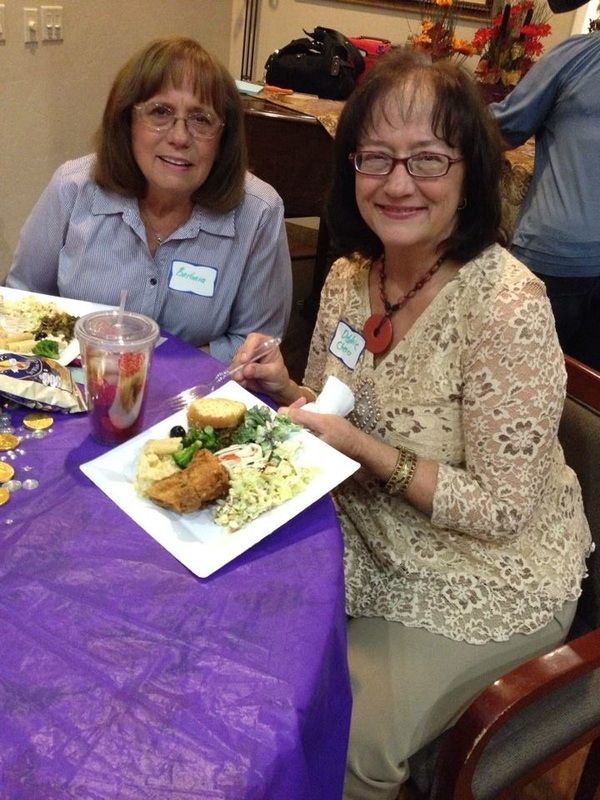 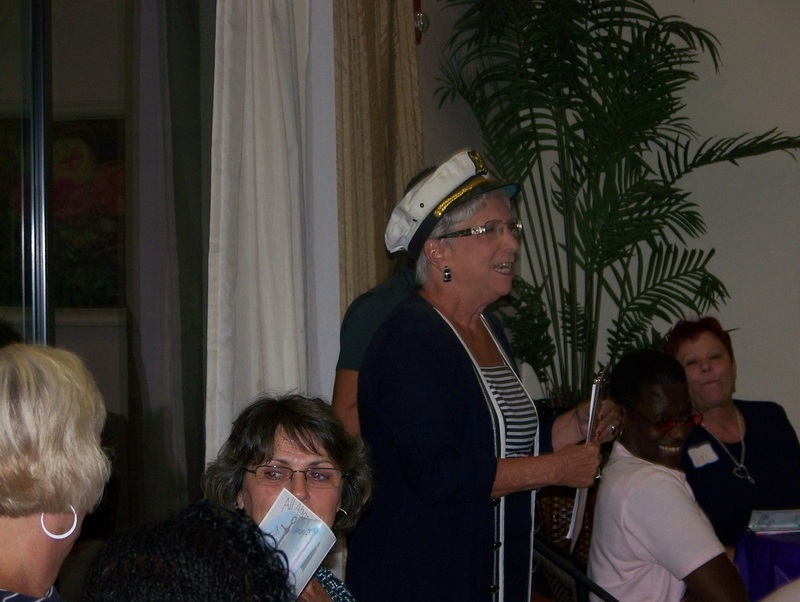 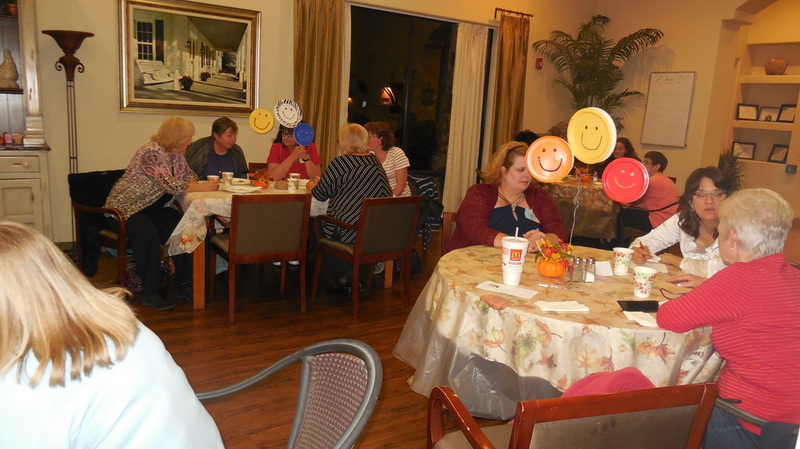 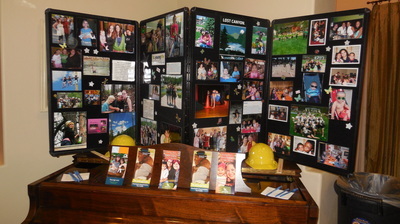 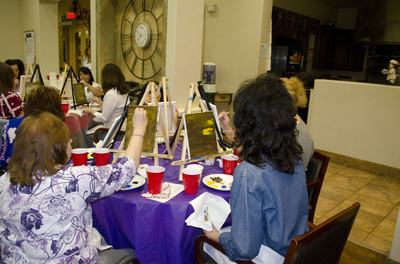 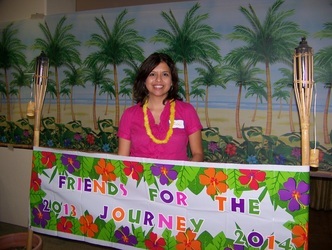 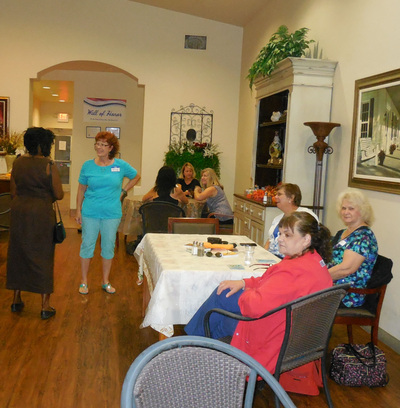 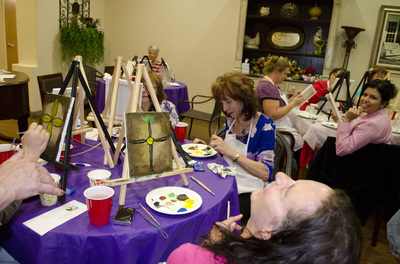 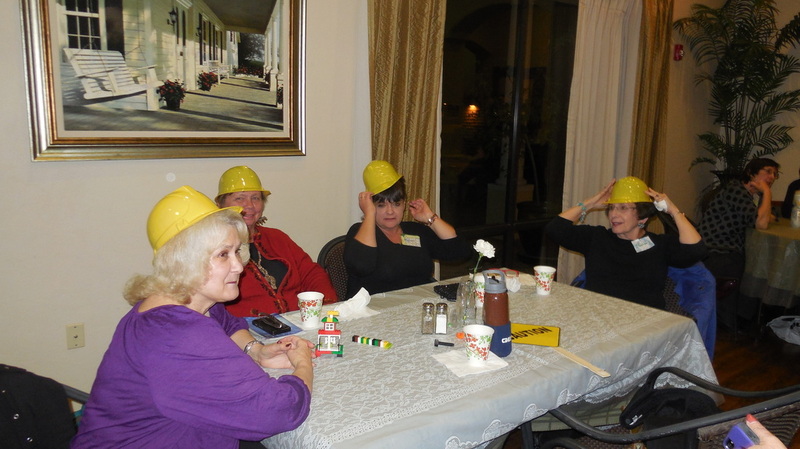 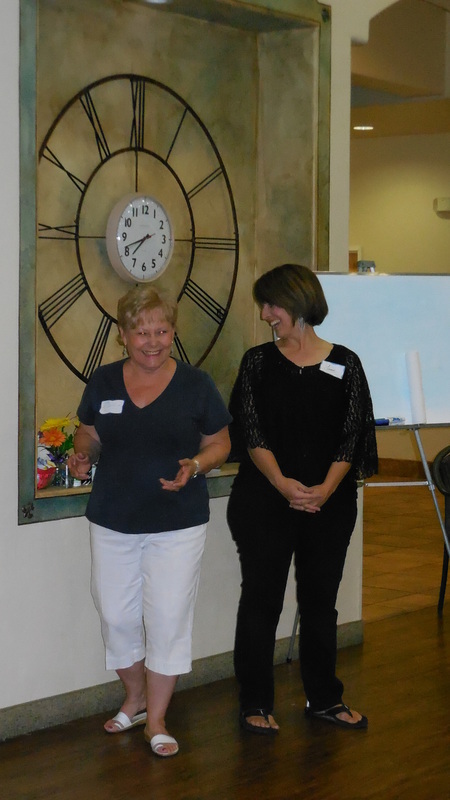 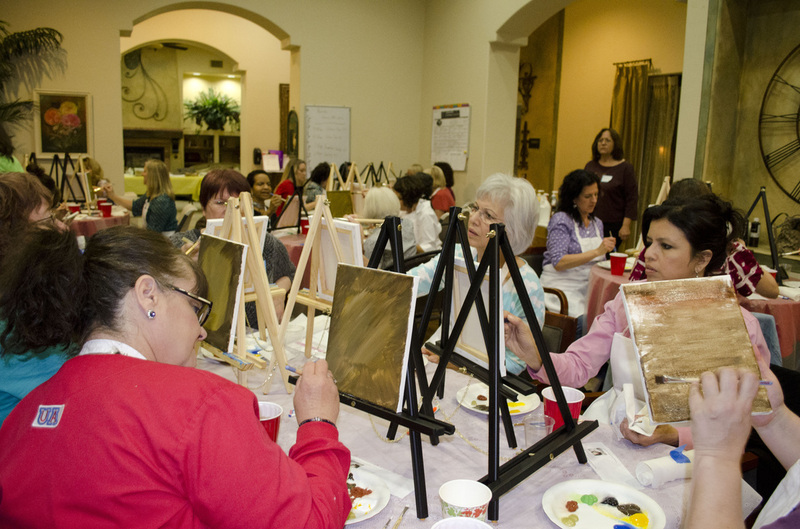 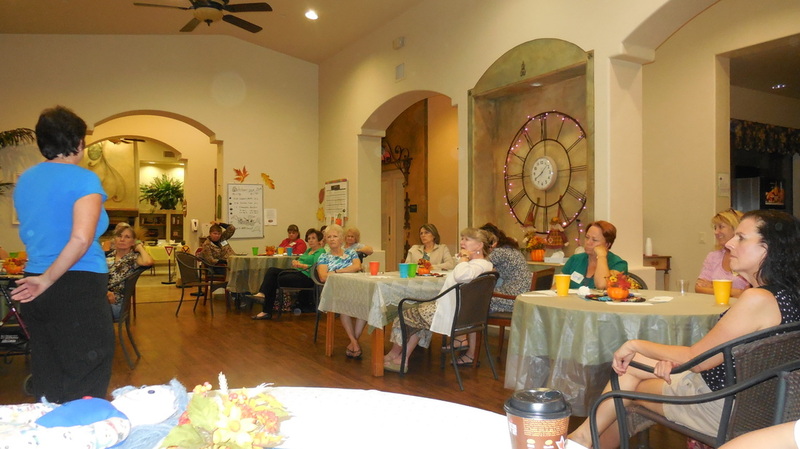 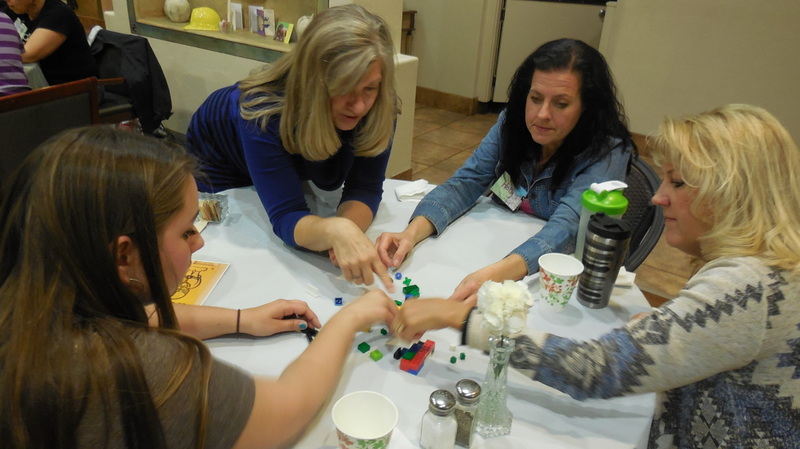 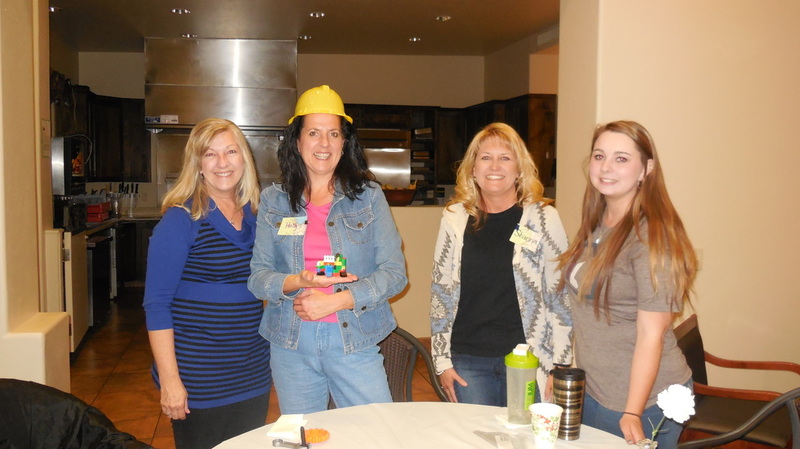 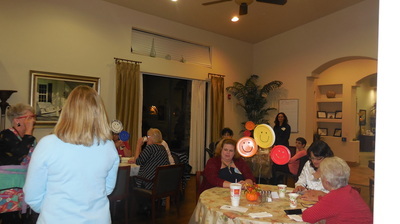 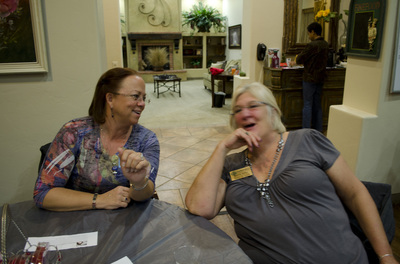 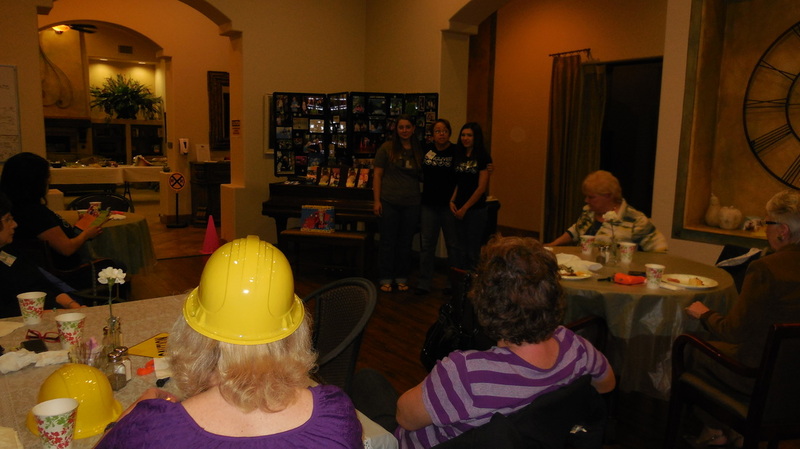 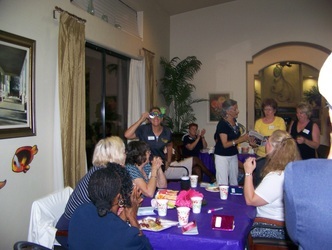 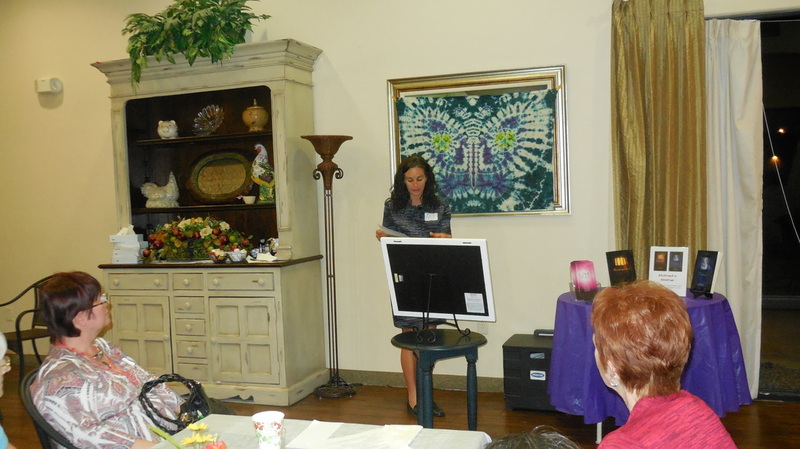 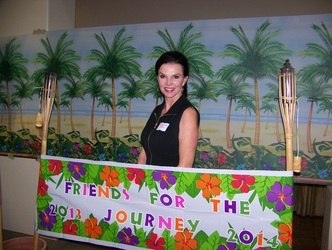 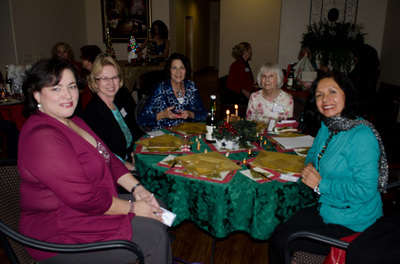 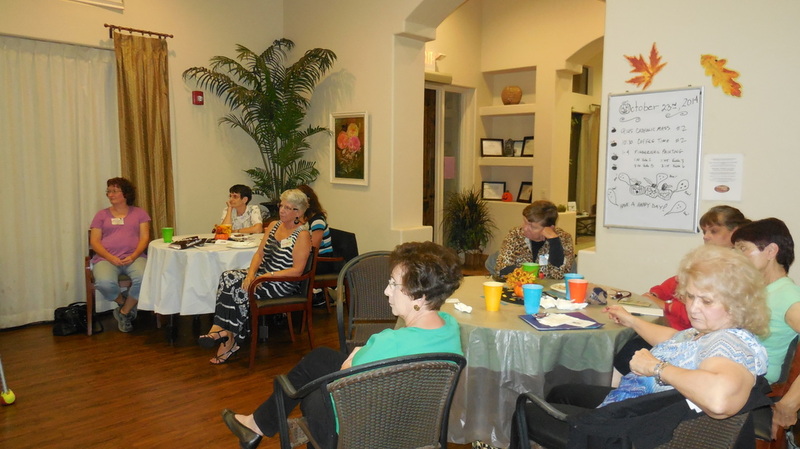 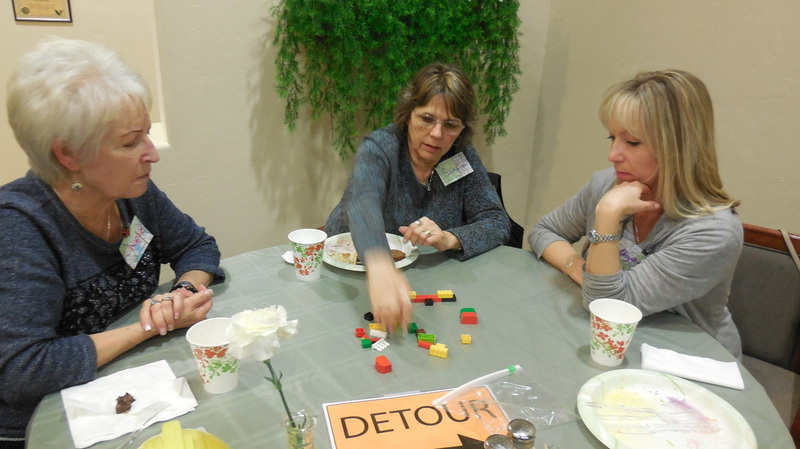 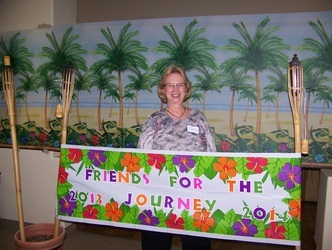 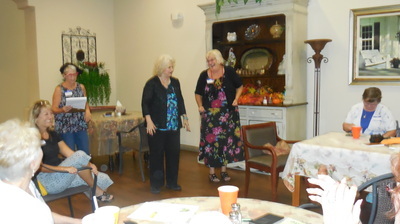 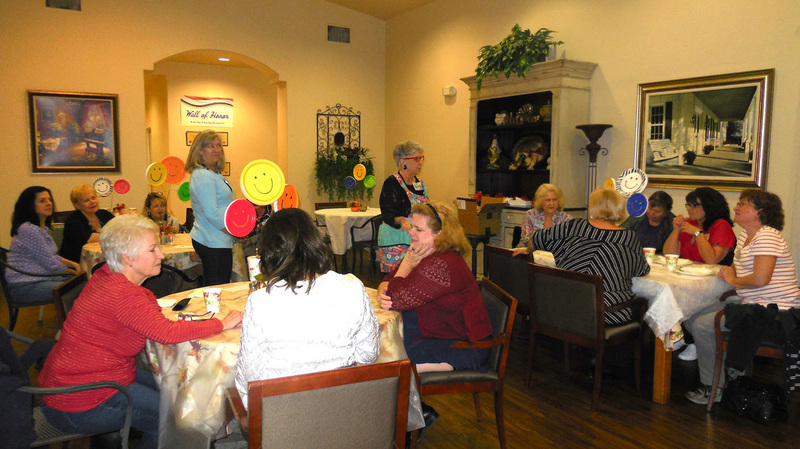 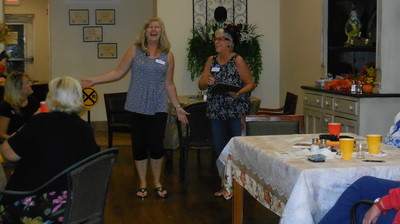 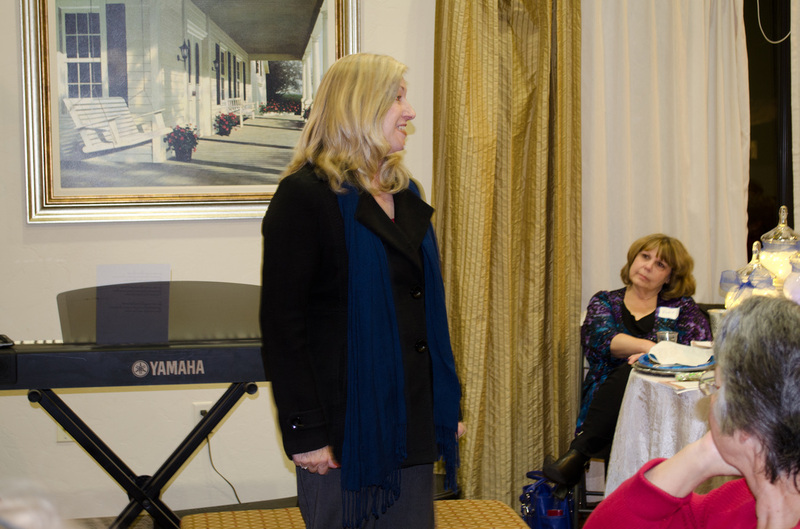 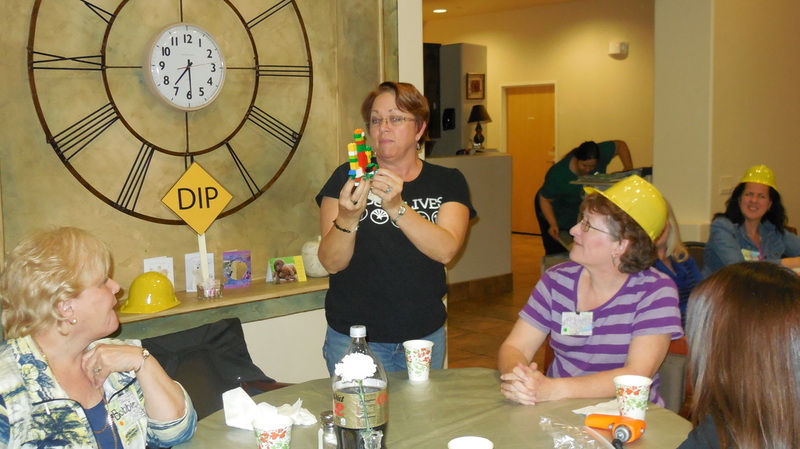 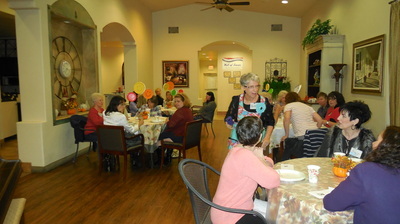 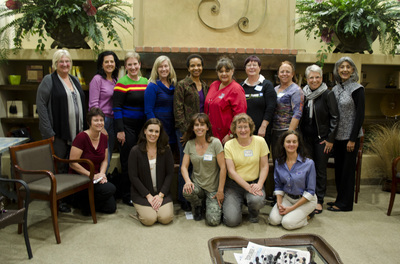 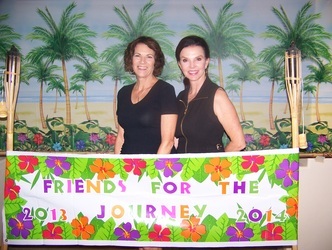 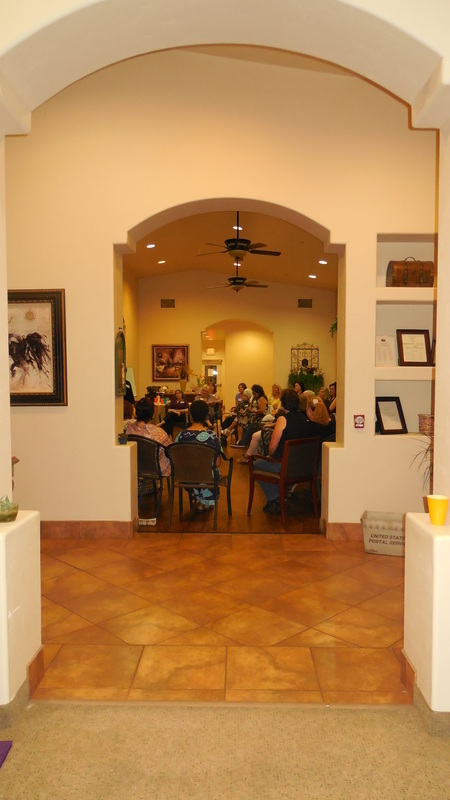 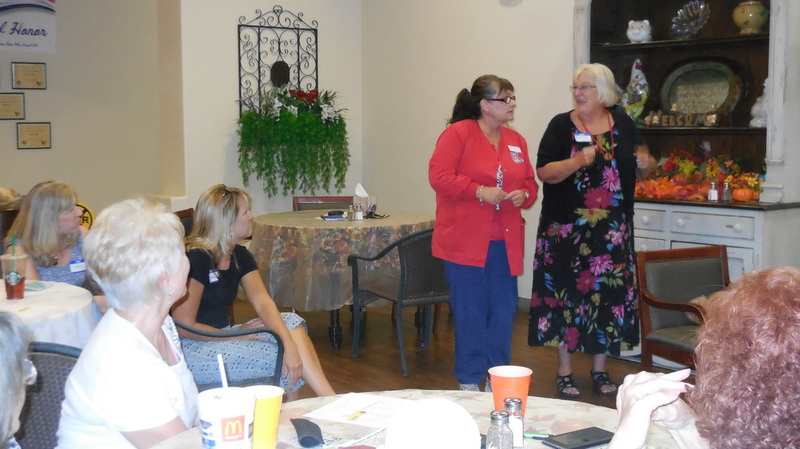 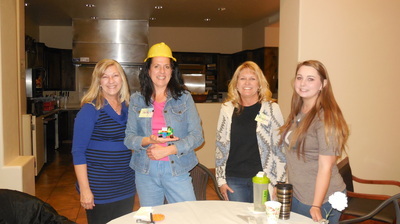 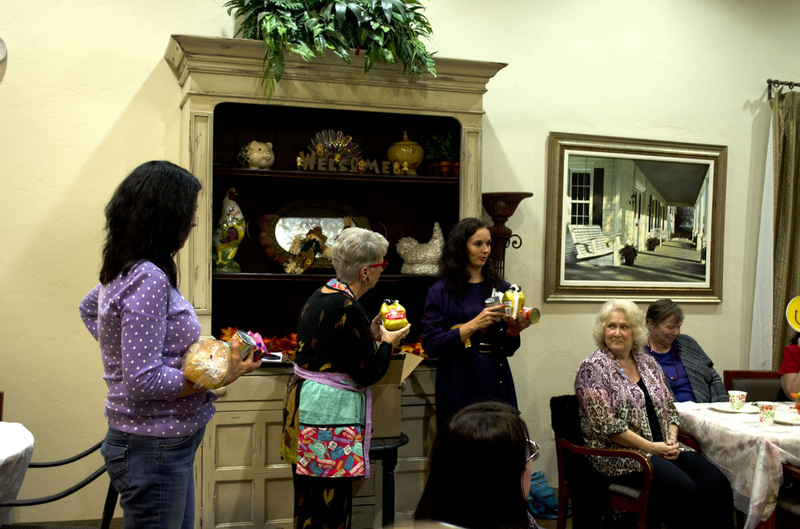 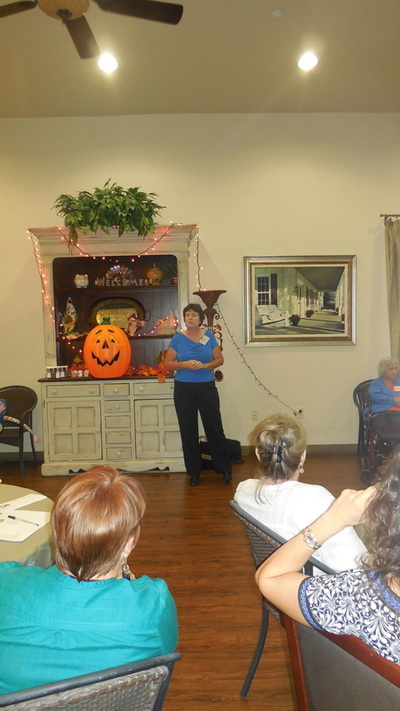 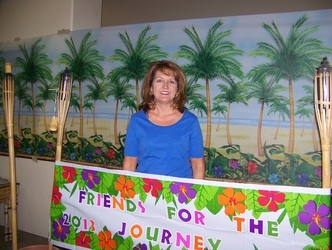 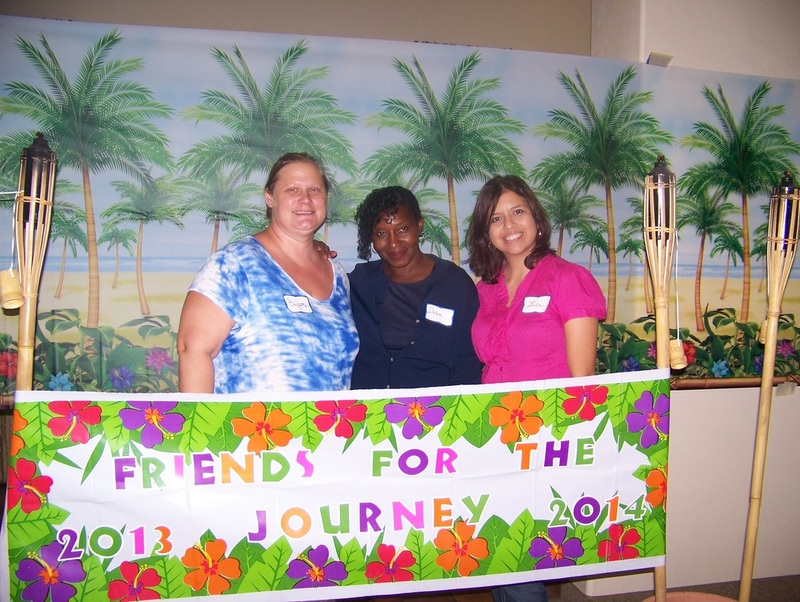 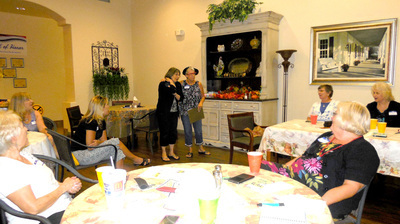 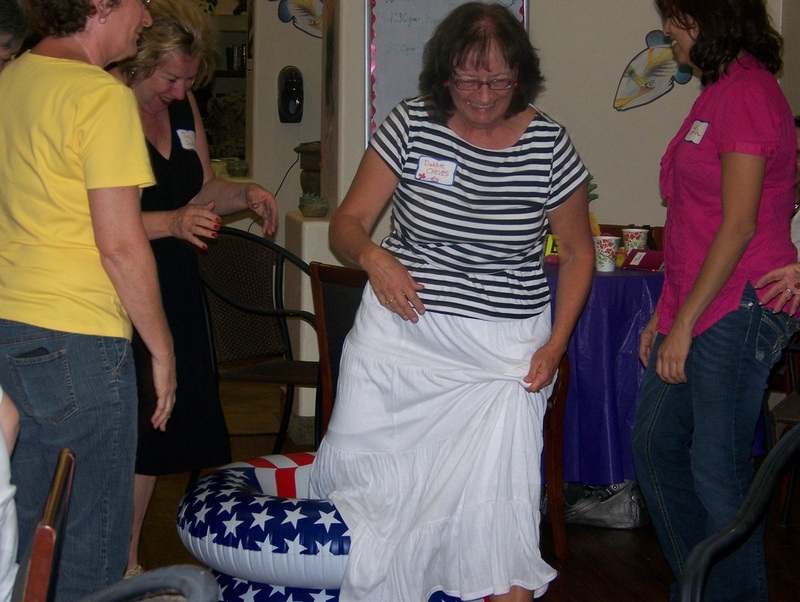 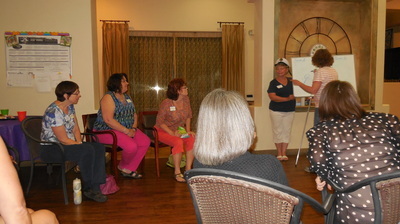 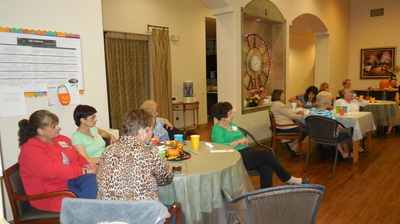 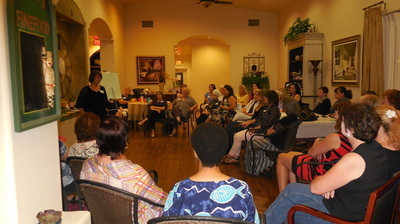 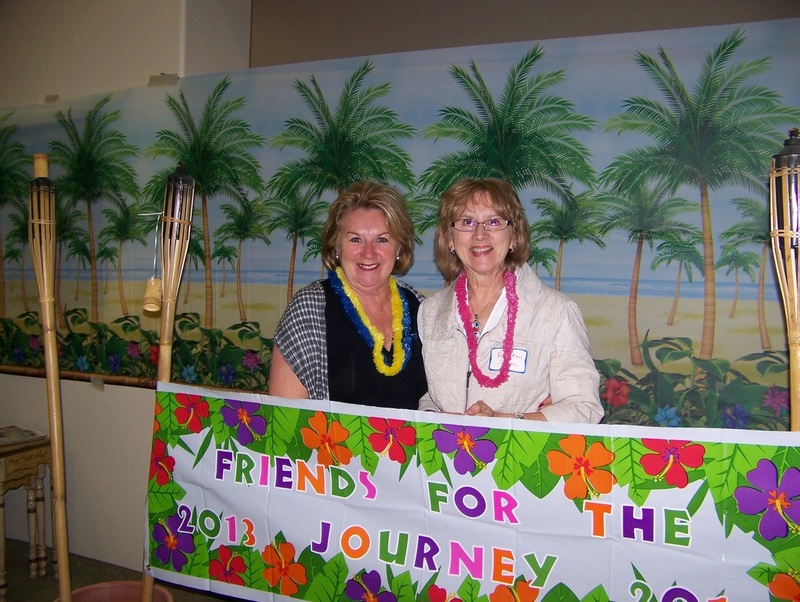 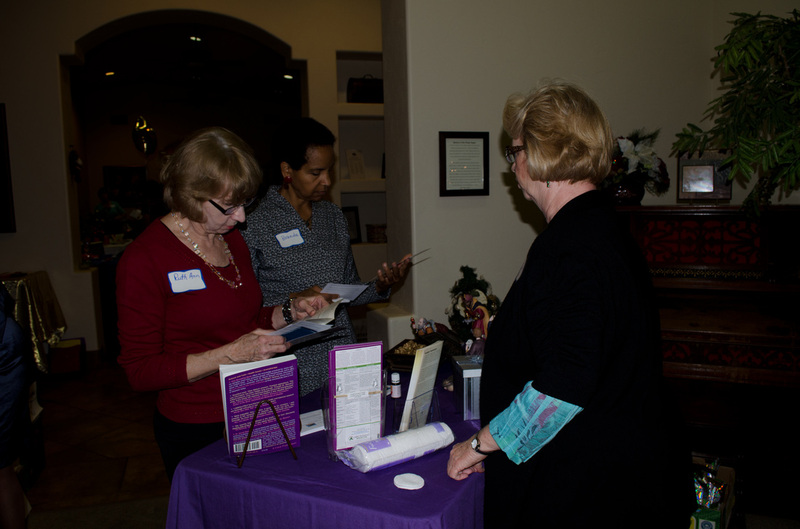 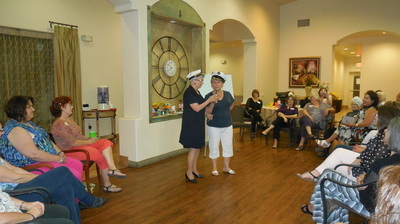 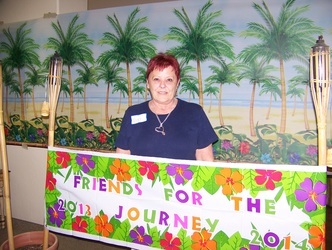 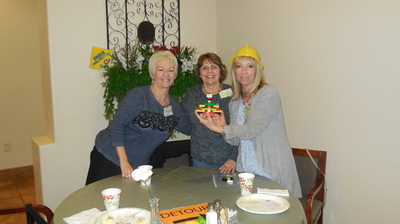 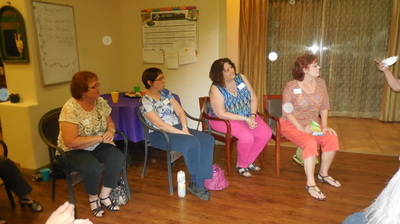 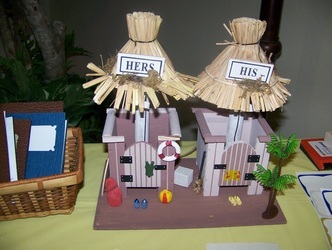 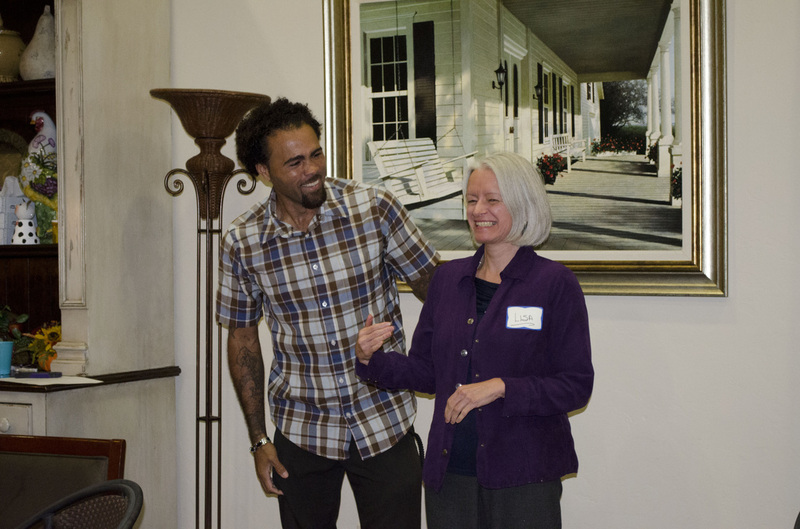 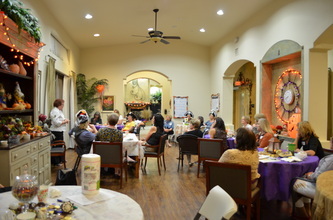 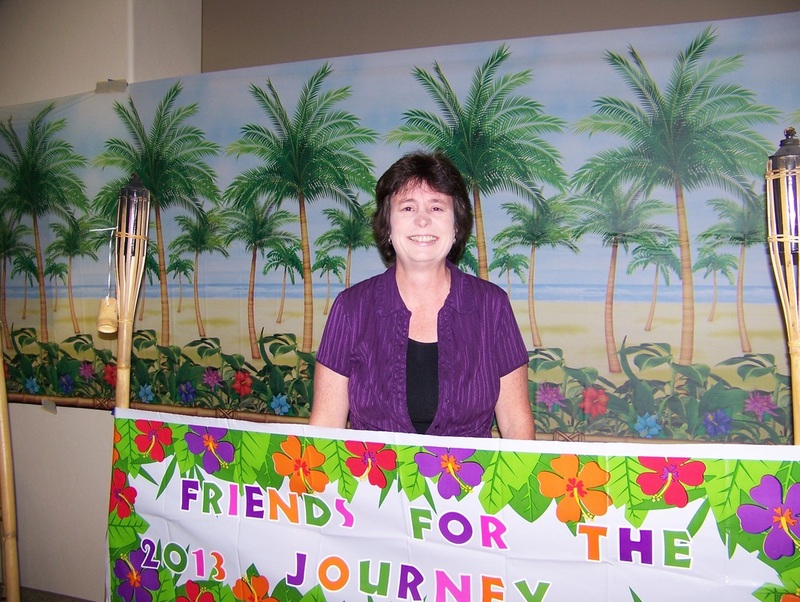 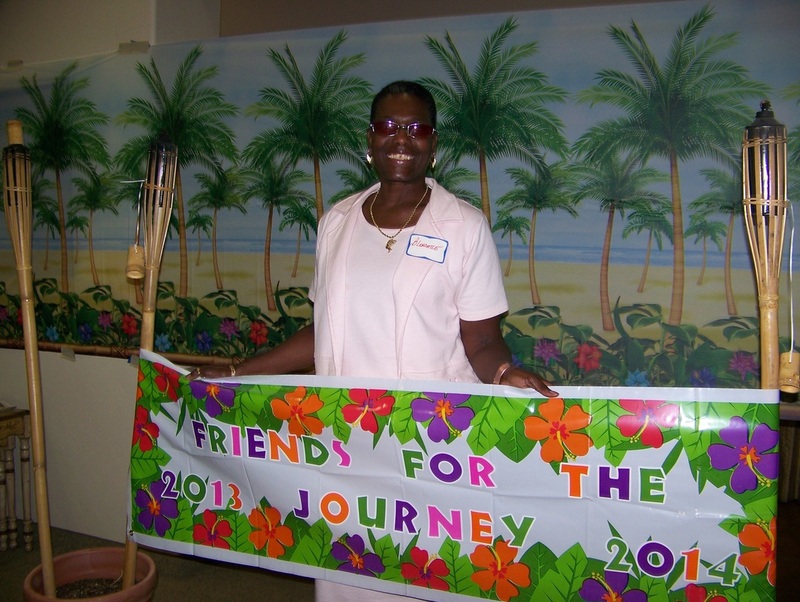 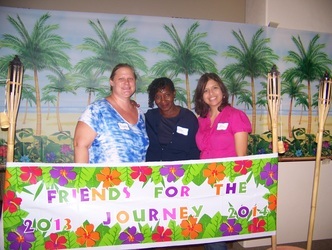 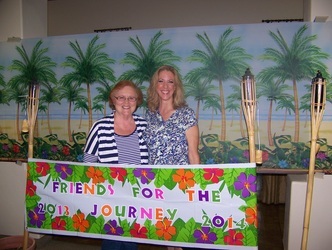 Every month Friends for the Journey hosts an evening of fun and inspiration. 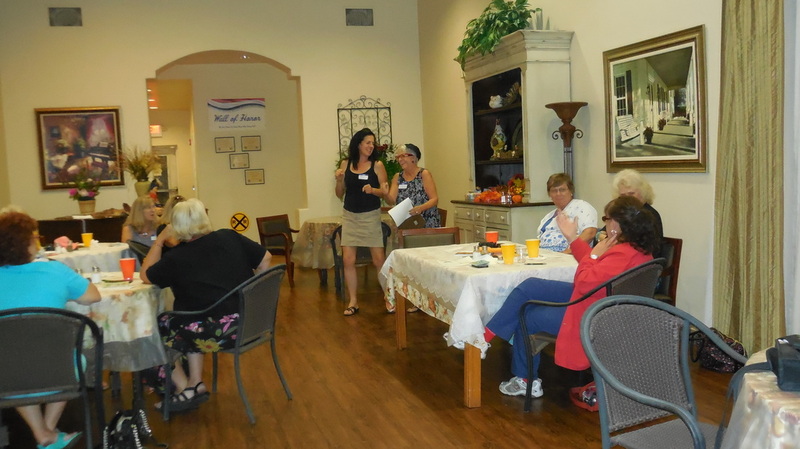 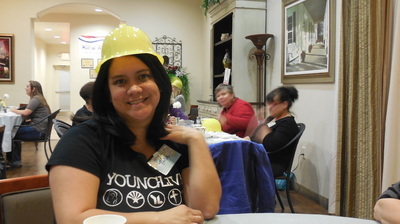 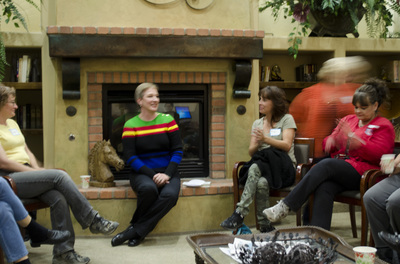 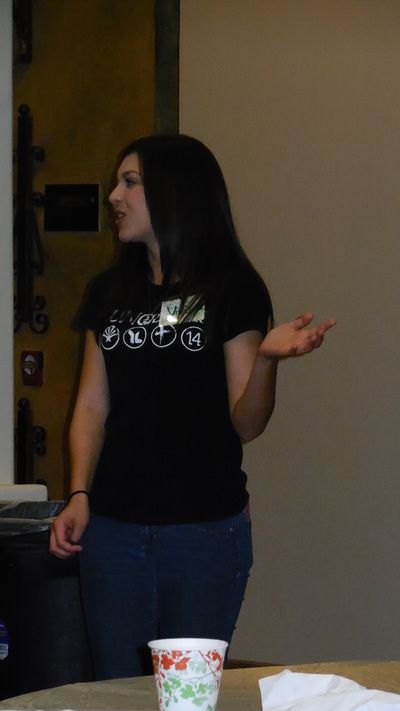 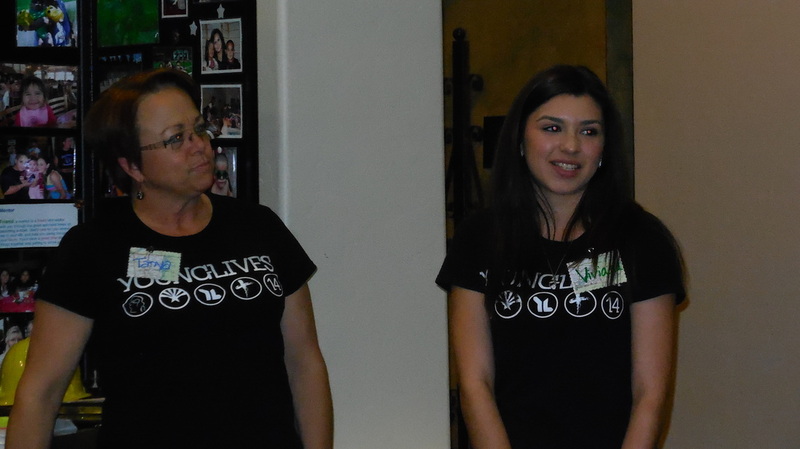 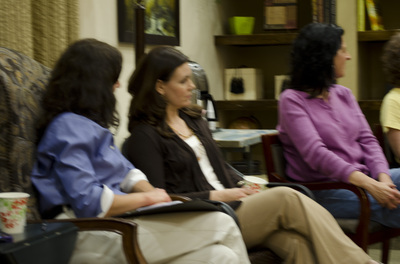 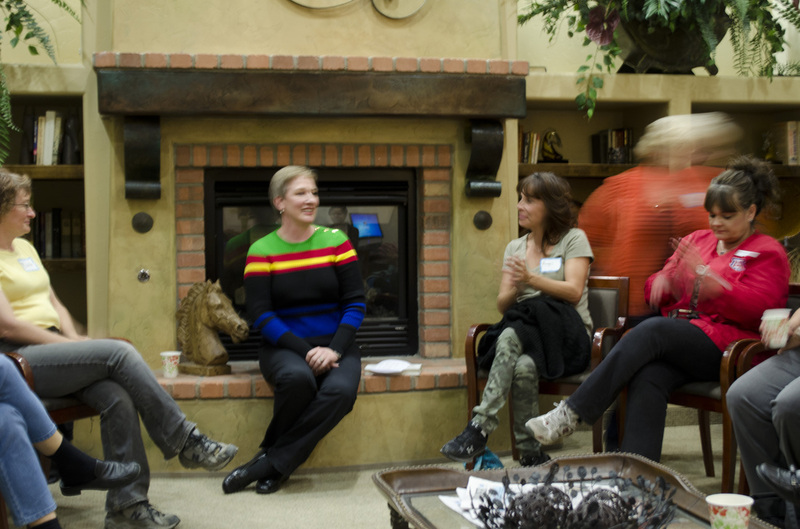 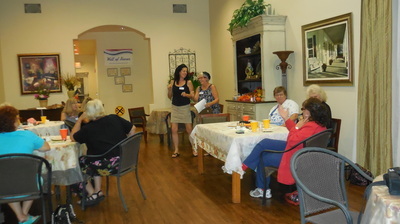 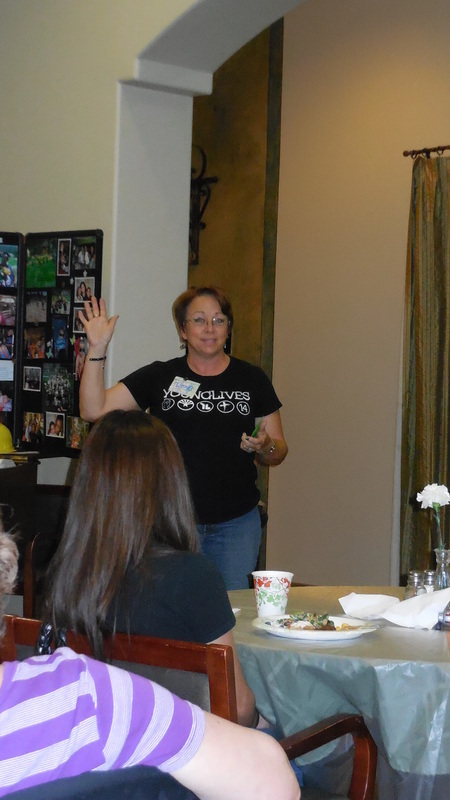 If you live in Tucson and missed this meeting, check out our calendar for our next event. 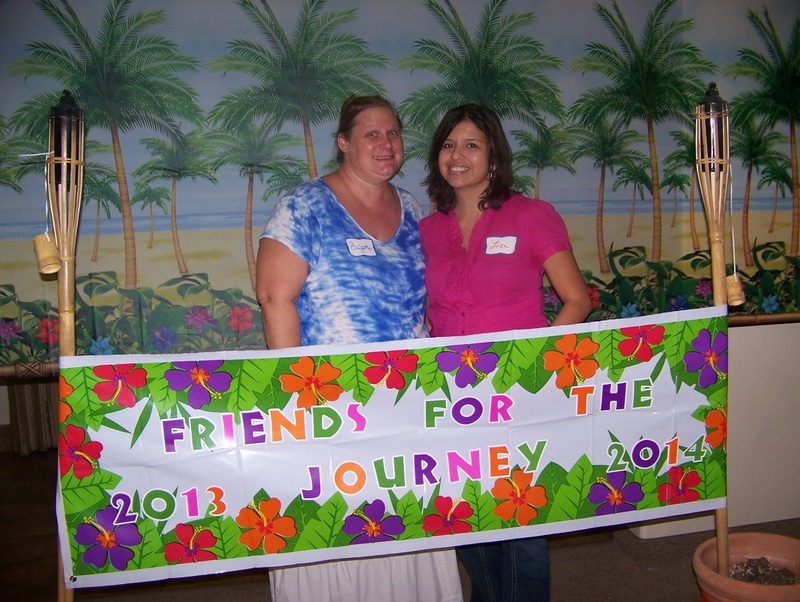 Bring a friend and come join the fun as we strengthen our relationships with each other and God. 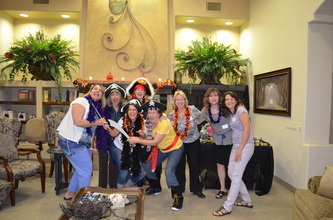 Photos from 03/27/14 - "Overboard!" 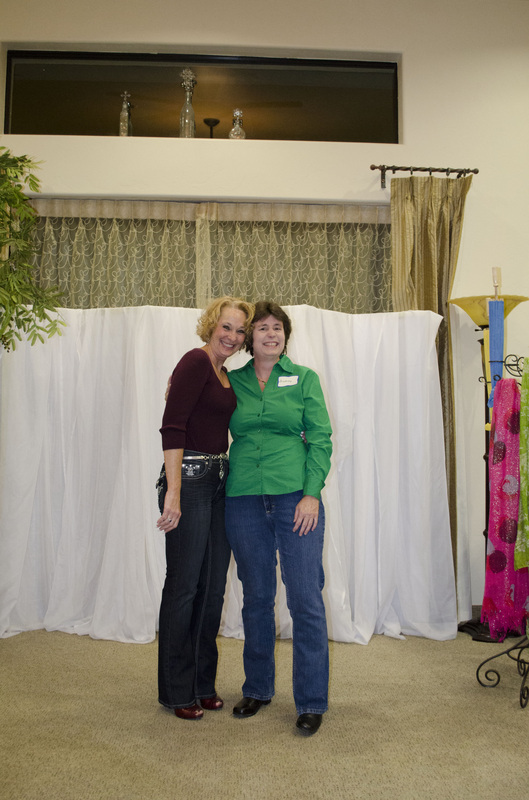 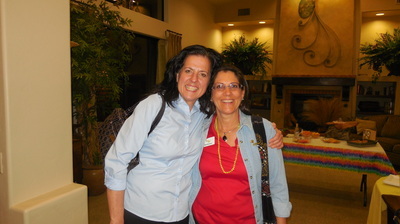 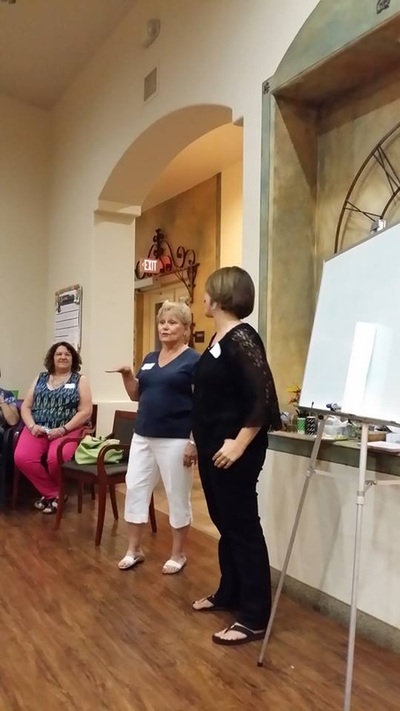 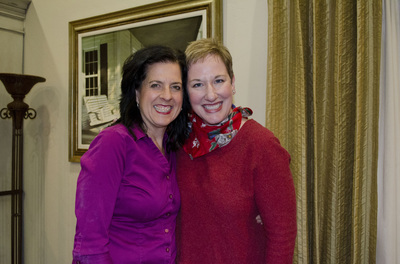 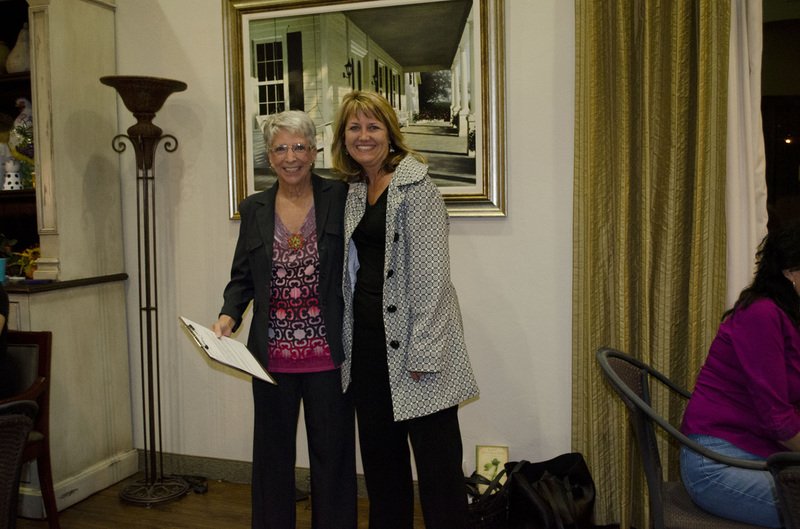 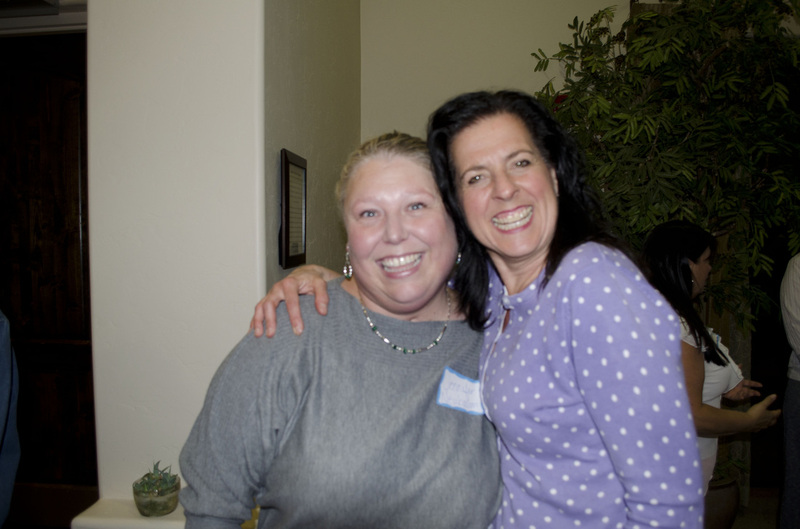 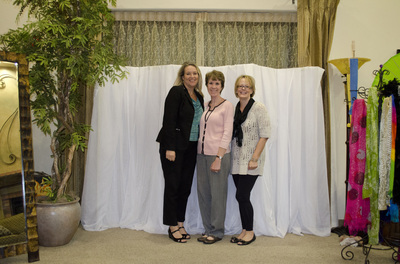 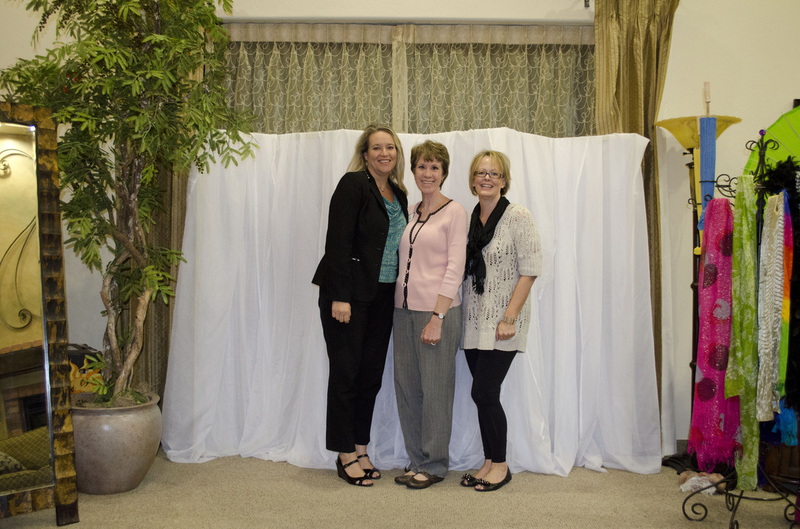 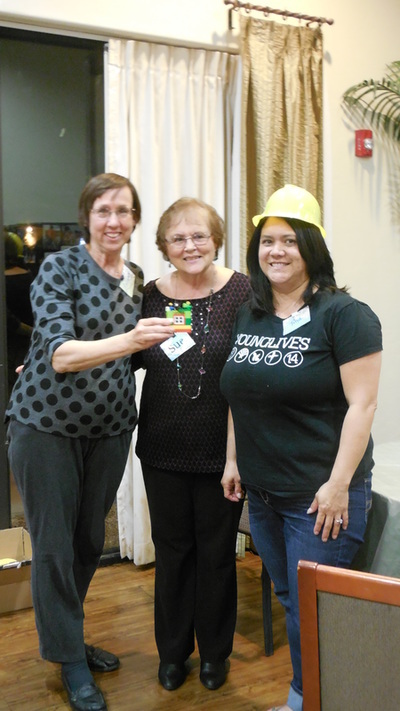 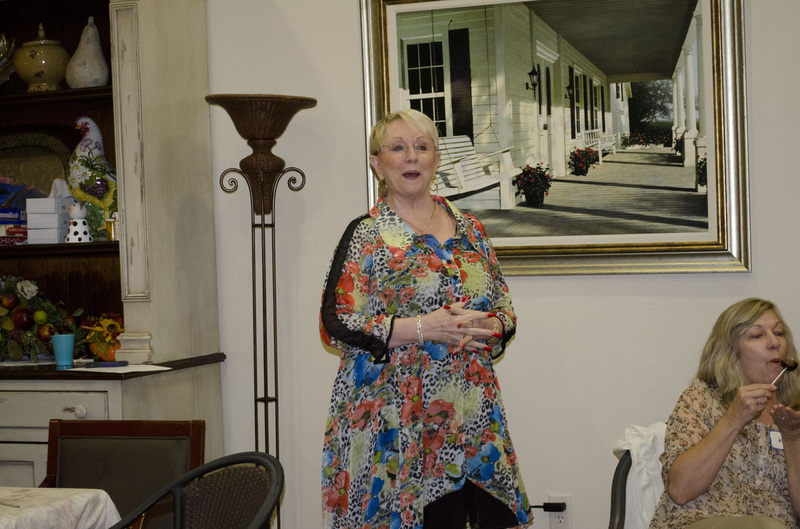 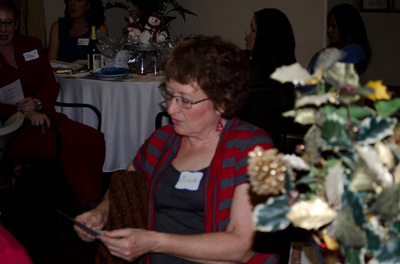 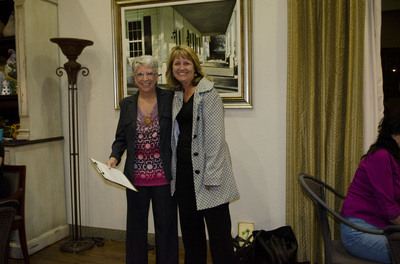 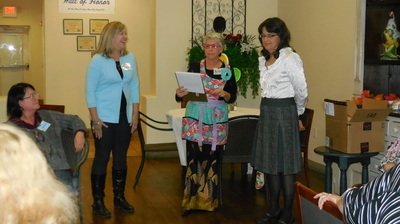 with guest speaker, Deb Waterbury. 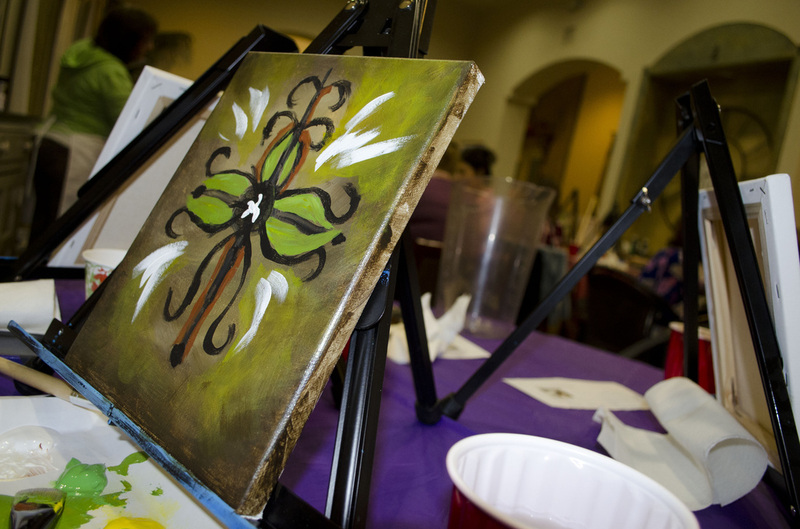 Photos from 02/27/14 - "Picasso in Me!" 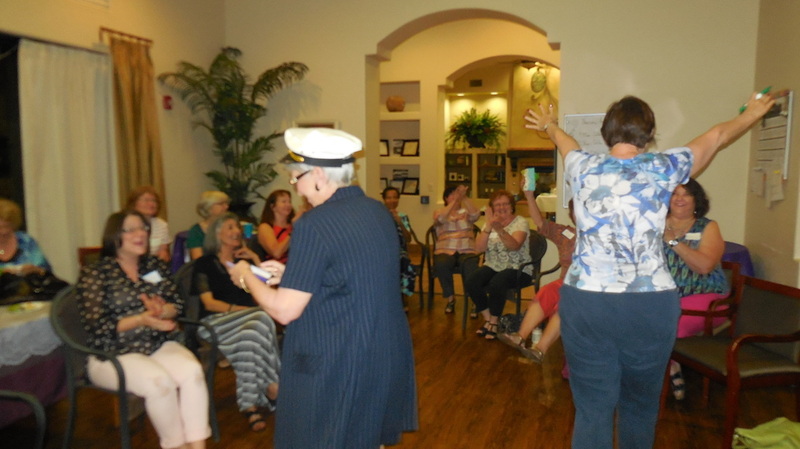 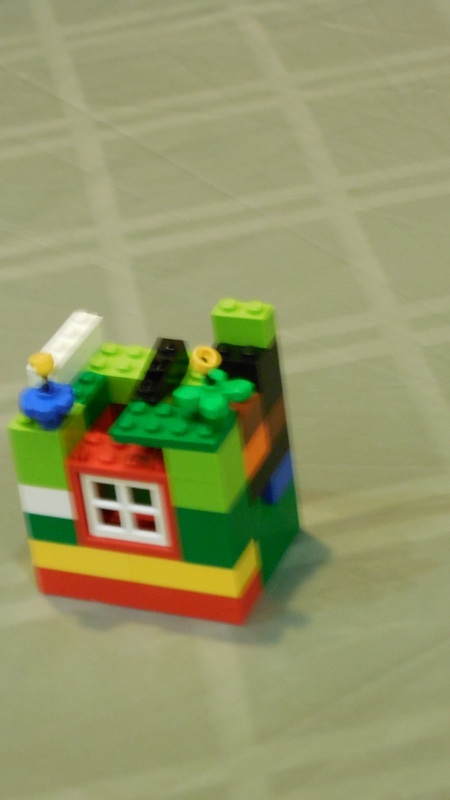 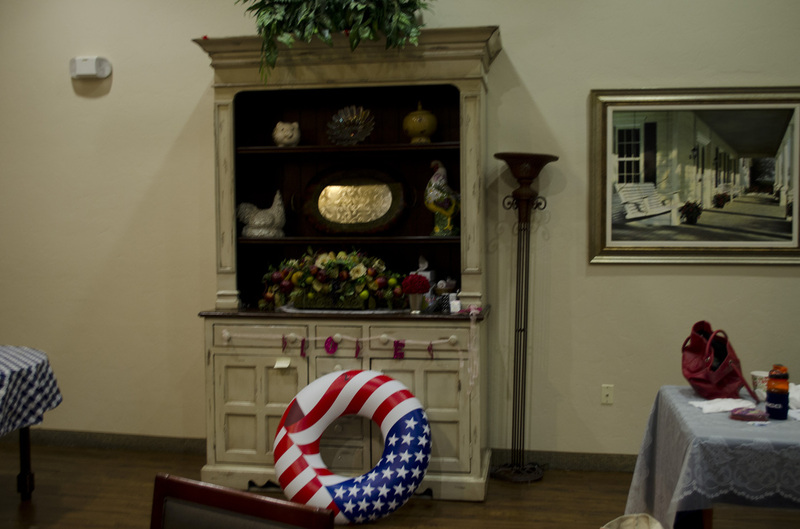 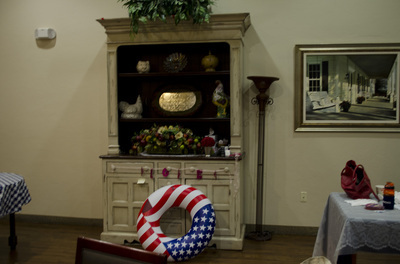 Photos from 01/23/14 - "The Love Boat!" 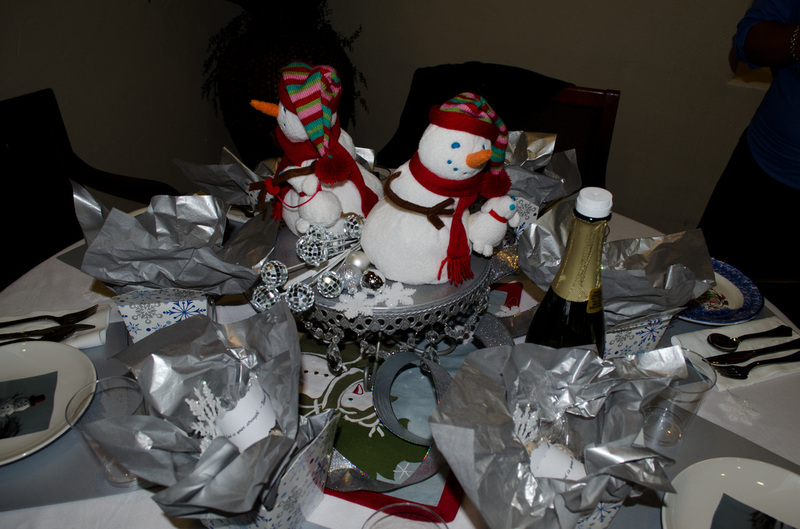 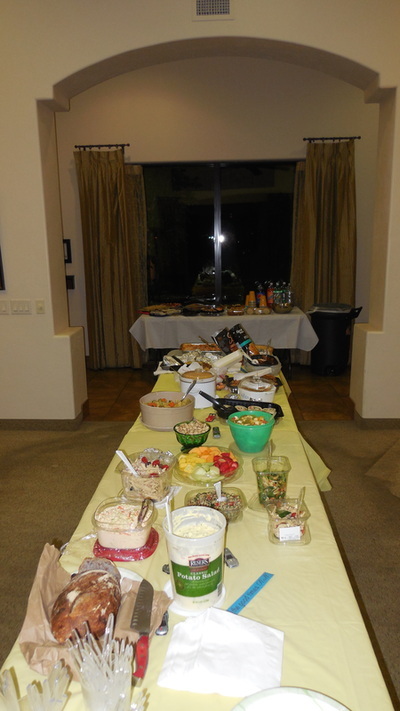 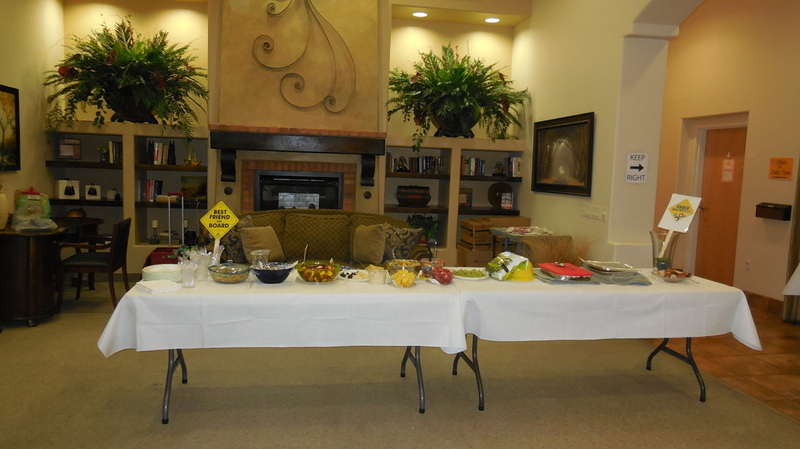 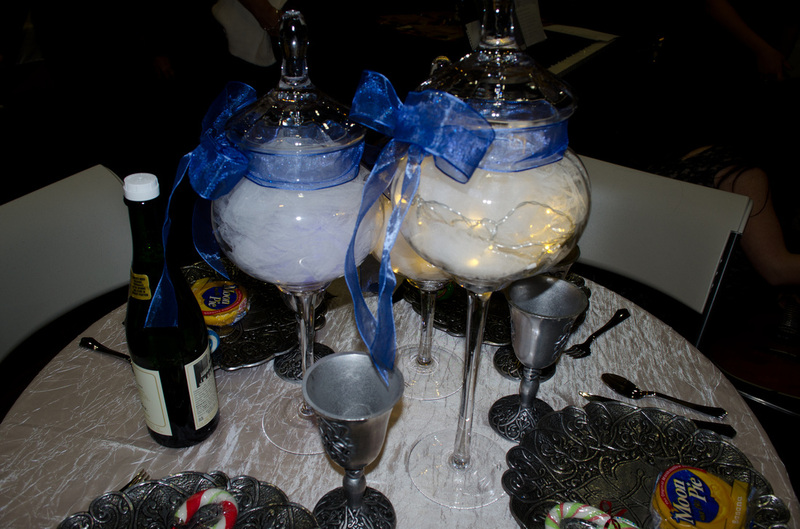 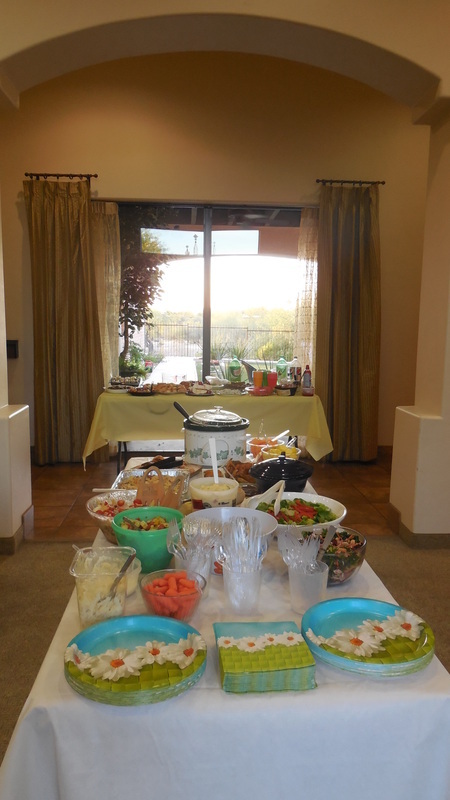 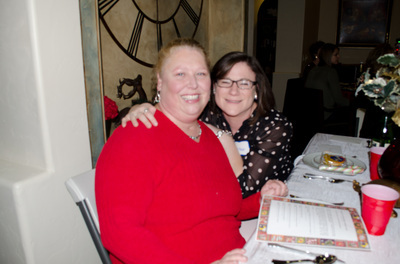 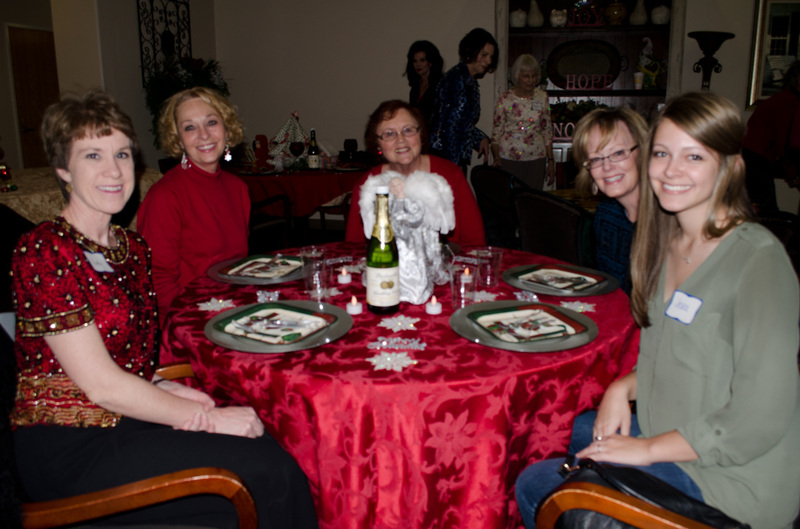 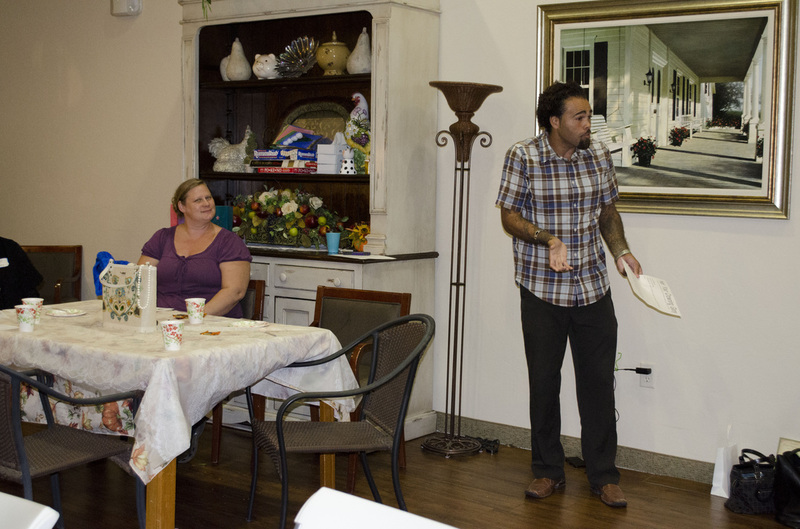 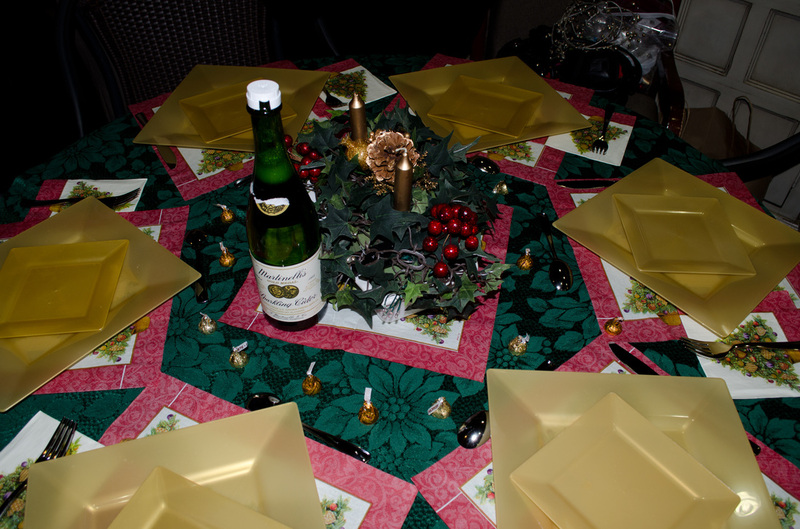 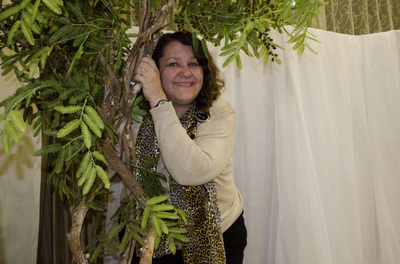 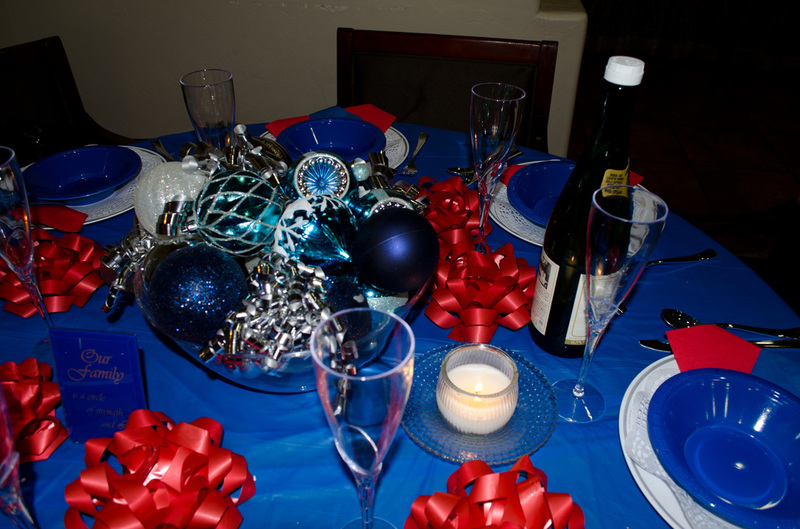 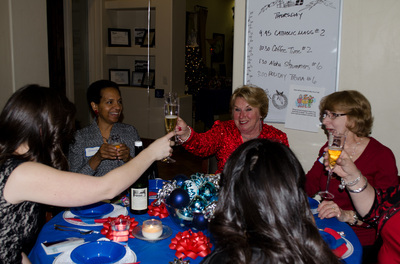 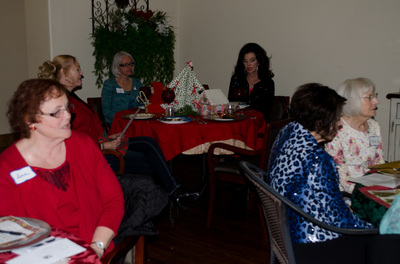 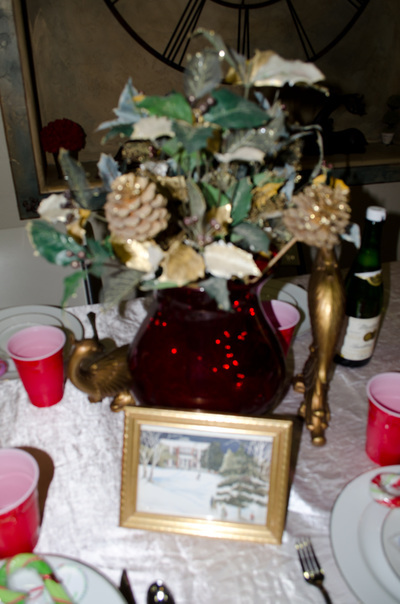 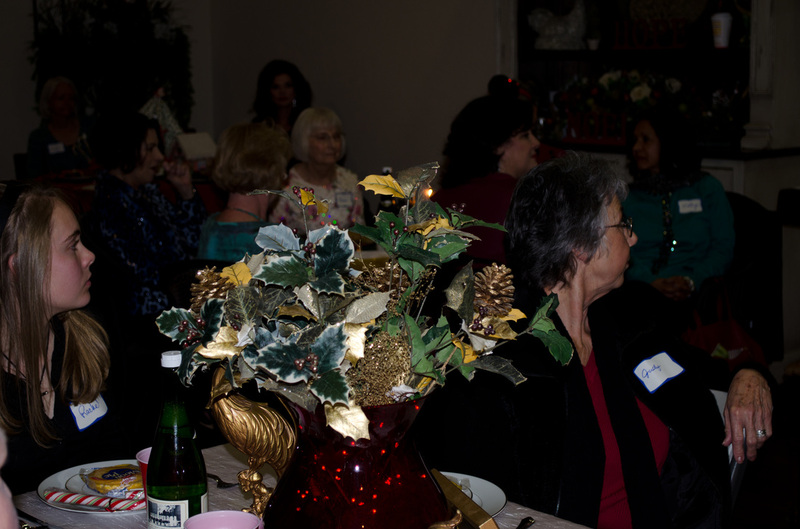 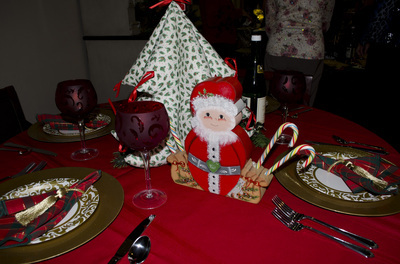 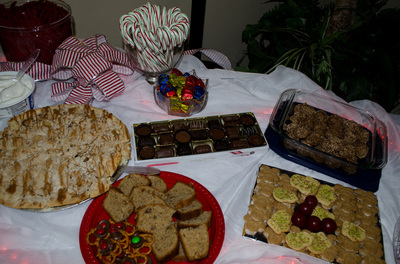 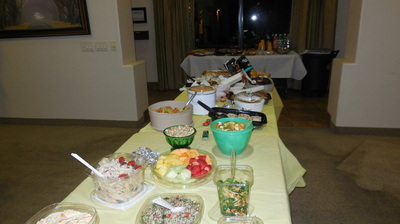 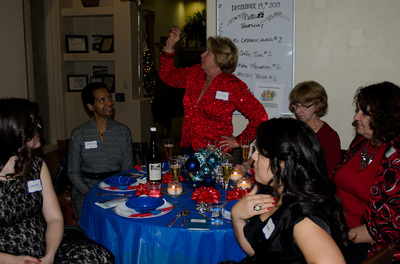 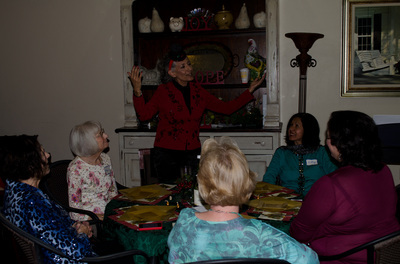 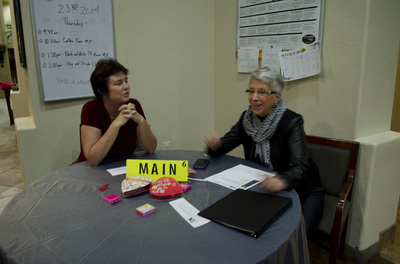 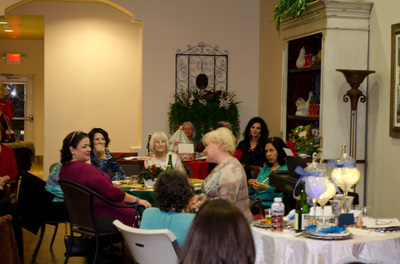 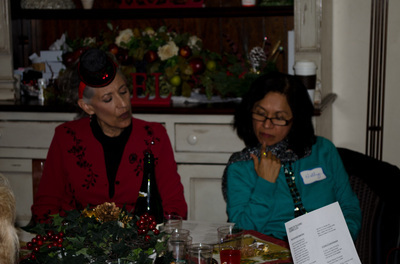 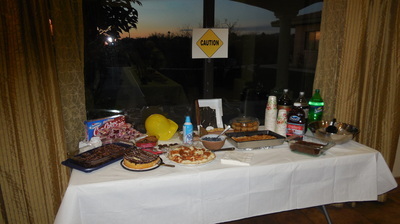 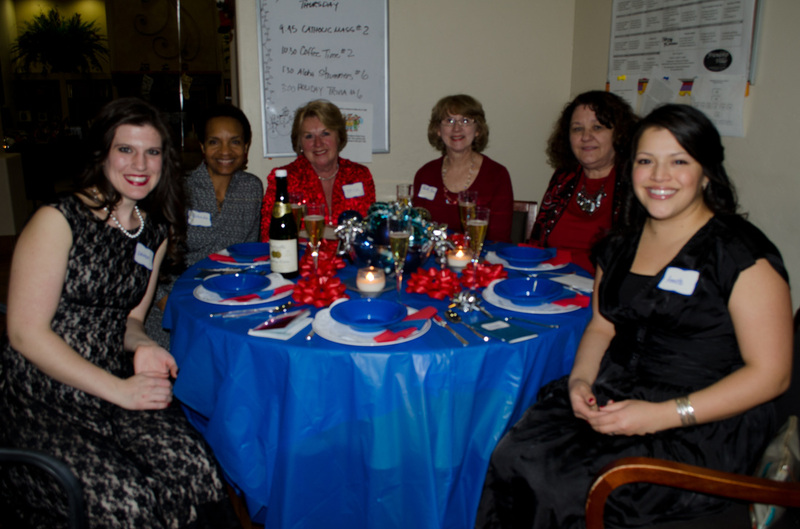 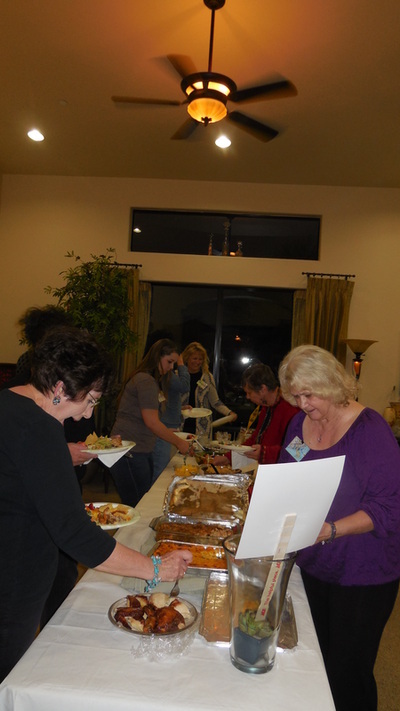 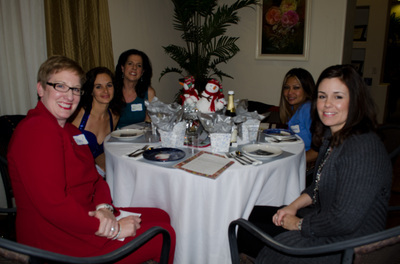 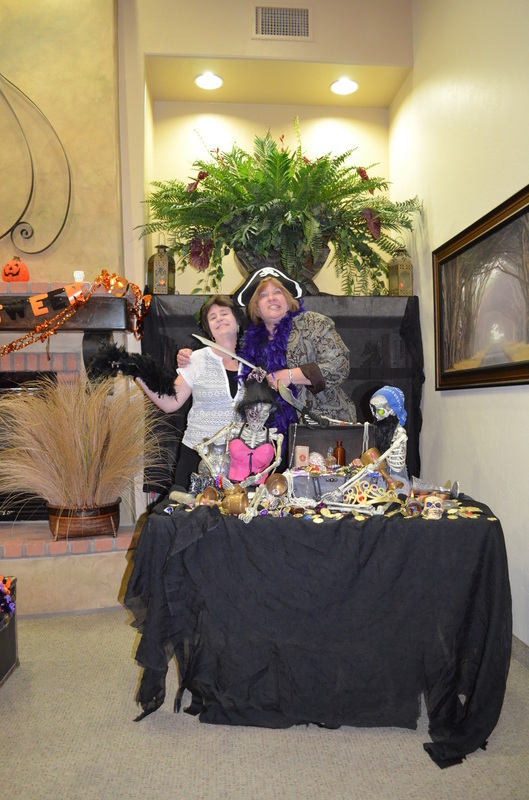 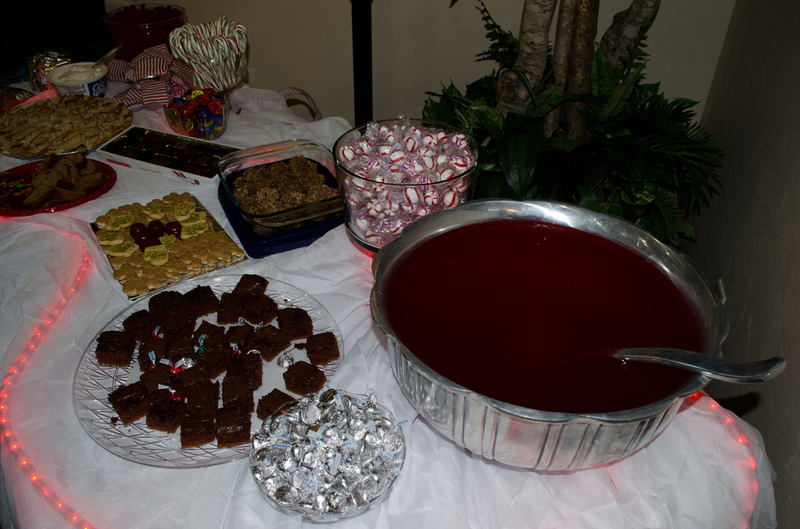 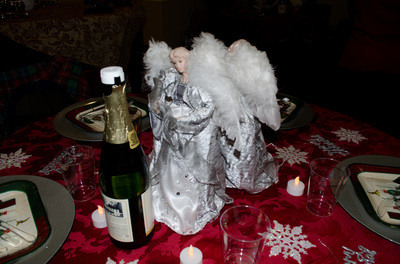 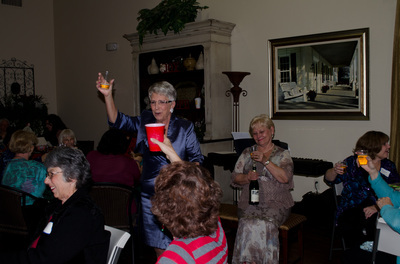 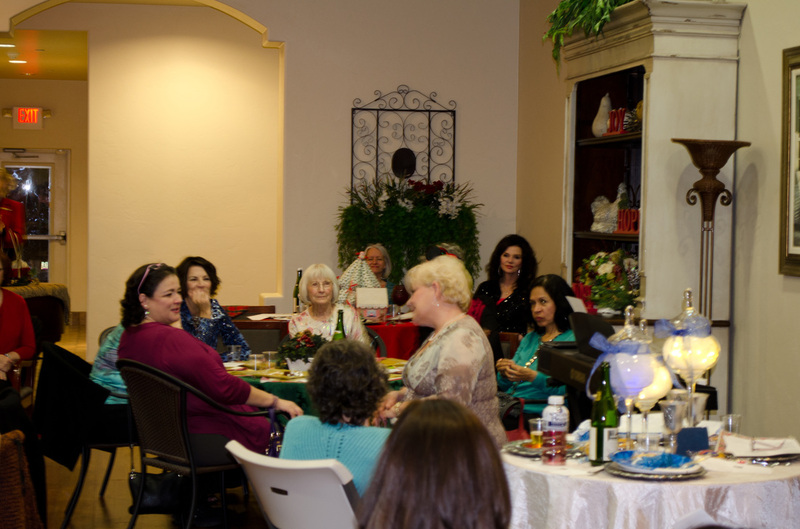 PHOTOS from 12/19/13 - "Festival of Tables!" 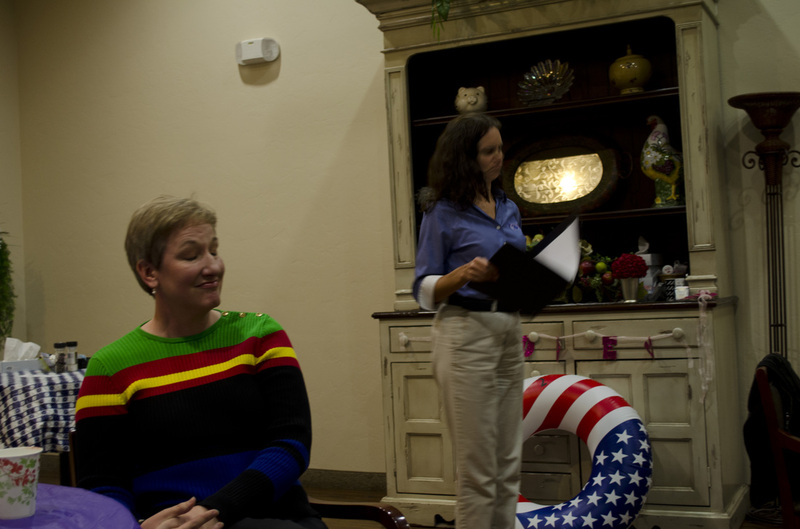 Photos from 11/21/13 - "Are you ready?" 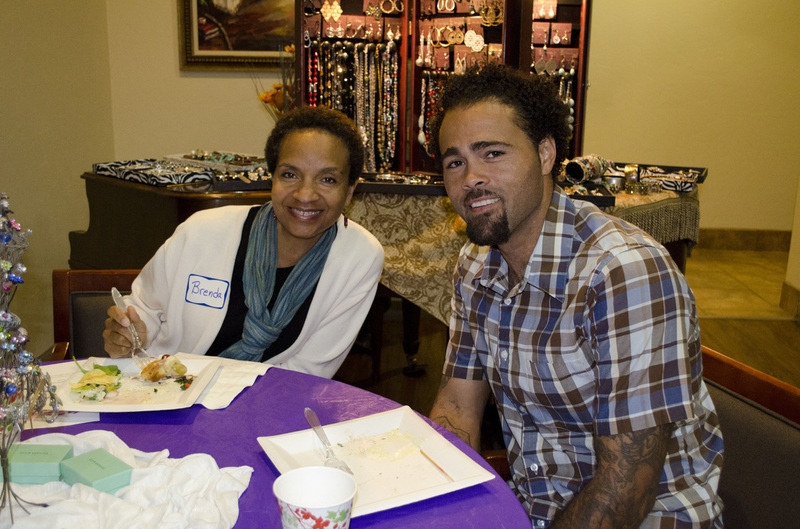 Special guests: Andrew Andrews with Tucson's Ahead of Style Salon & Nancy Jones with Premier Jewelry. 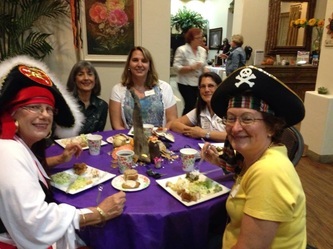 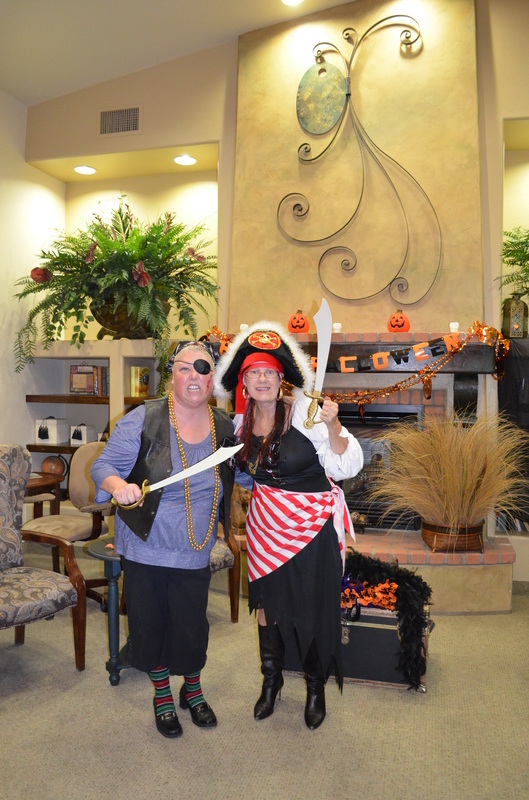 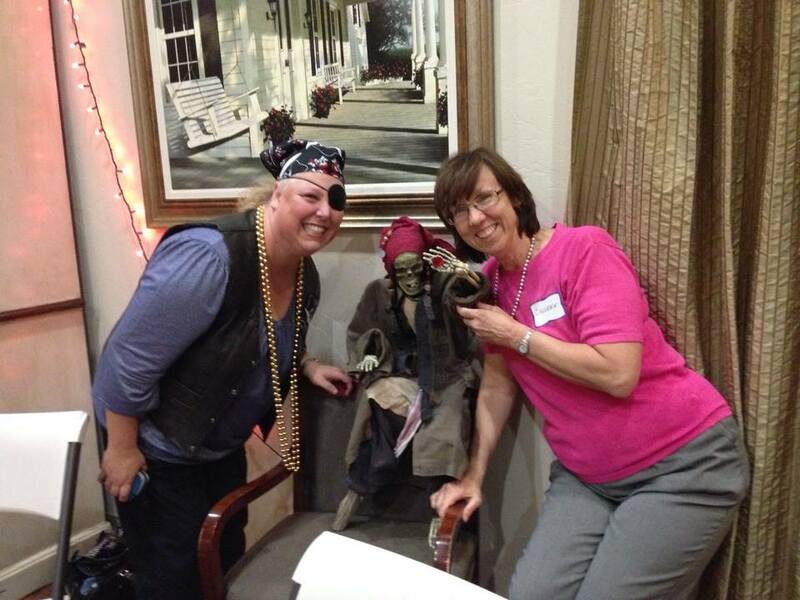 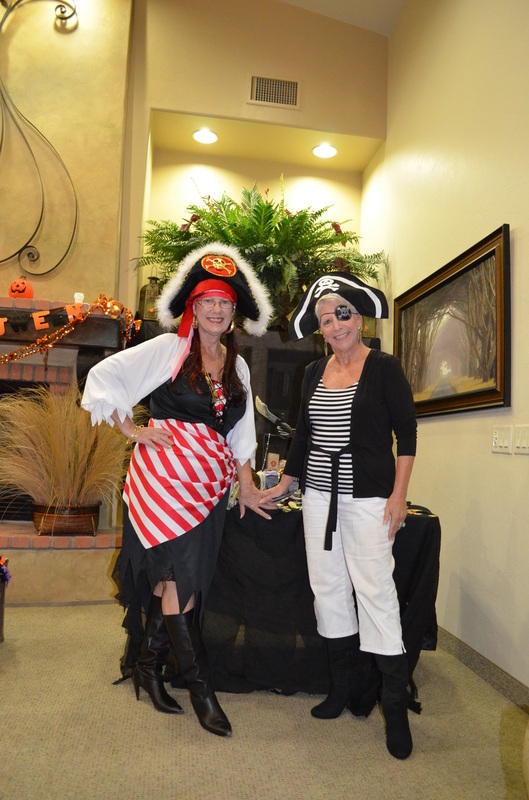 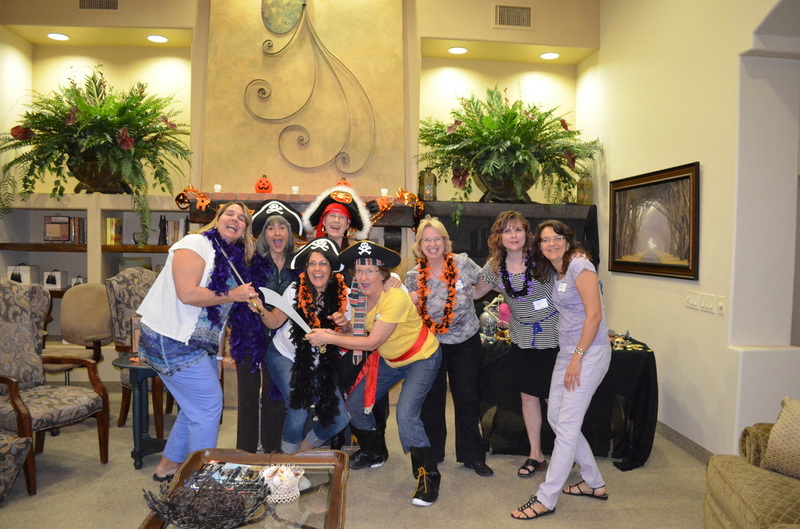 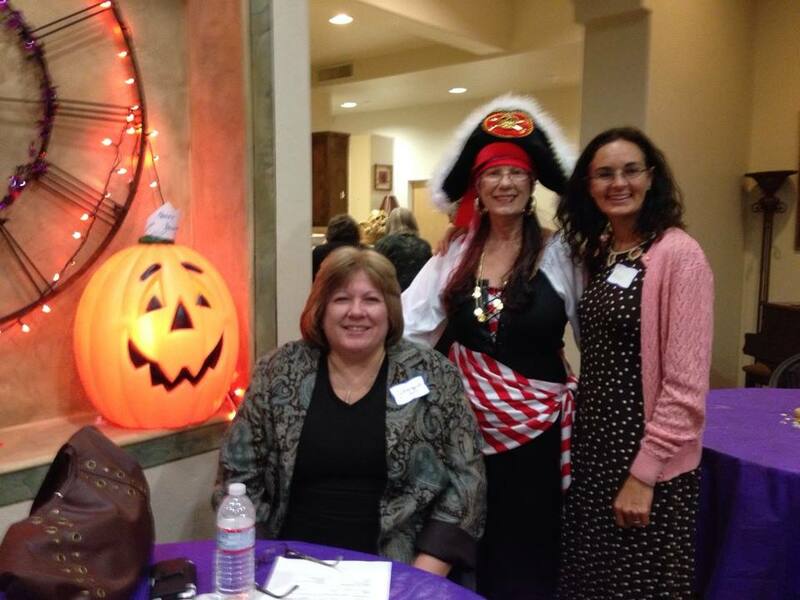 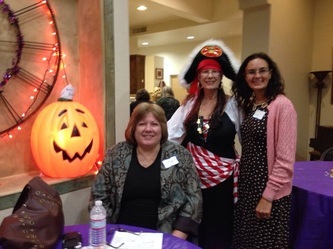 Photos from 10/24/13 - "Pirates & Ports!" 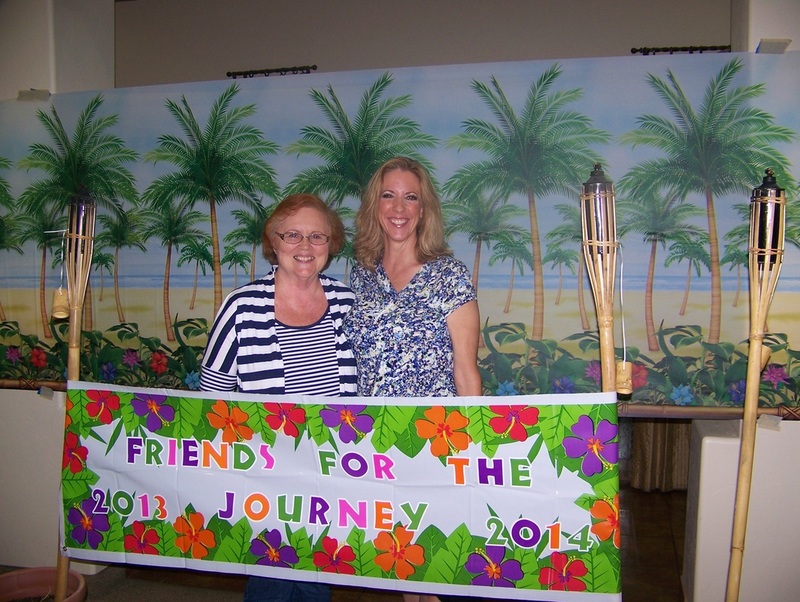 Photos from 9/26/13 - ALL ABOARD! The FFTJ Arizona embarks on a New Season!